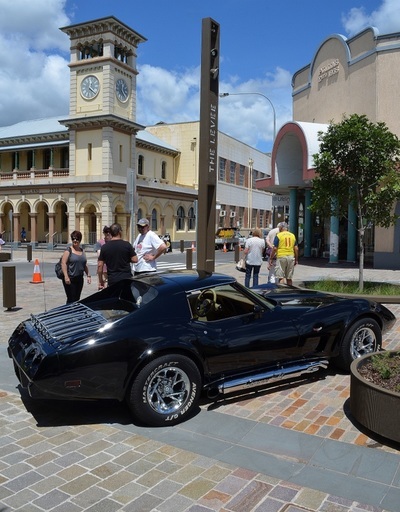 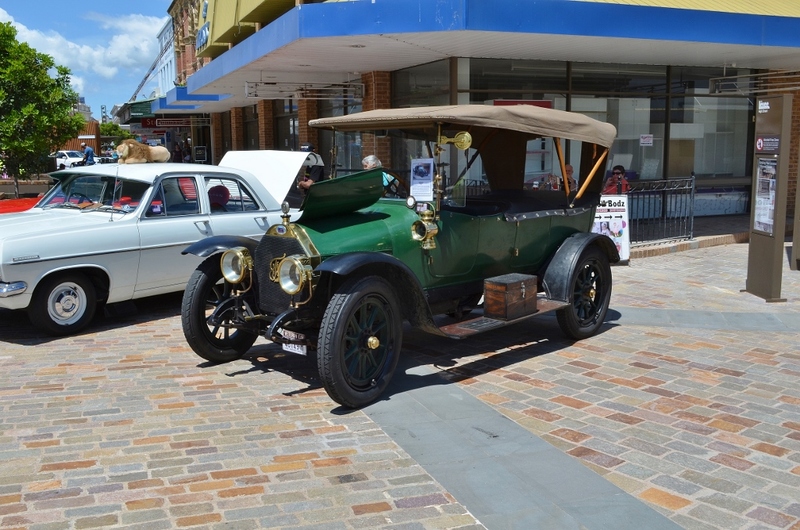 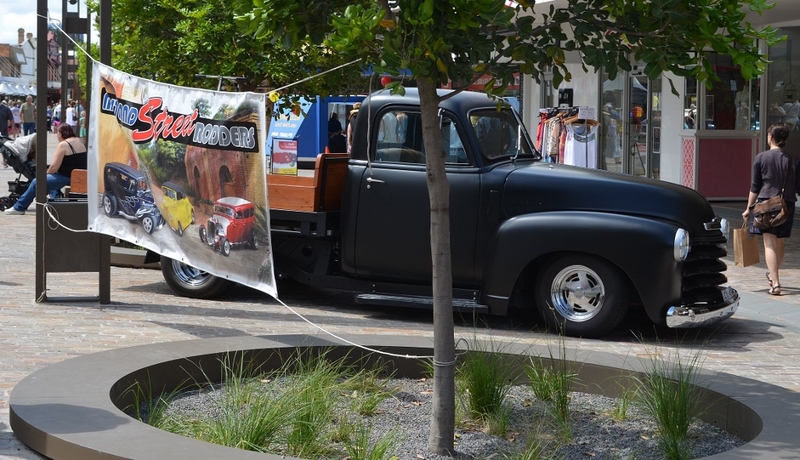 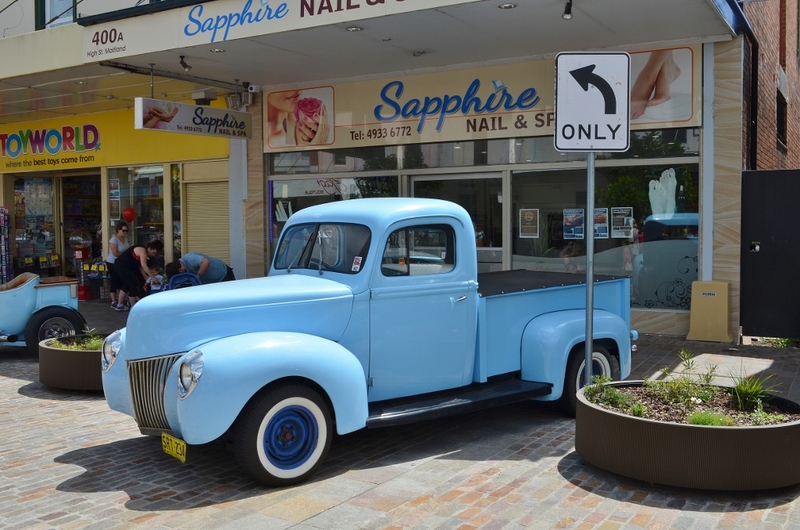 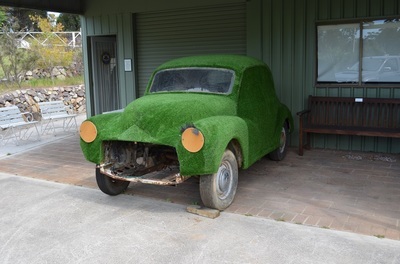 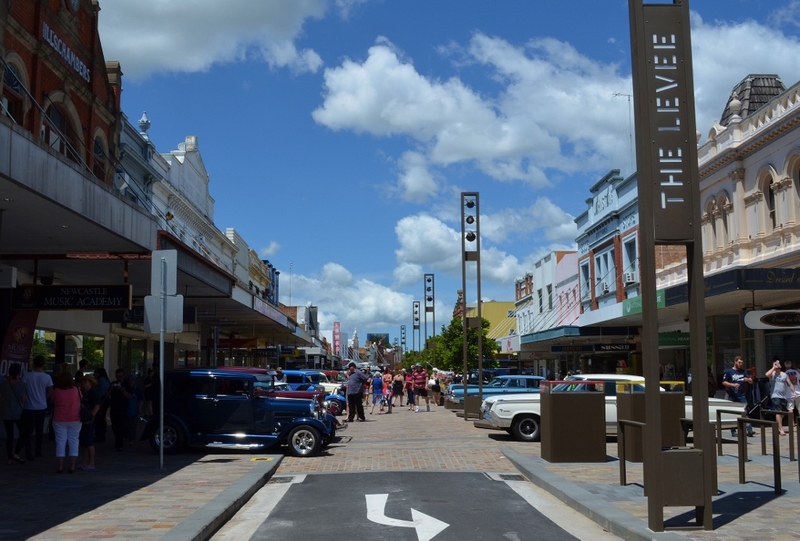 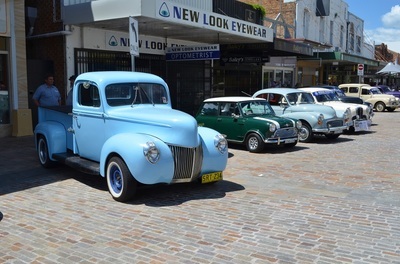 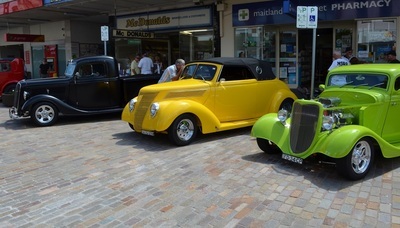 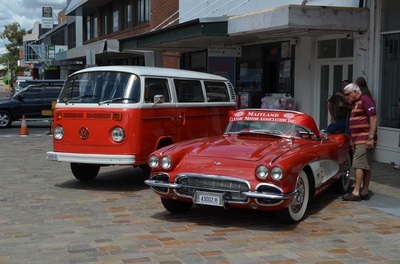 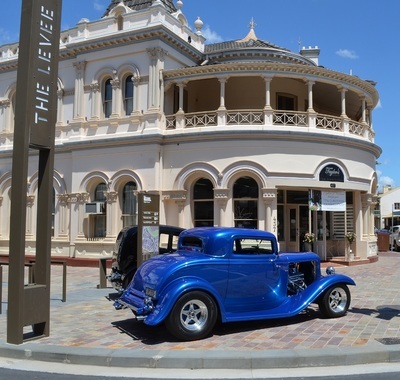 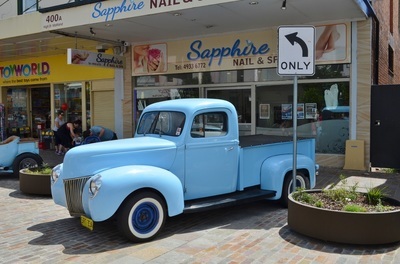 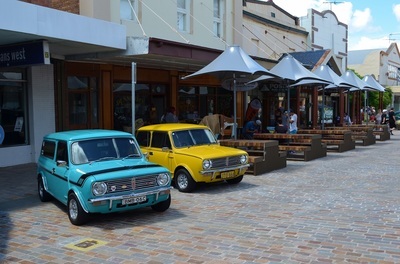 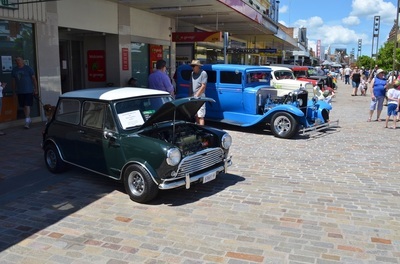 This car display was put on by the Council to promote the opening of the new Levee precinct in Maitland. 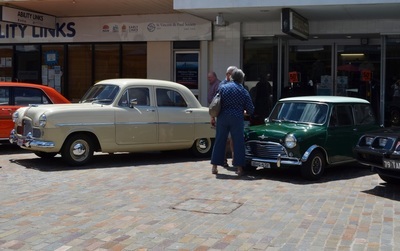 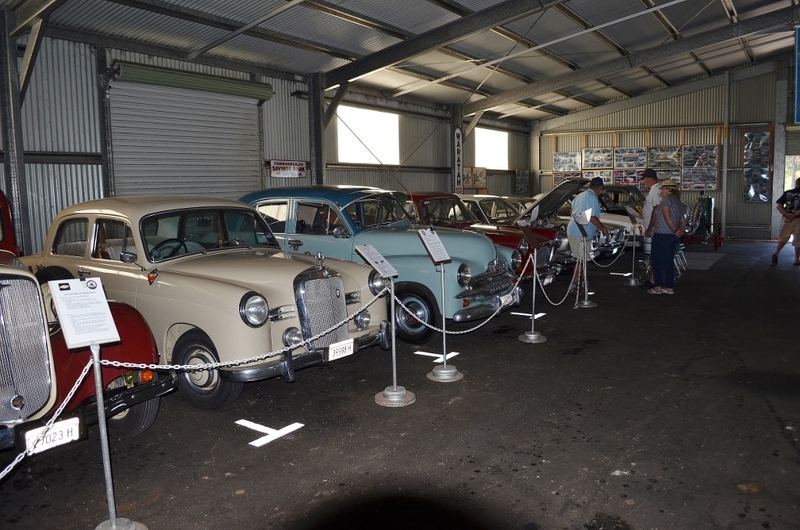 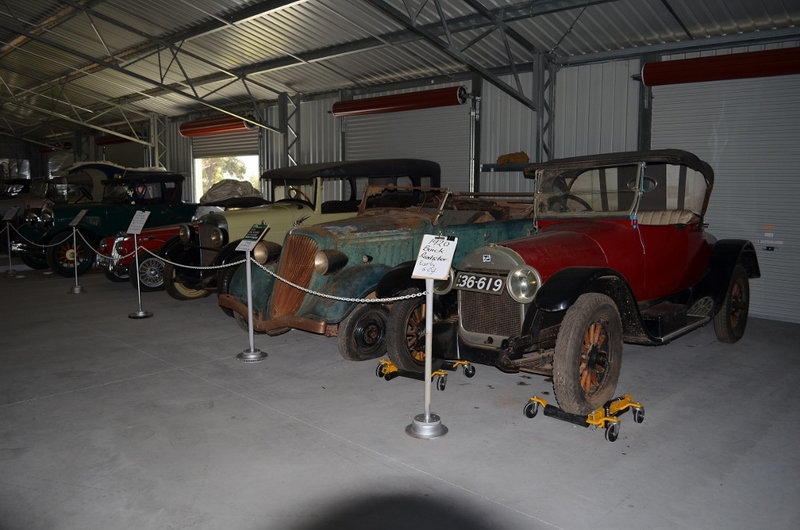 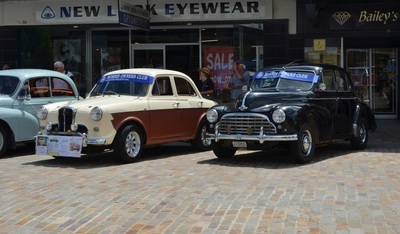 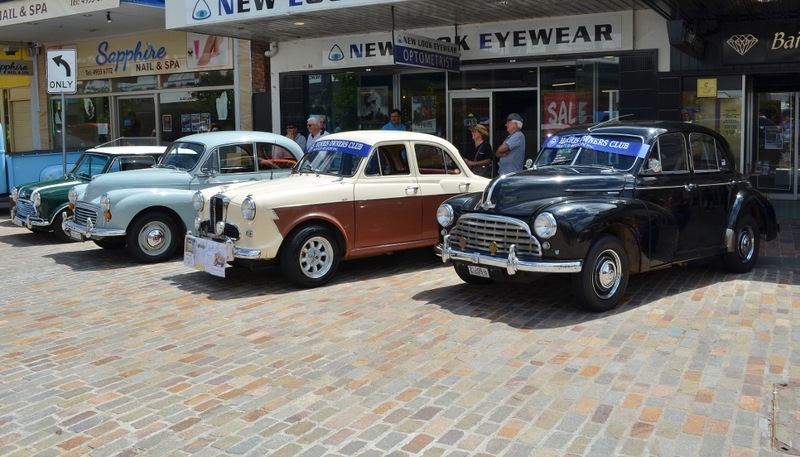 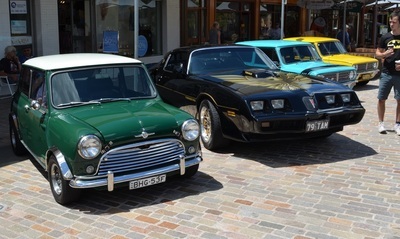 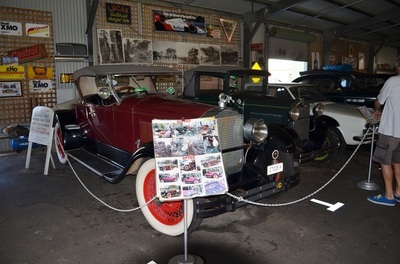 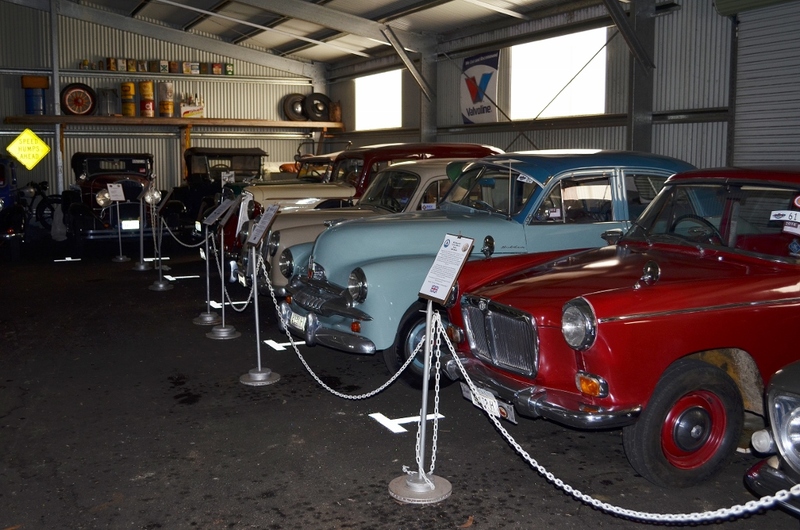 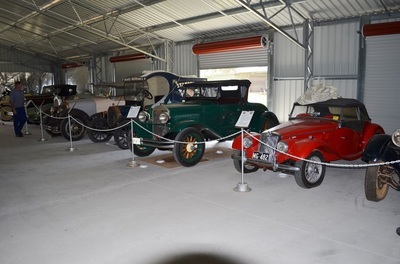 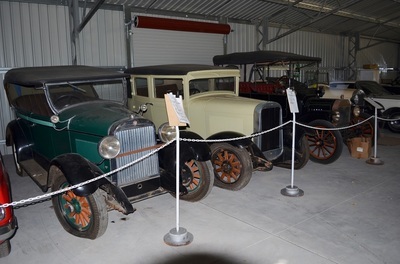 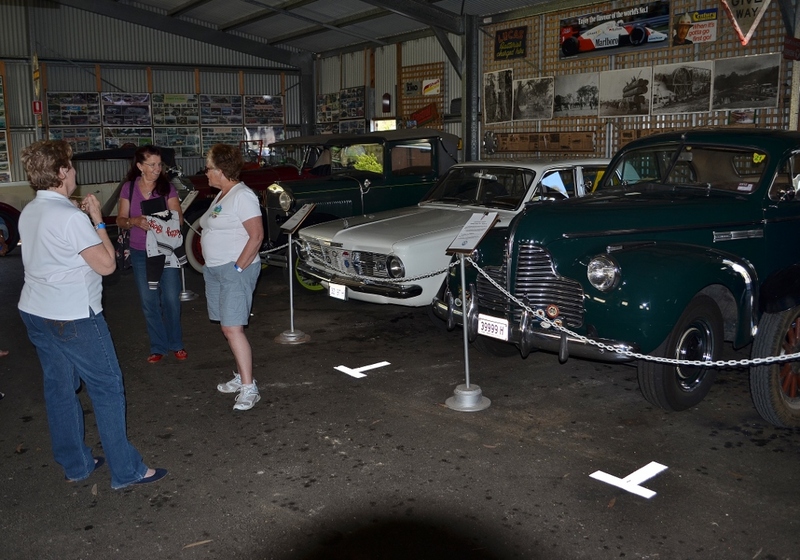 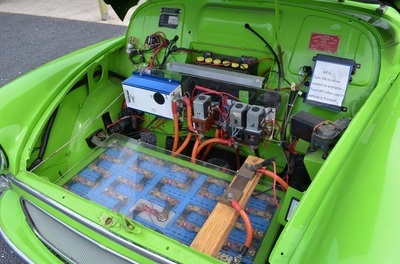 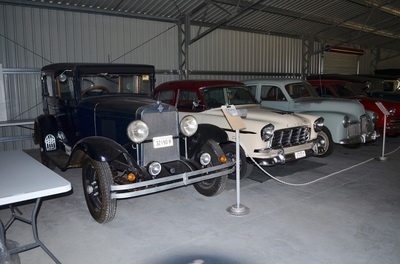 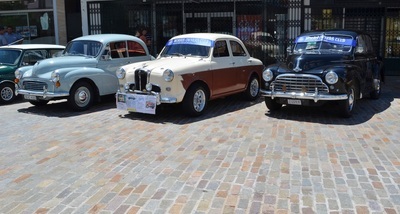 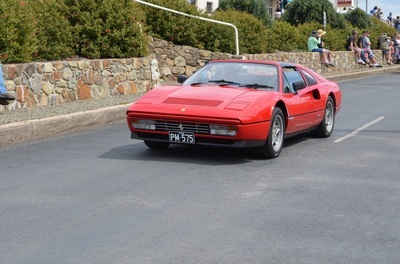 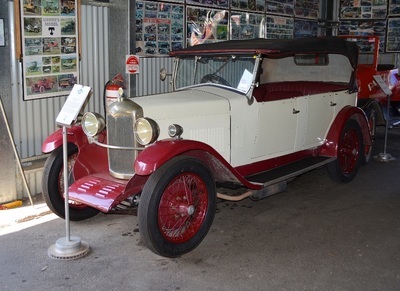 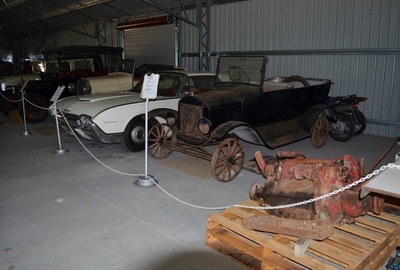 About 60 cars were invited for the display which turned out to be a great success. 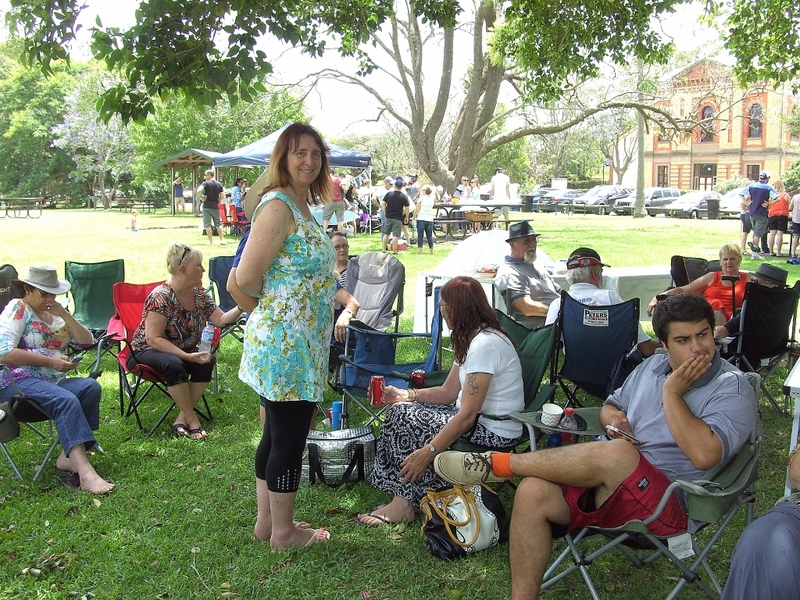 The weather was good and the public supported the event. 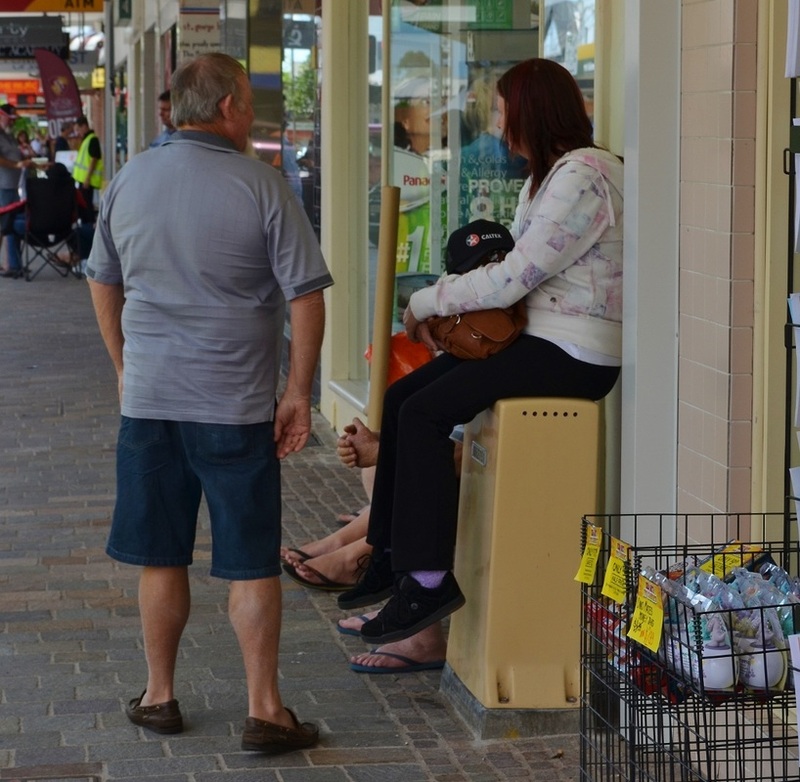 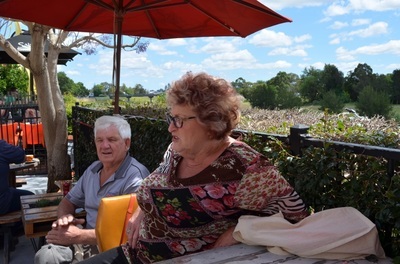 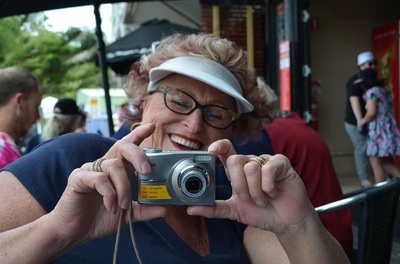 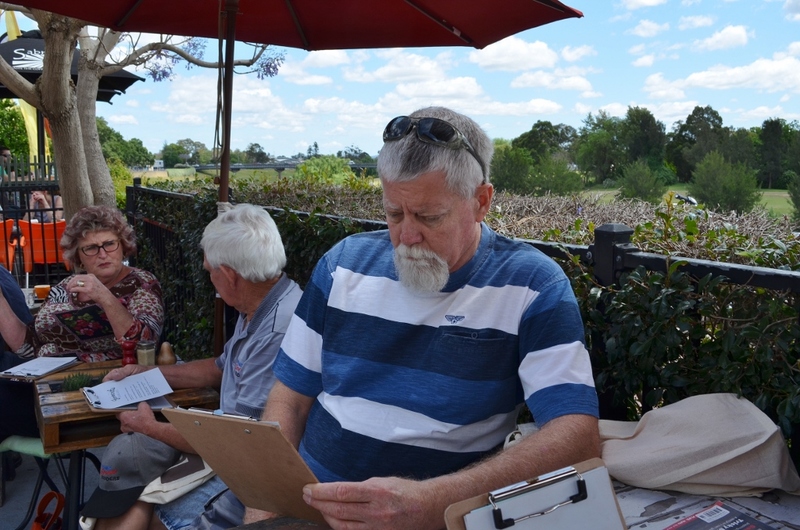 All the shop owners seemed to do well especially the food outlets and some of us had a lovely lunch overlooking the Hunter River. The council should promote this as an annual event as those that attended had a great day. 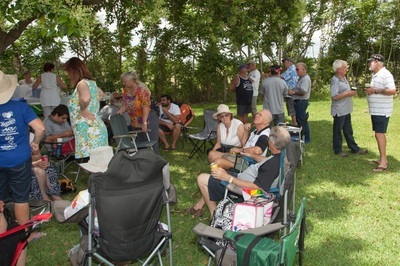 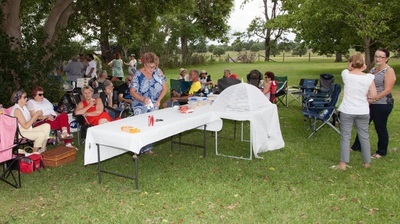 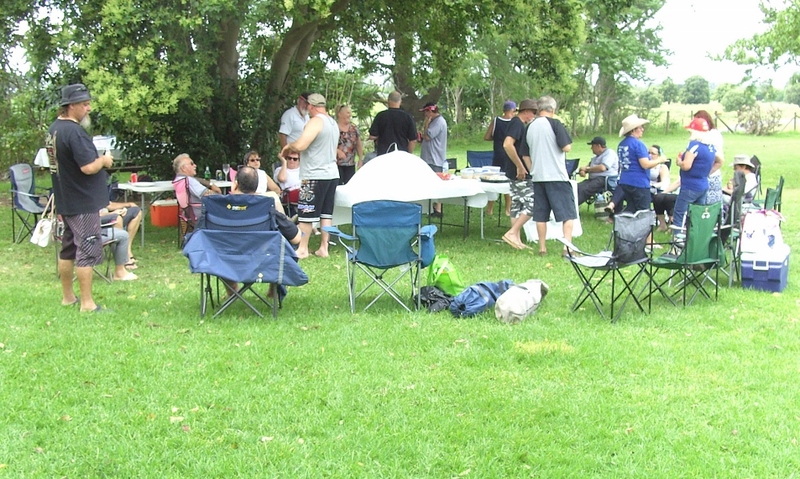 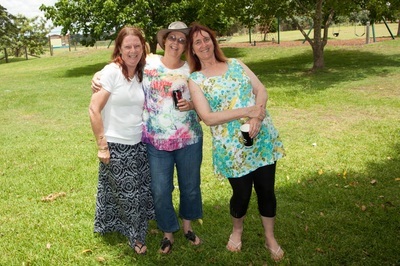 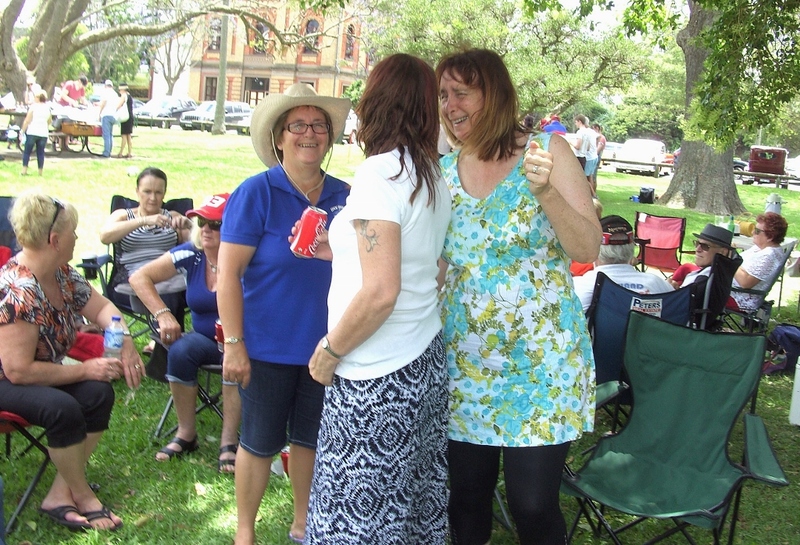 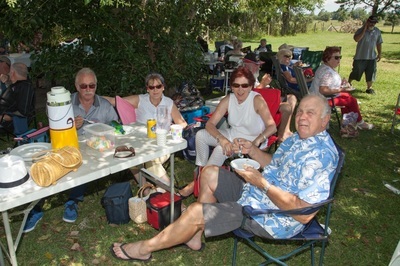 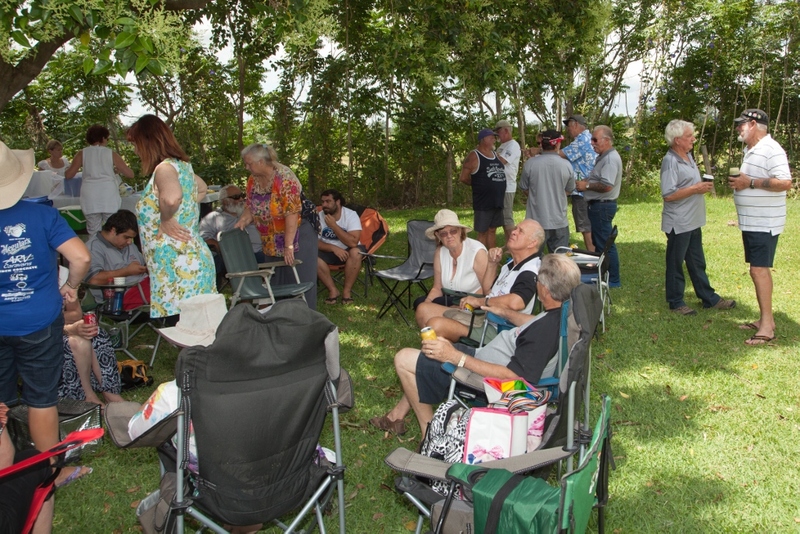 We had our club X-Mas Party at Walka Water Works again this year which attracted 21 of our members and 39 people in all. This year instead of the BBQ we had Ham, Chicken, Prawns with a great variety of salads. 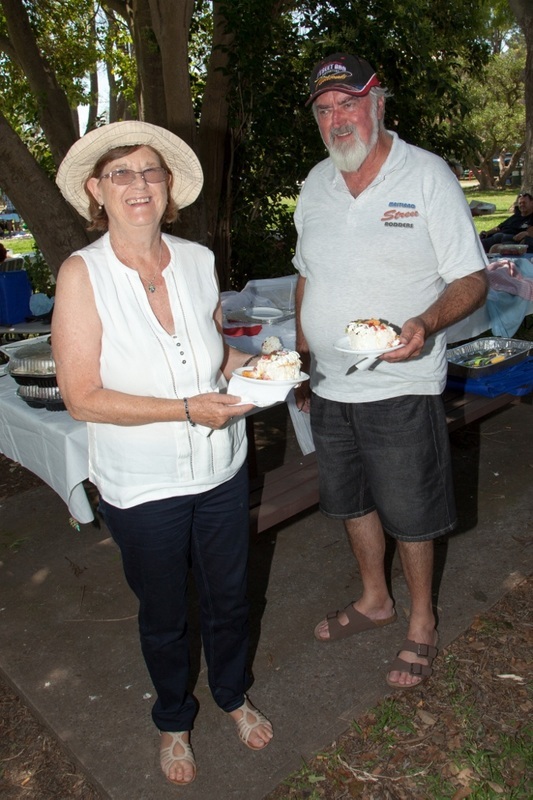 Deserts were Pavlova and Fruit along with slices. 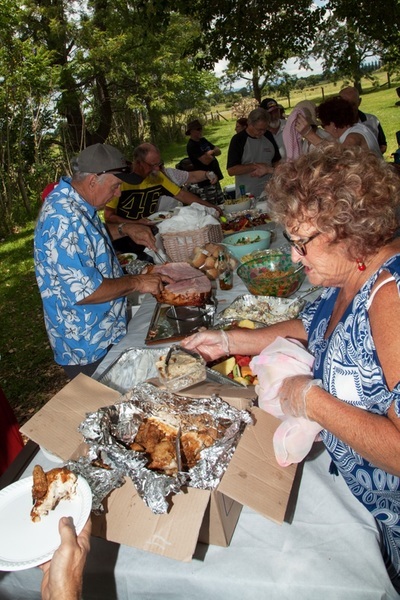 It was a magnificent feast and in fact we could have fed another 39 people. 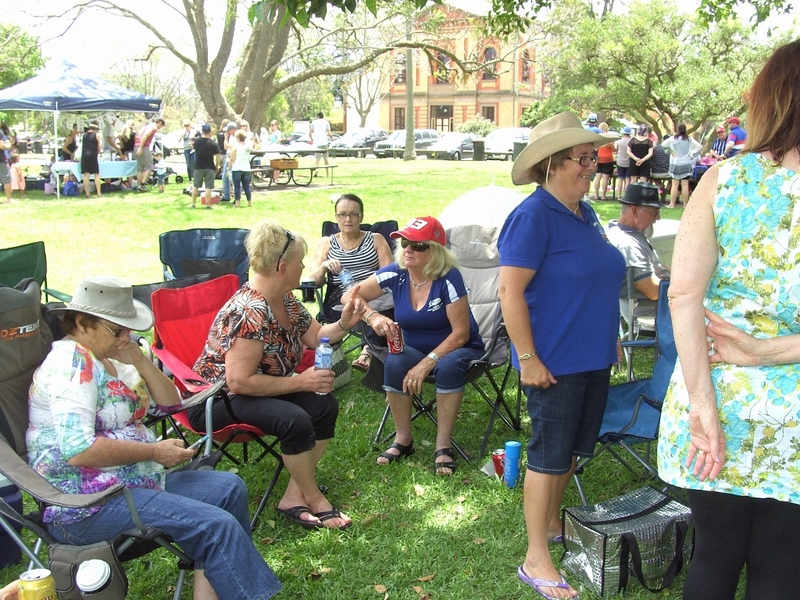 The weather was perfect and a good day was had by all who attended. 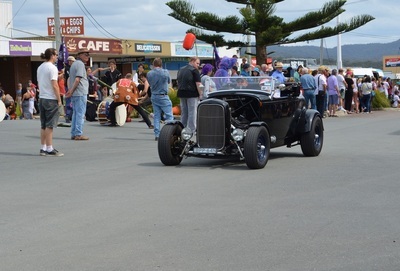 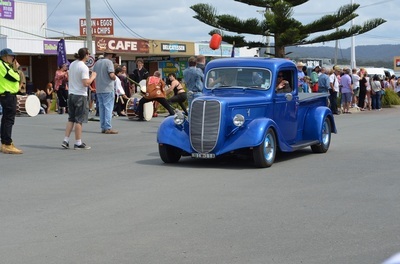 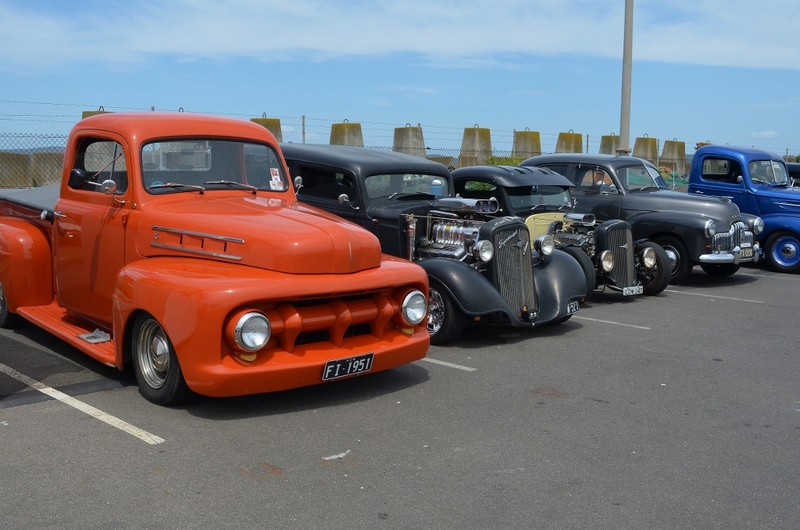 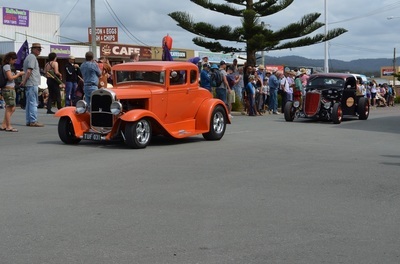 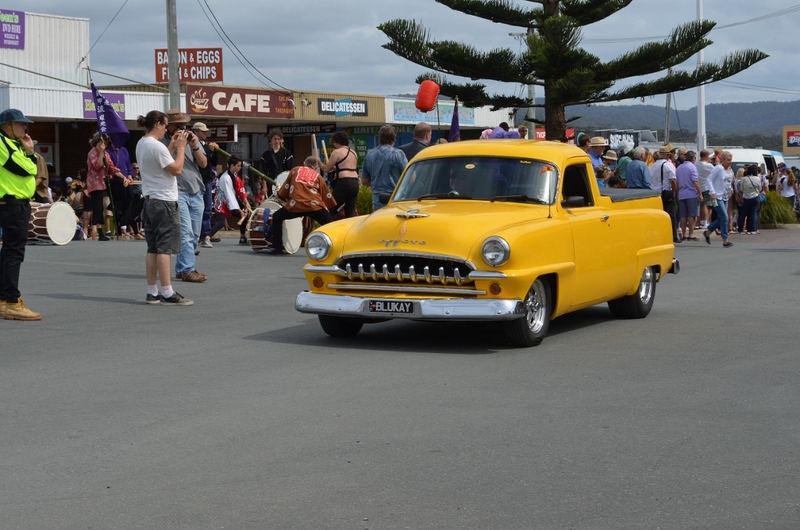 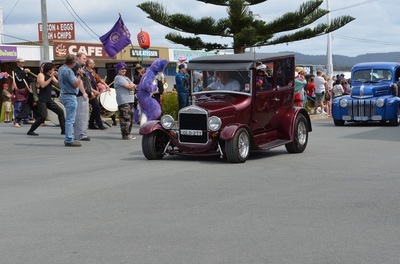 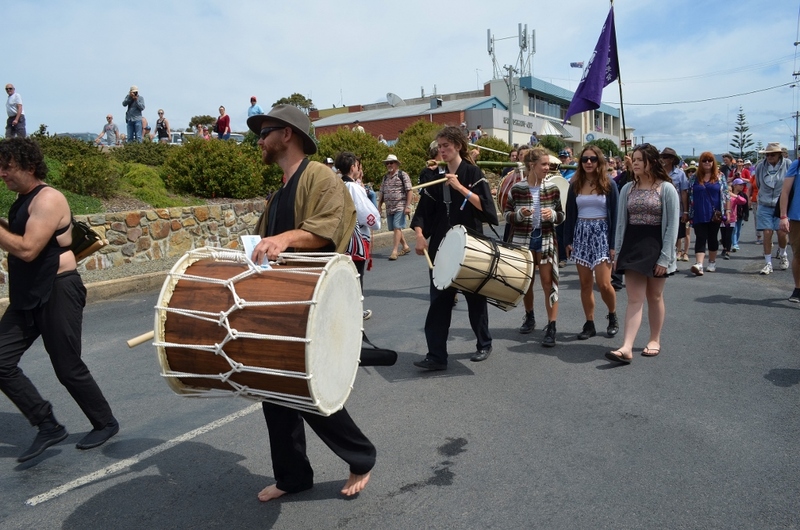 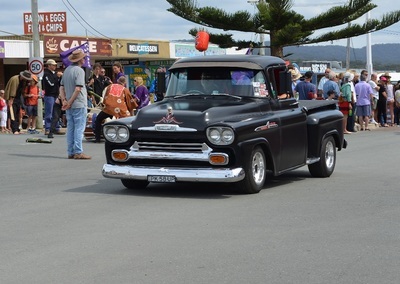 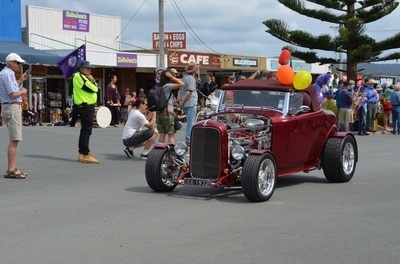 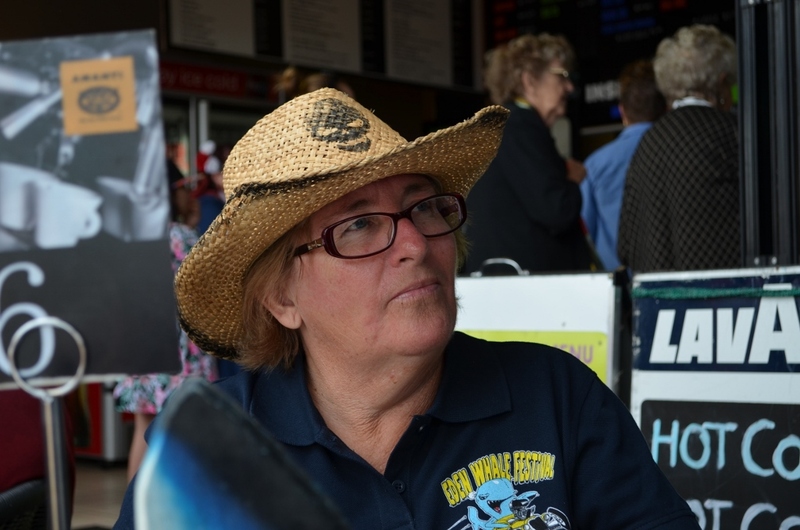 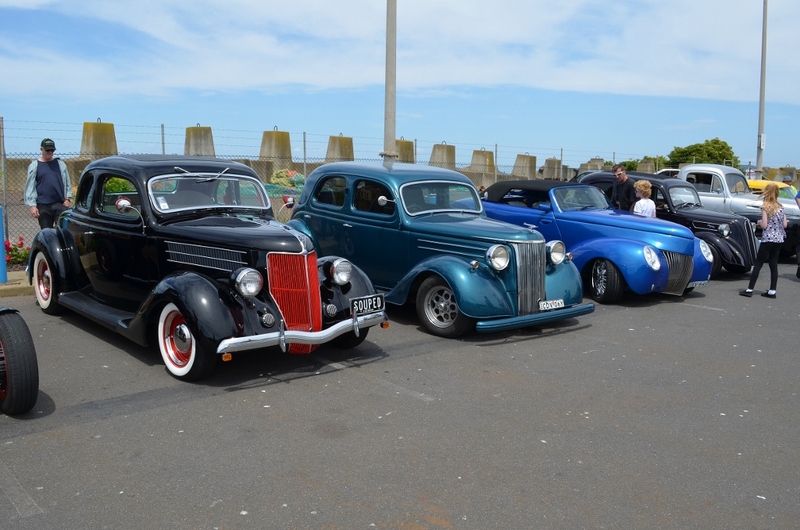 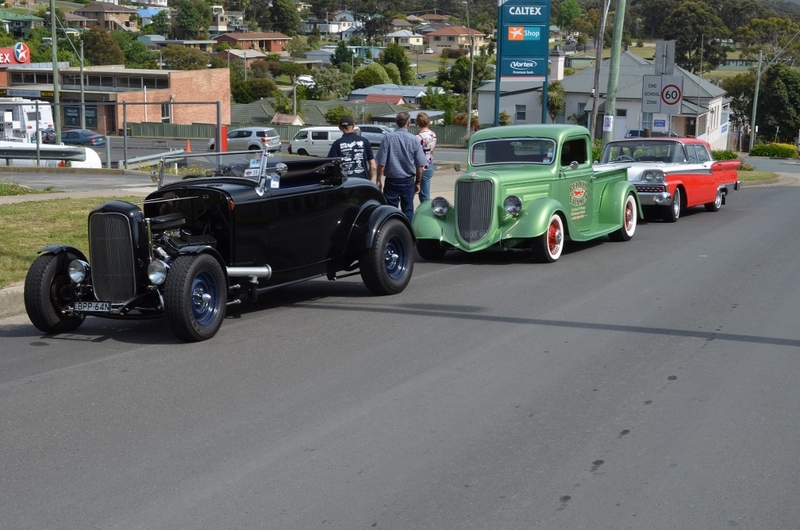 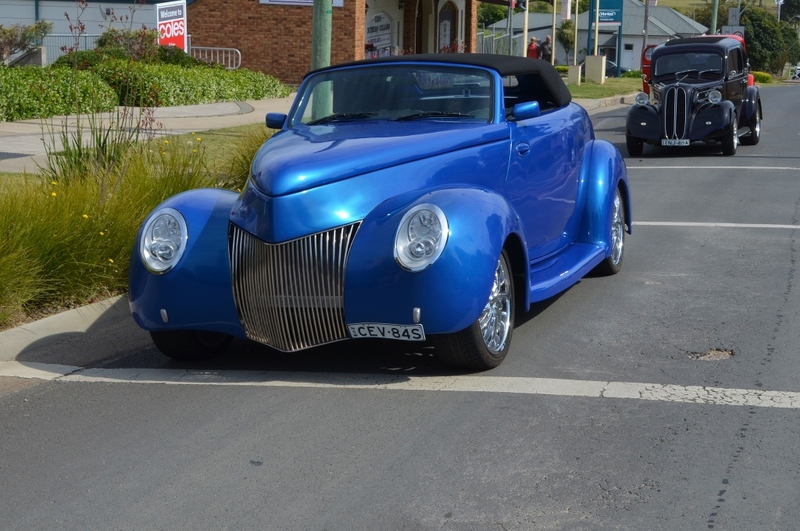 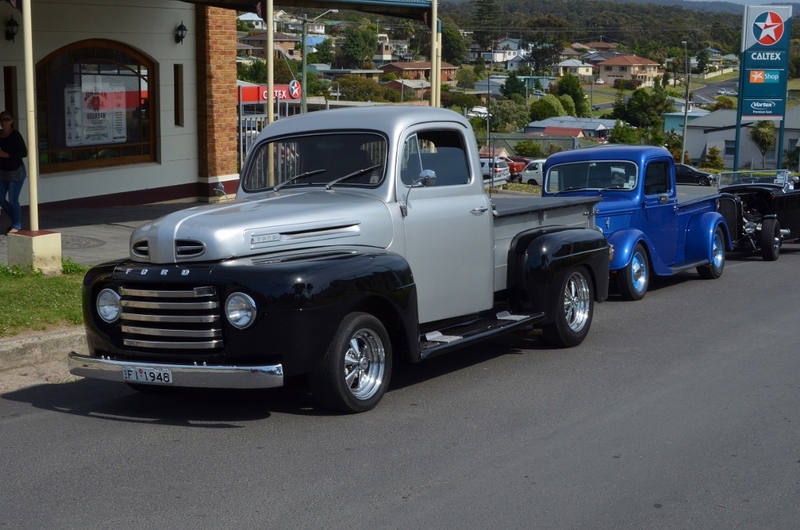 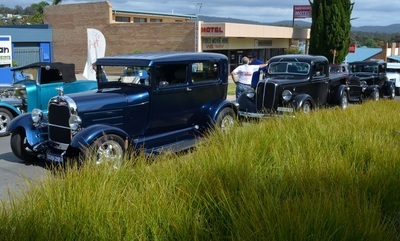 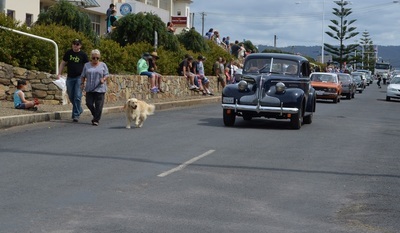 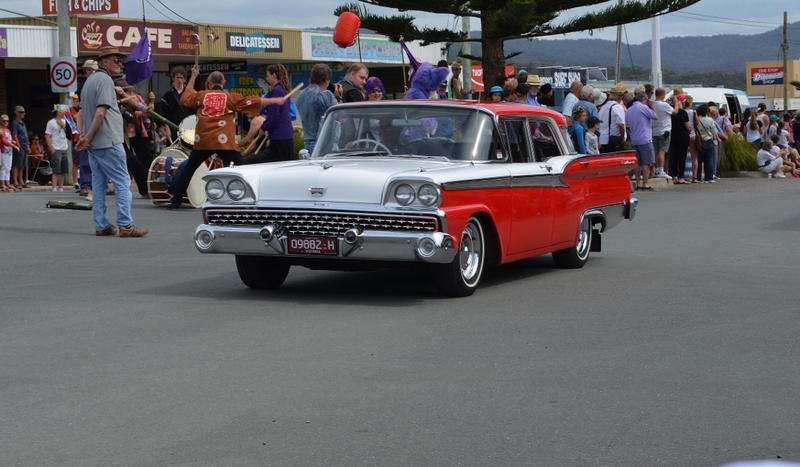 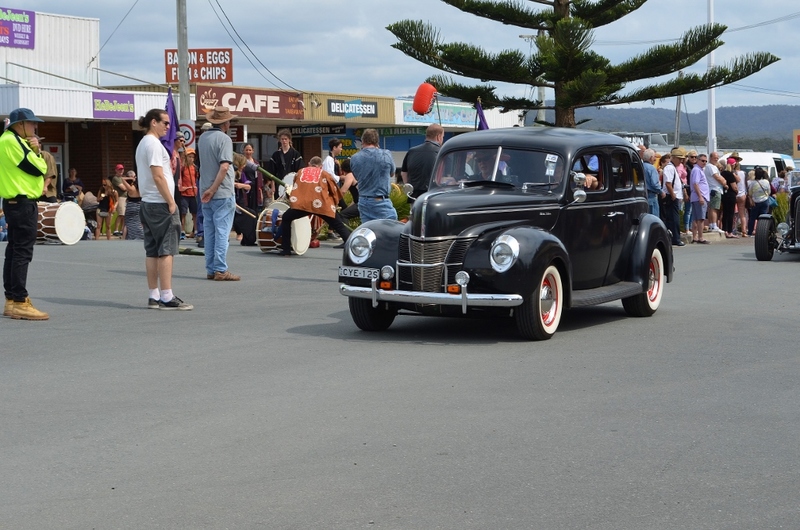 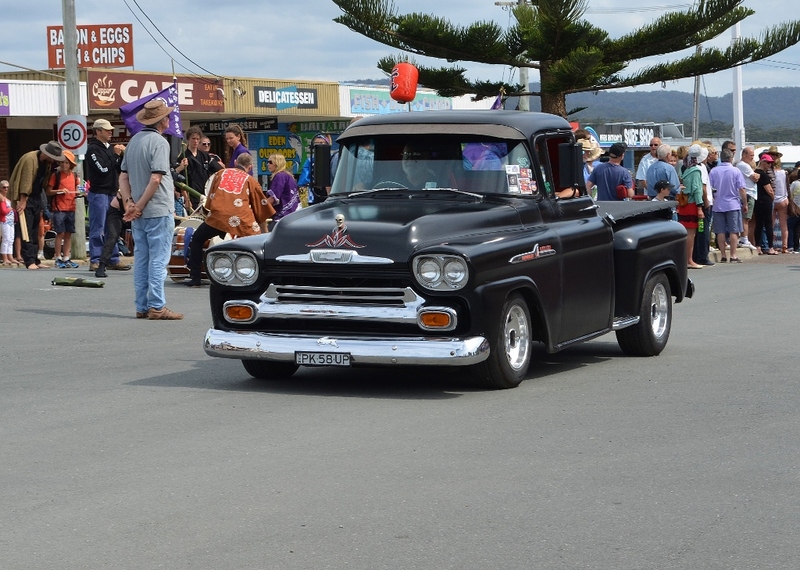 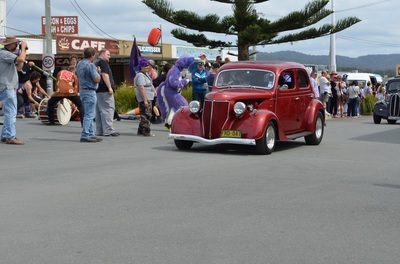 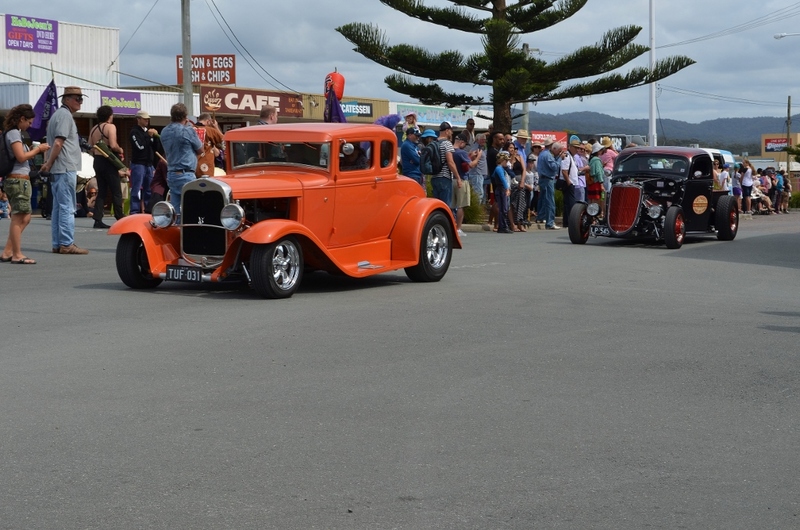 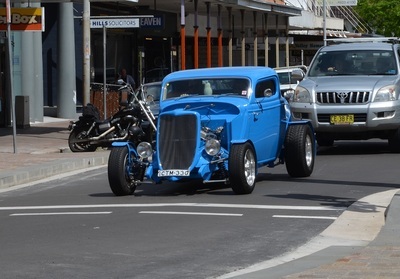 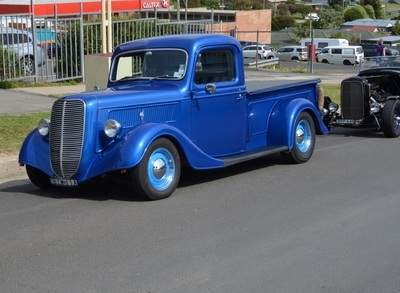 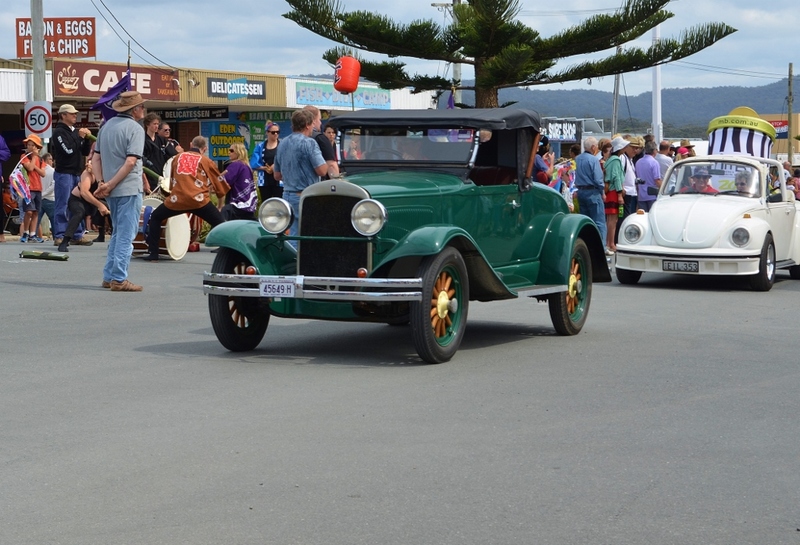 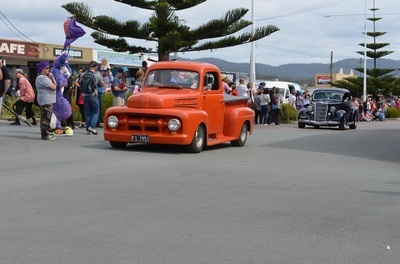 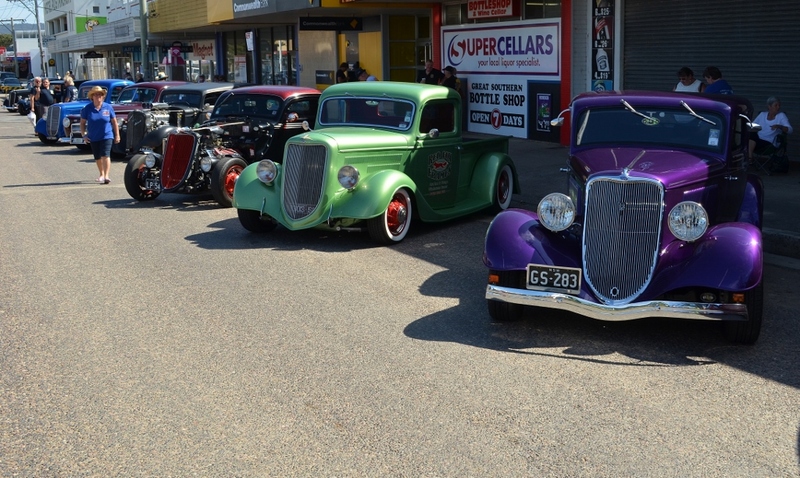 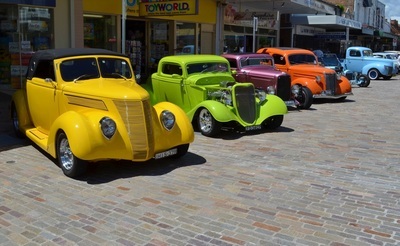 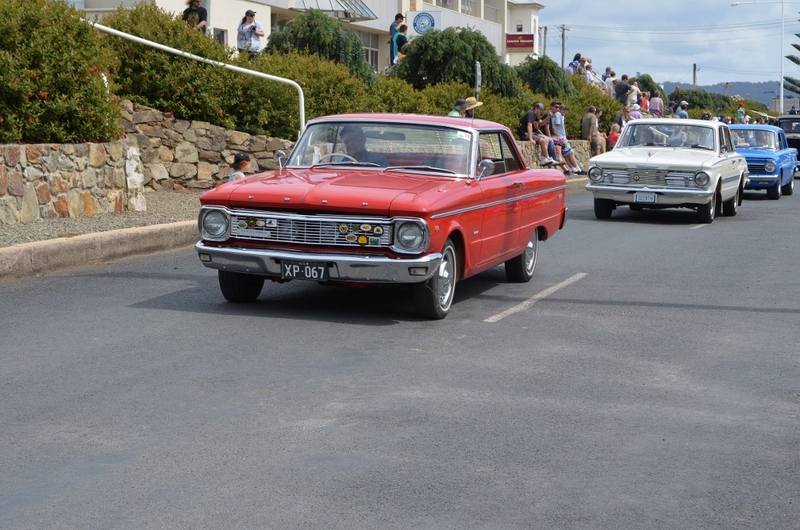 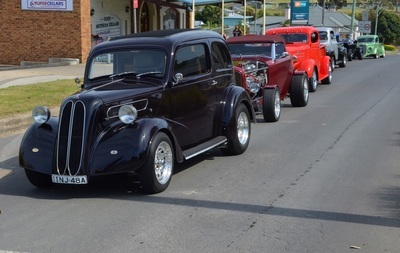 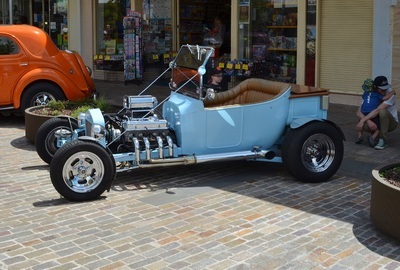 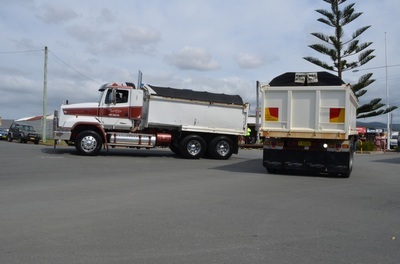 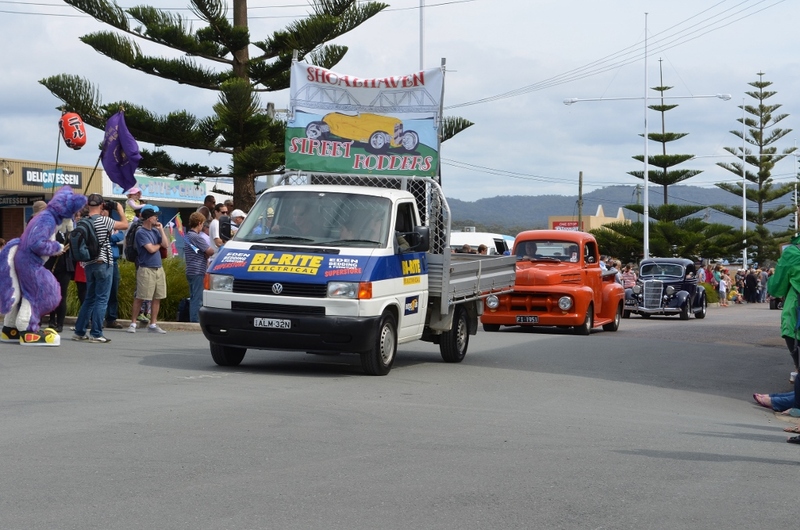 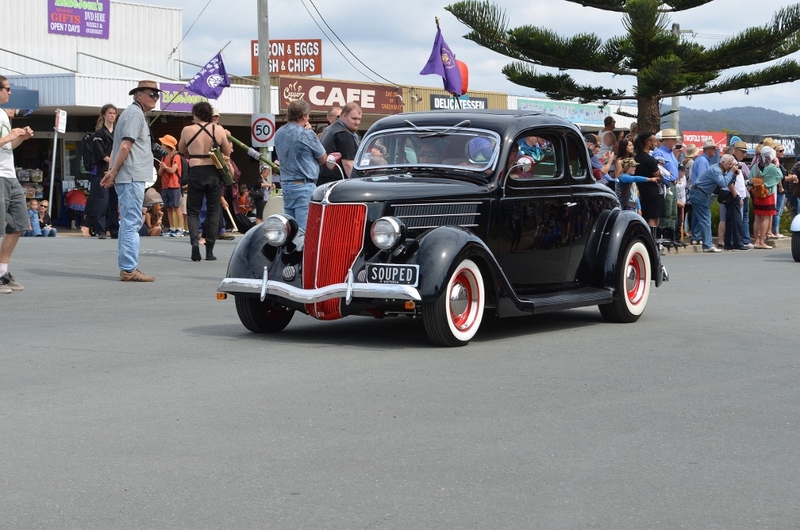 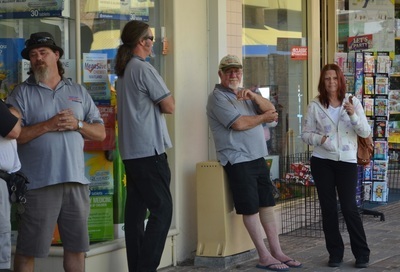 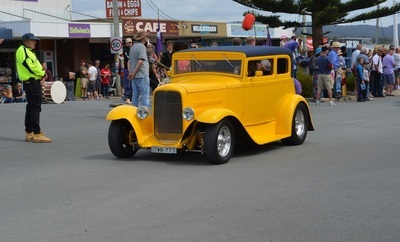 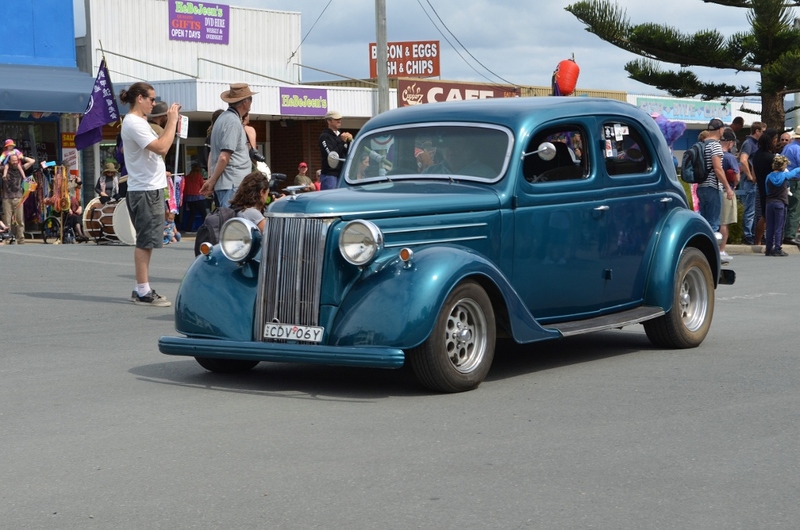 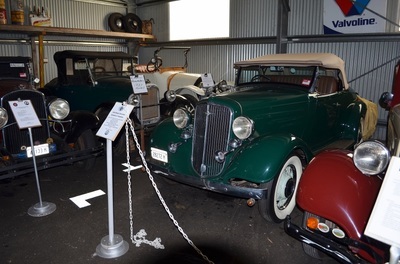 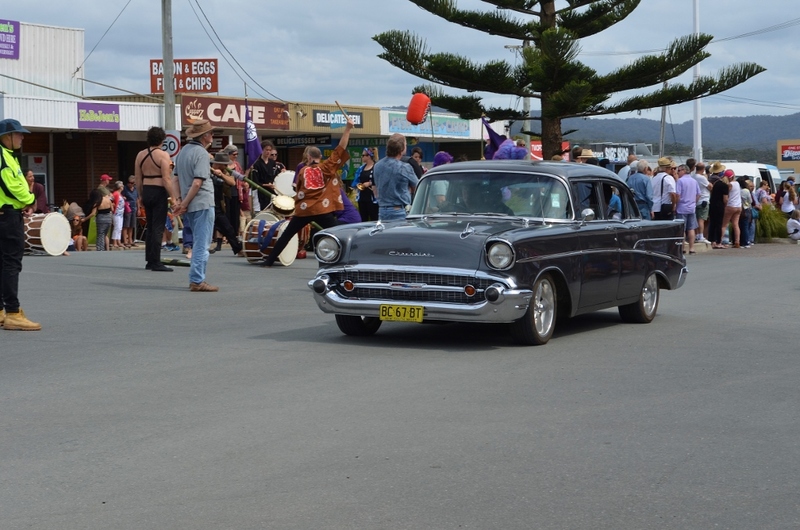 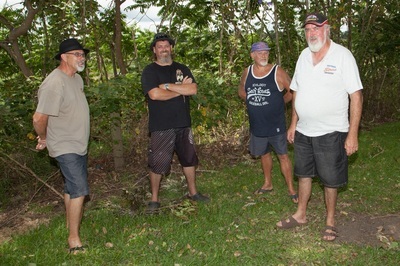 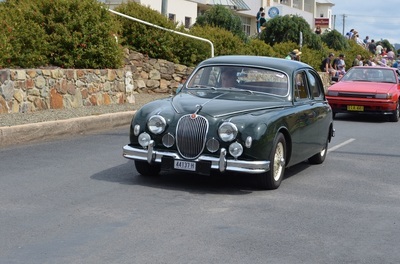 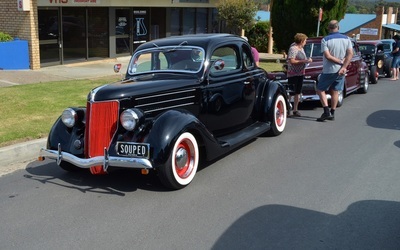 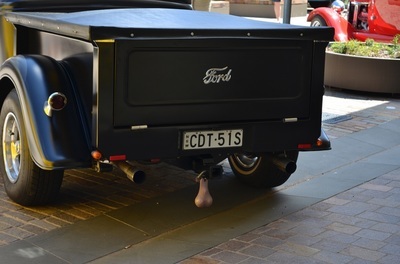 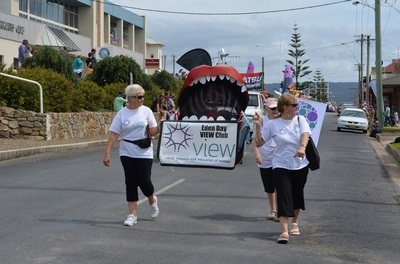 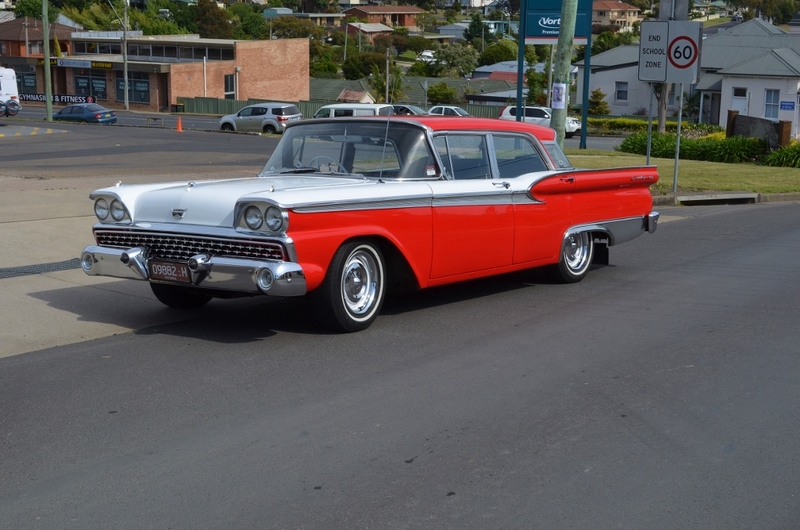 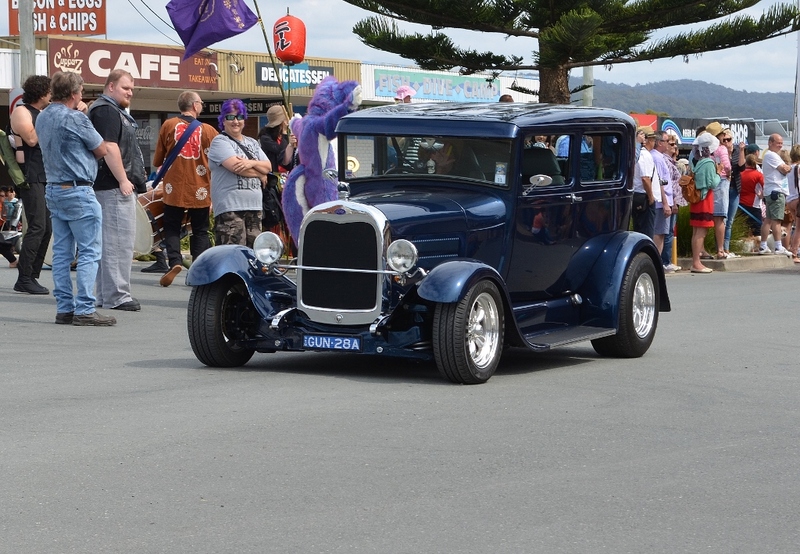 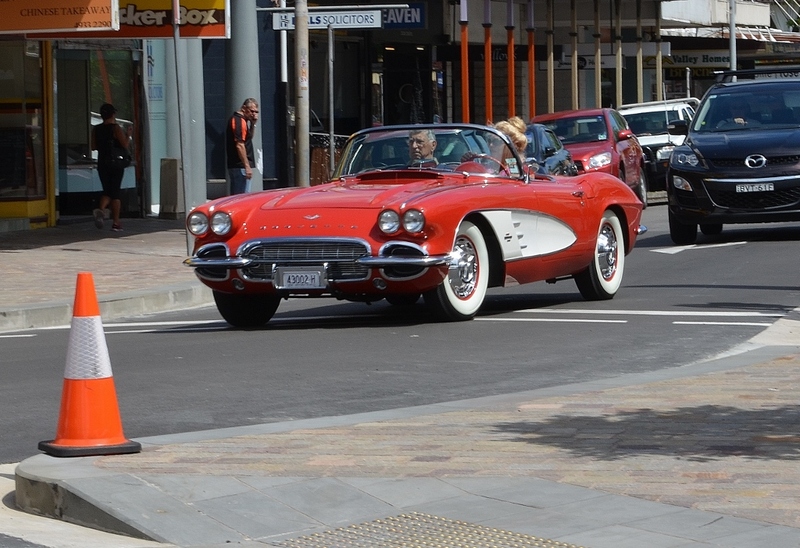 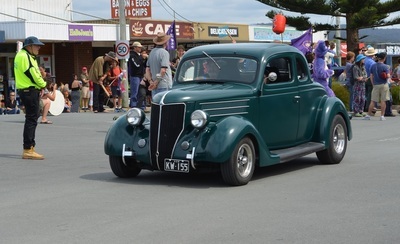 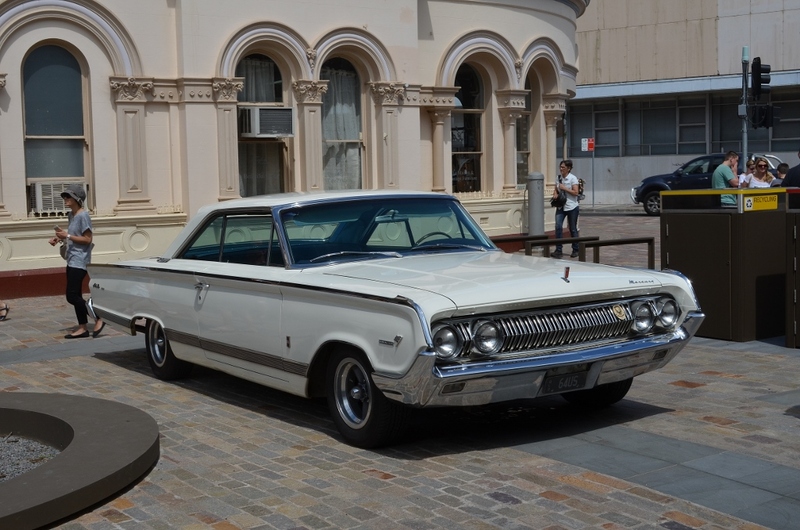 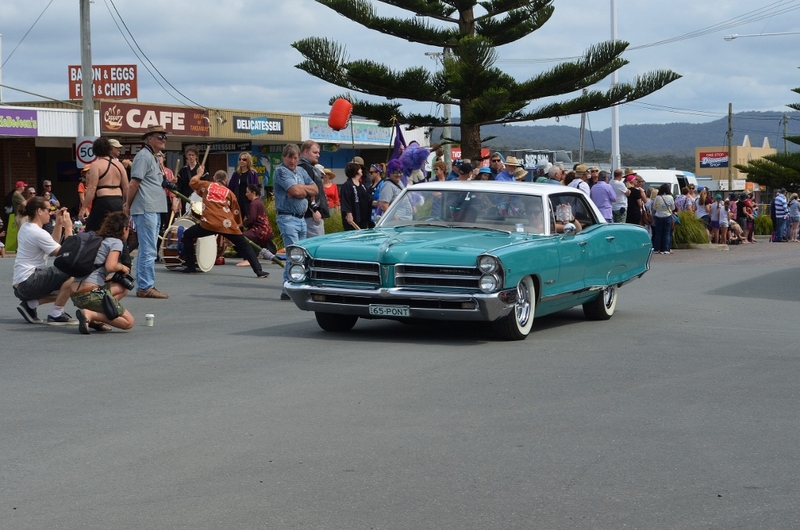 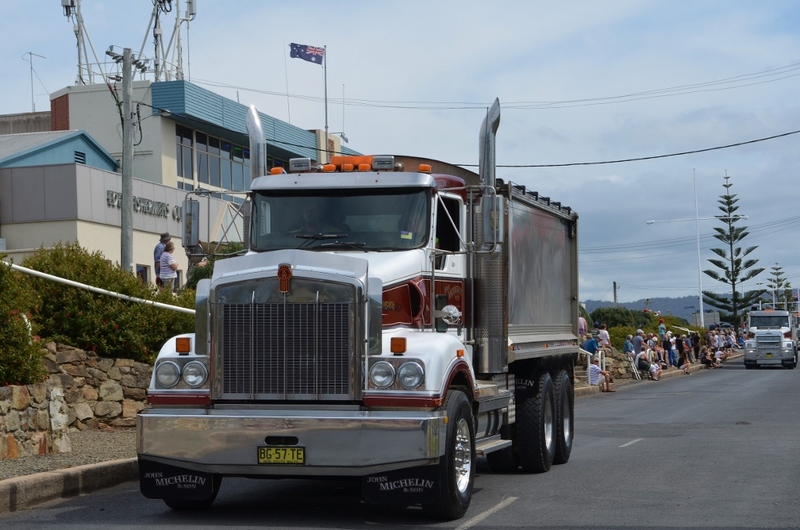 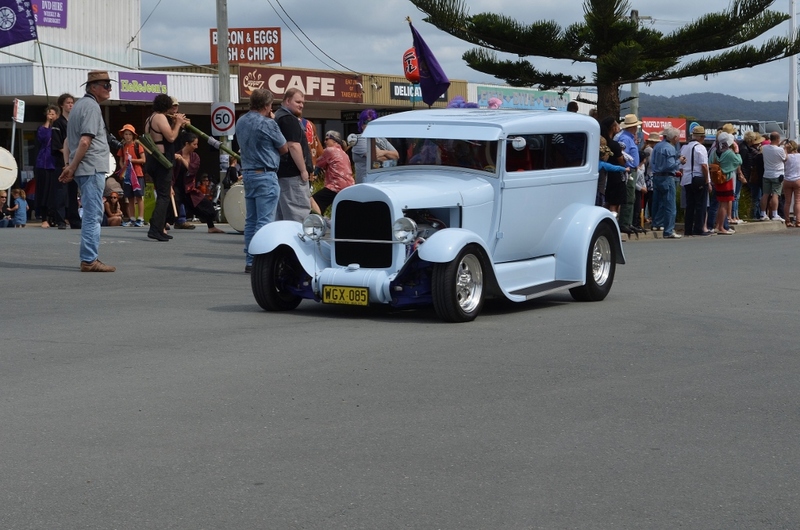 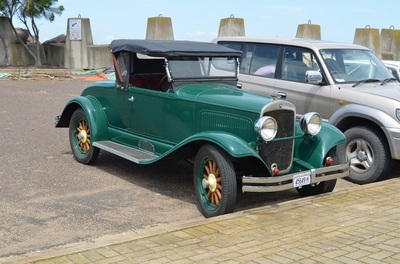 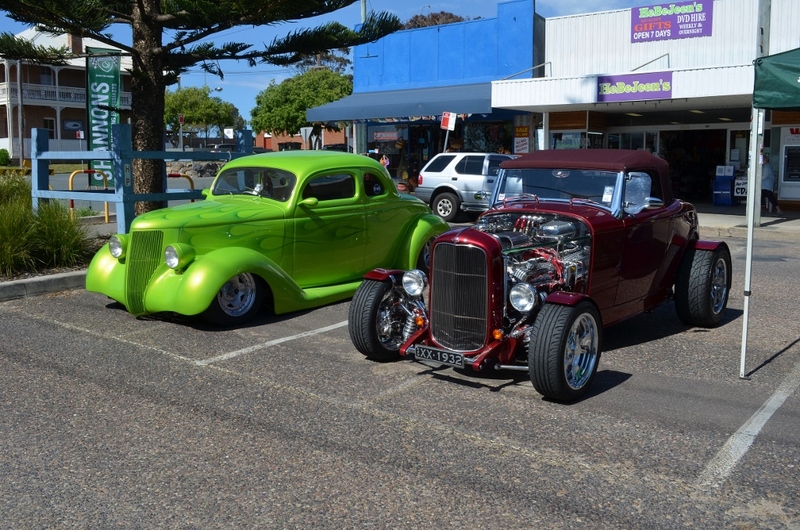 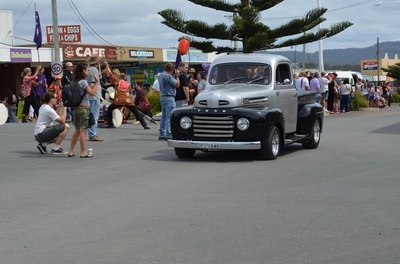 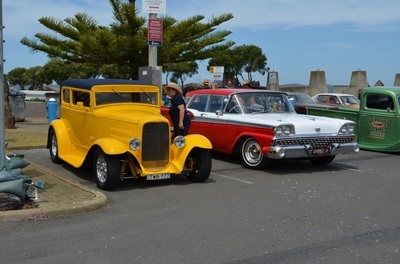 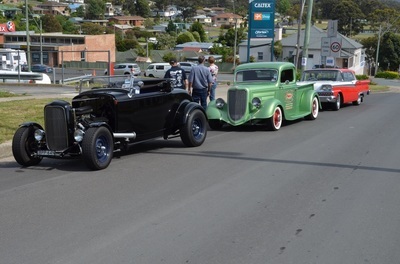 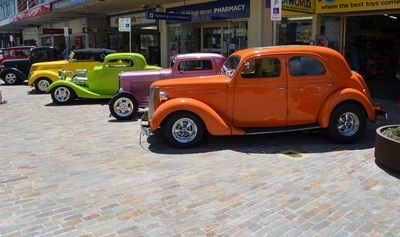 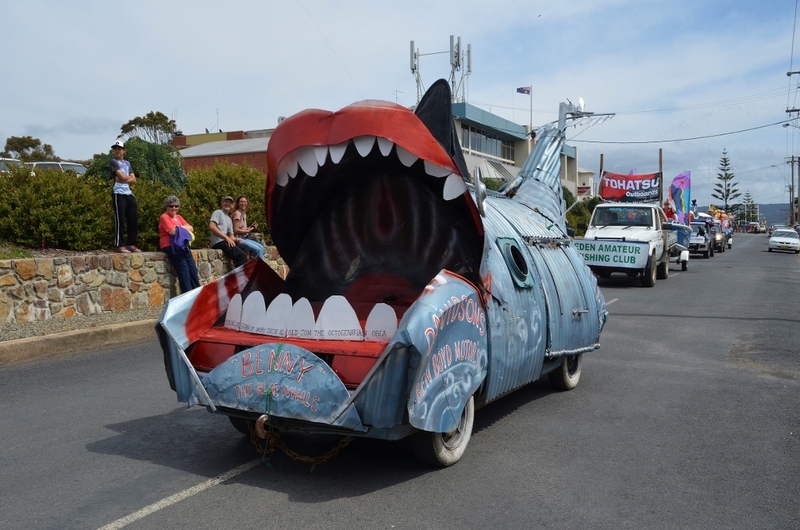 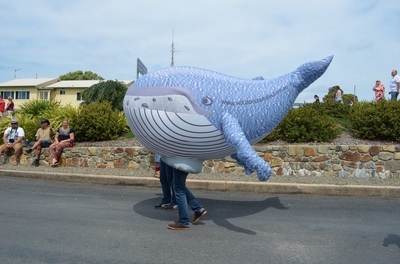 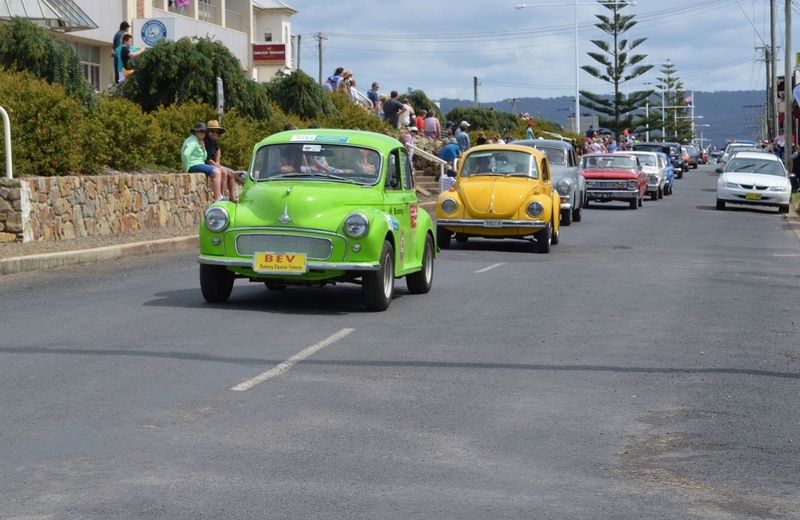 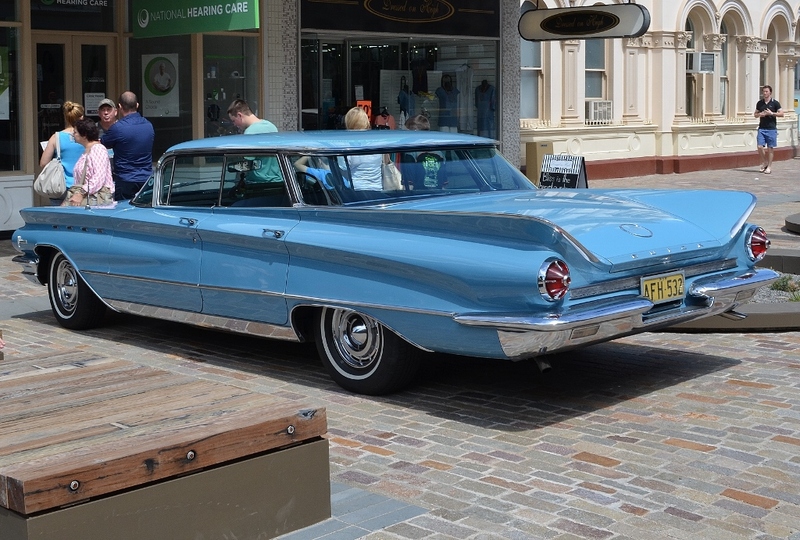 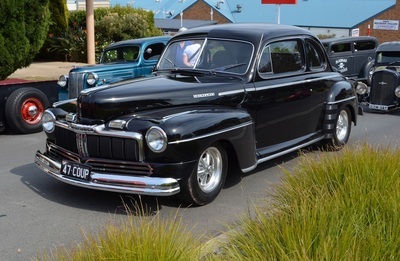 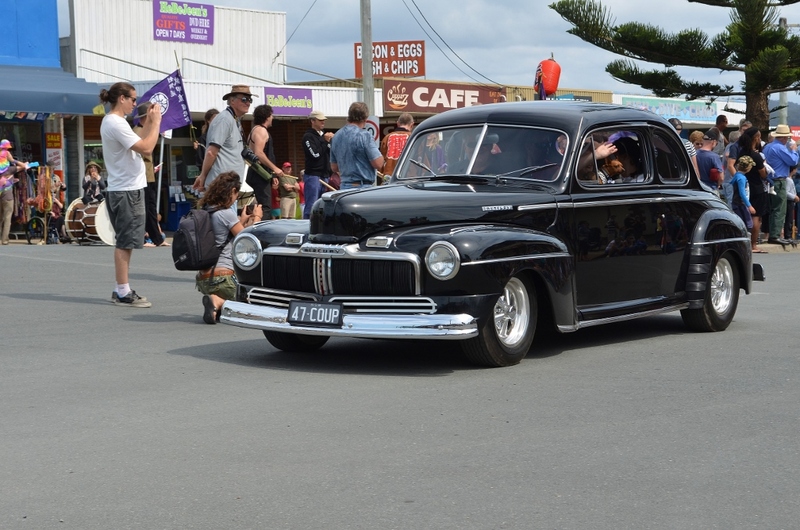 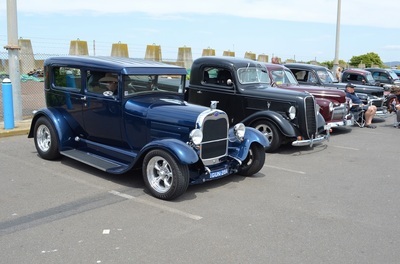 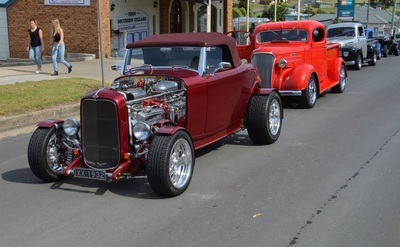 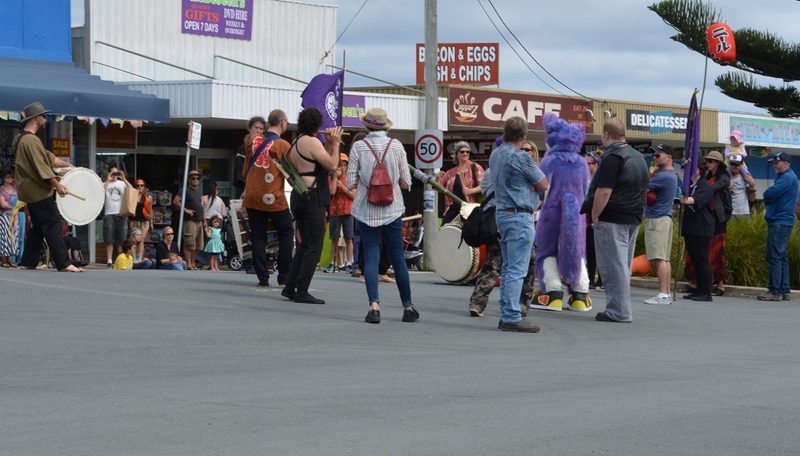 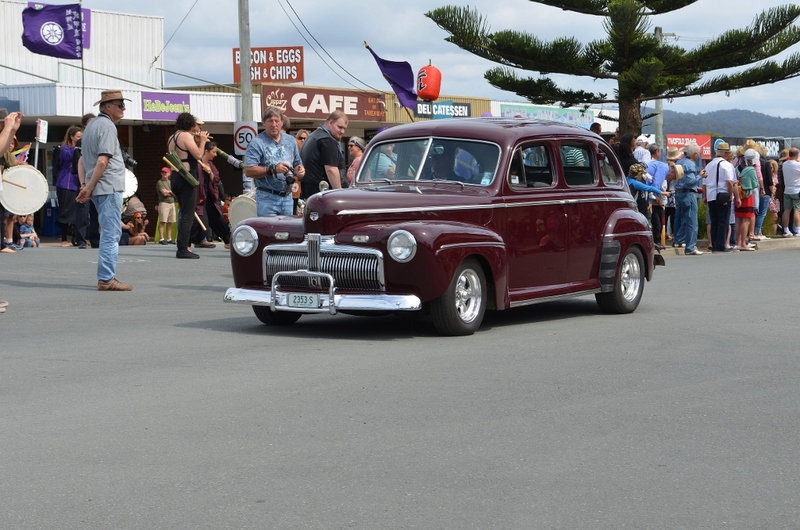 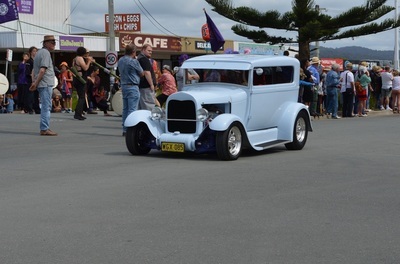 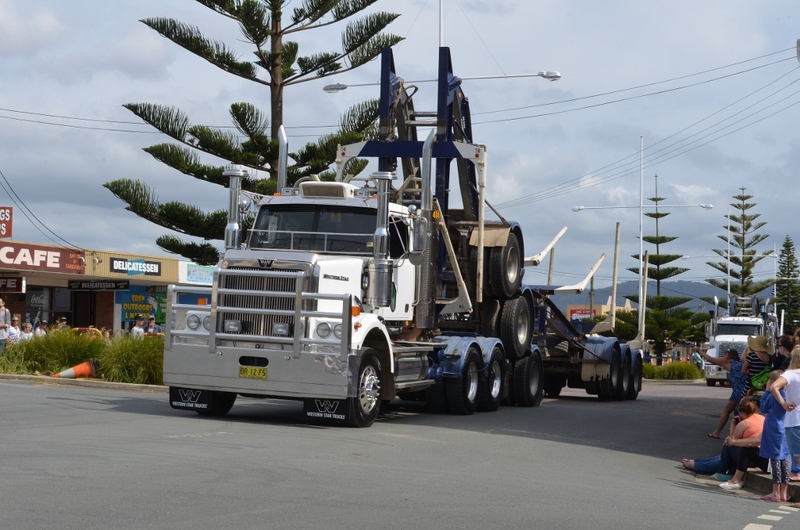 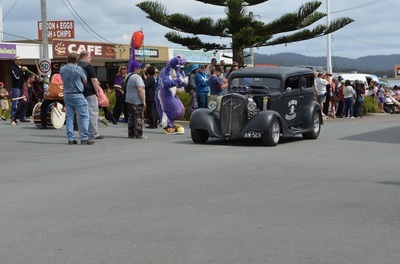 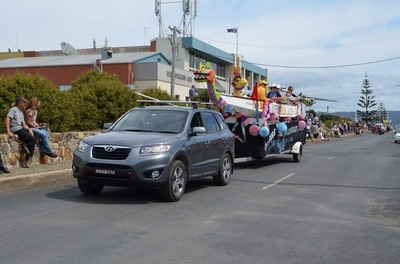 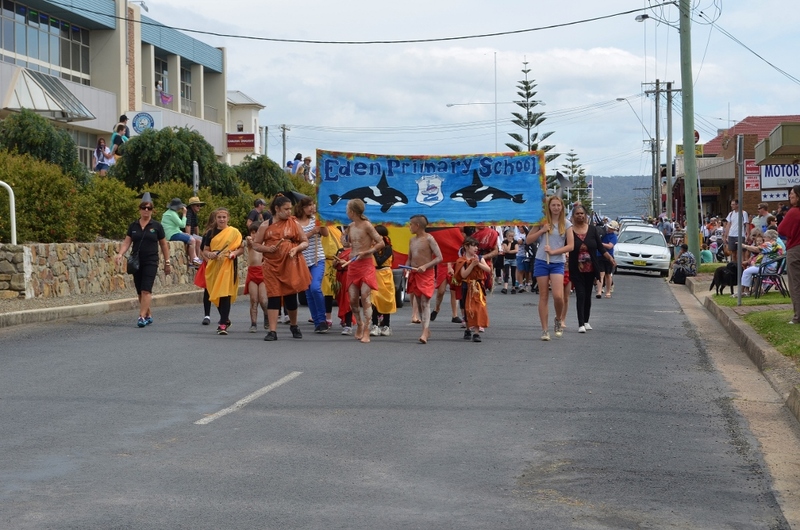 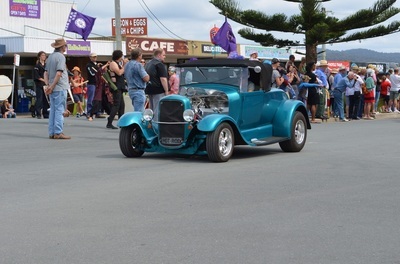 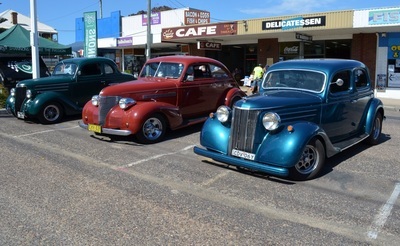 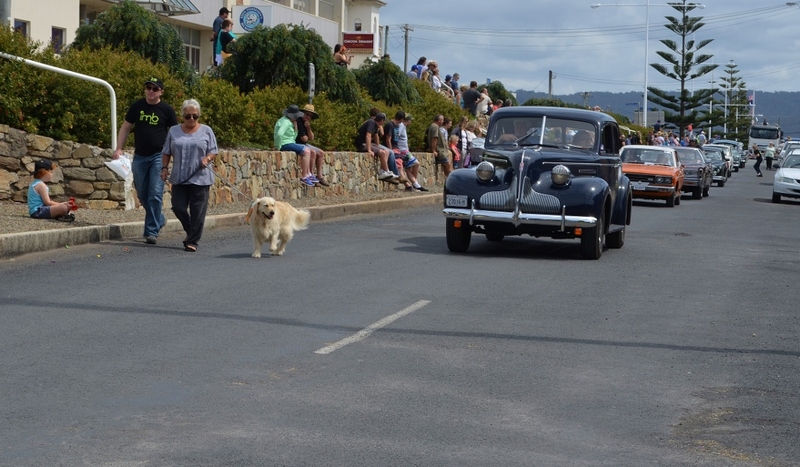 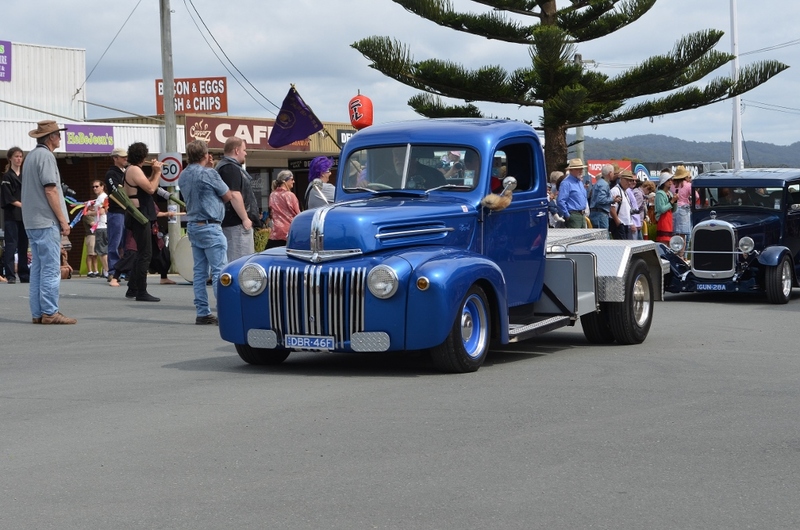 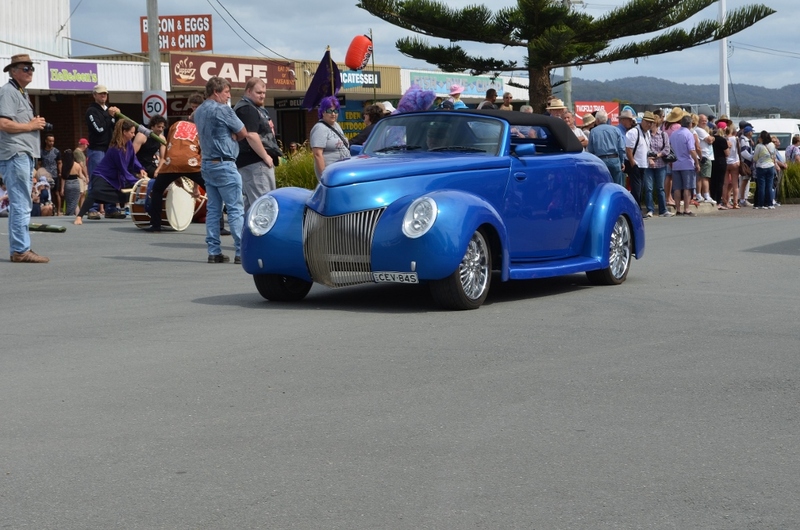 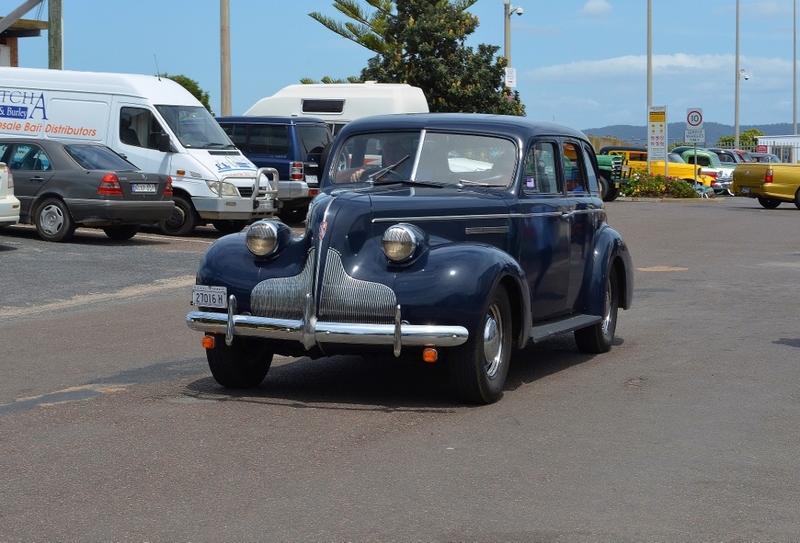 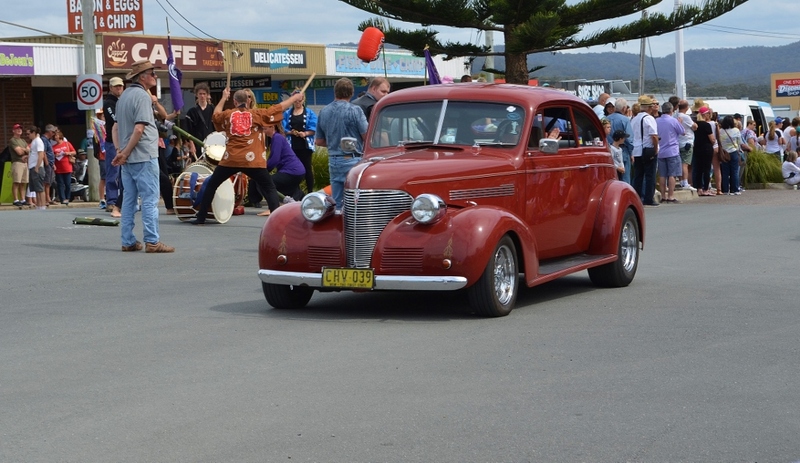 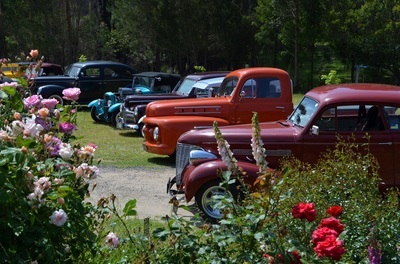 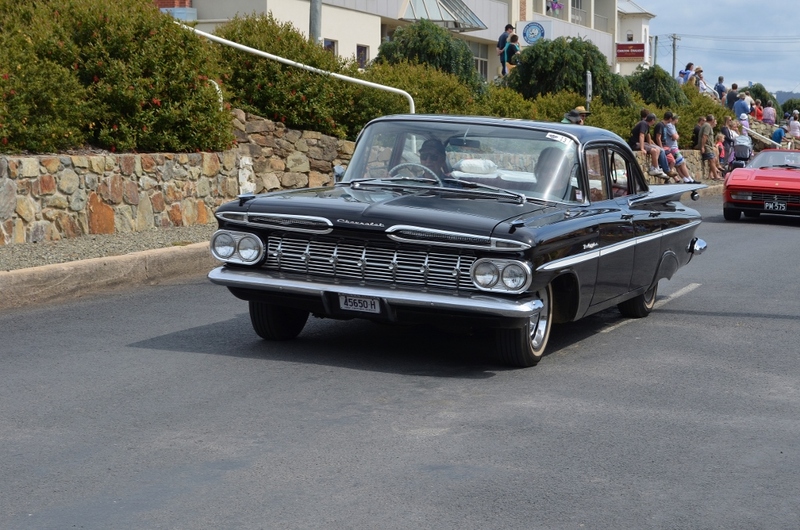 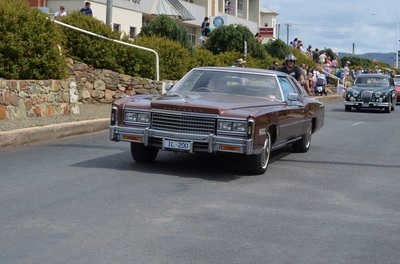 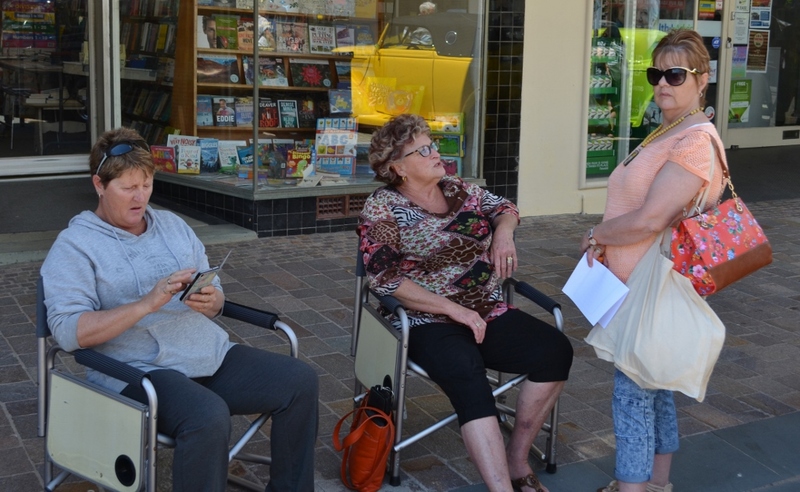 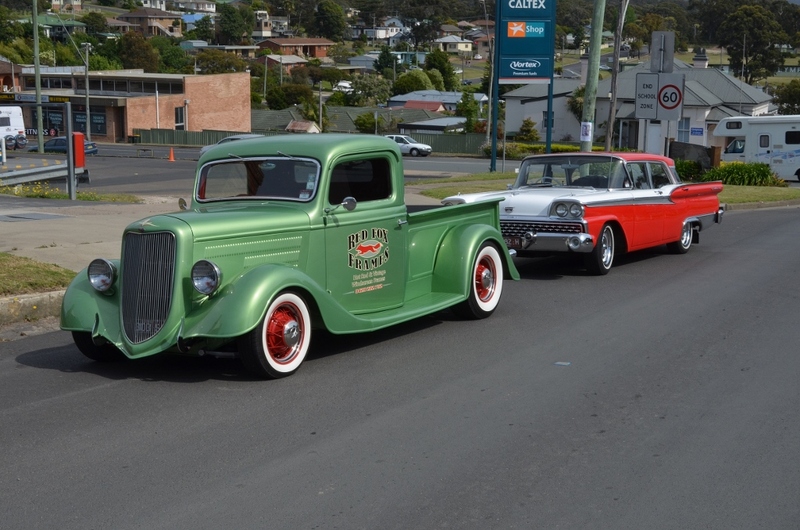 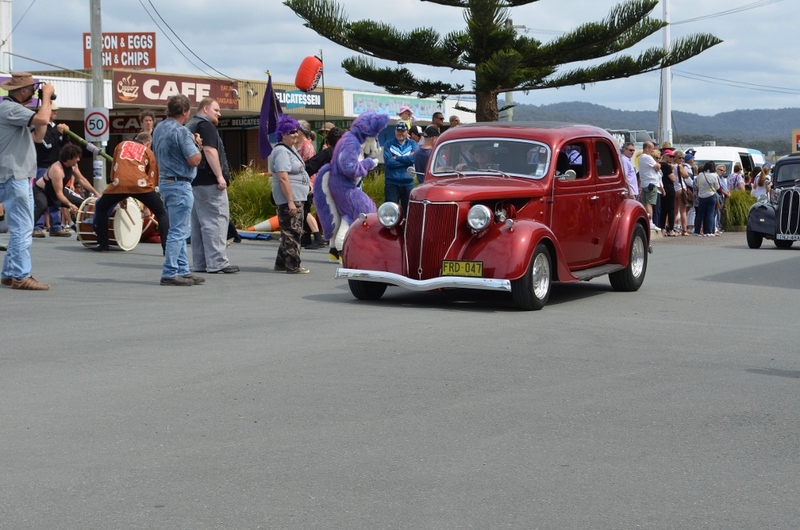 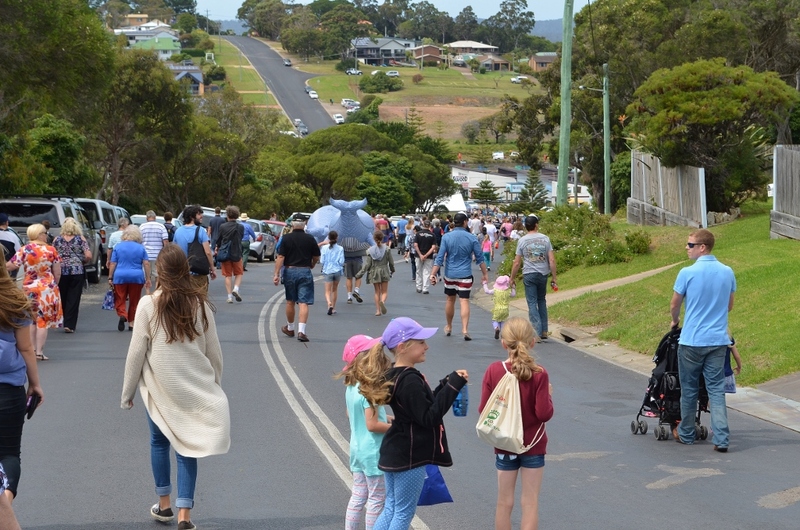 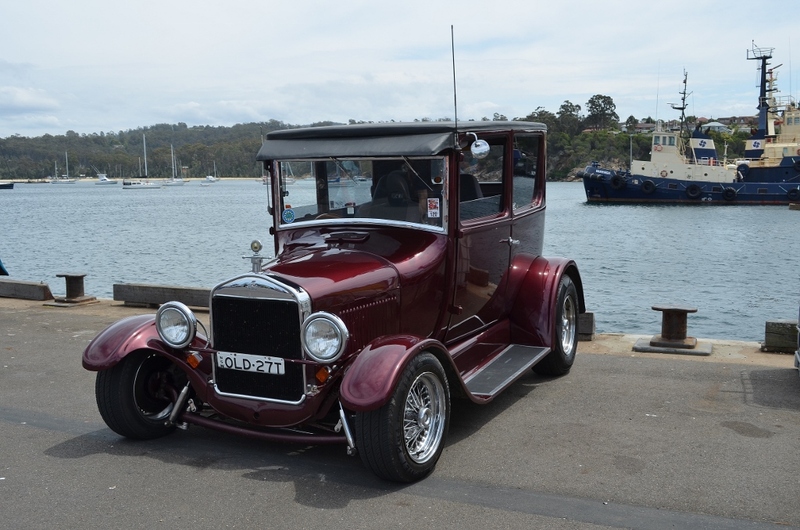 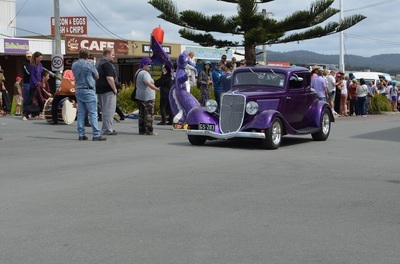 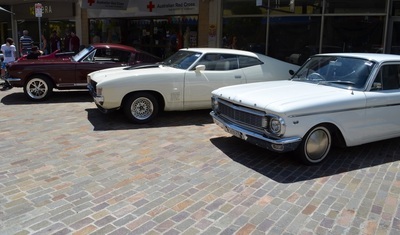 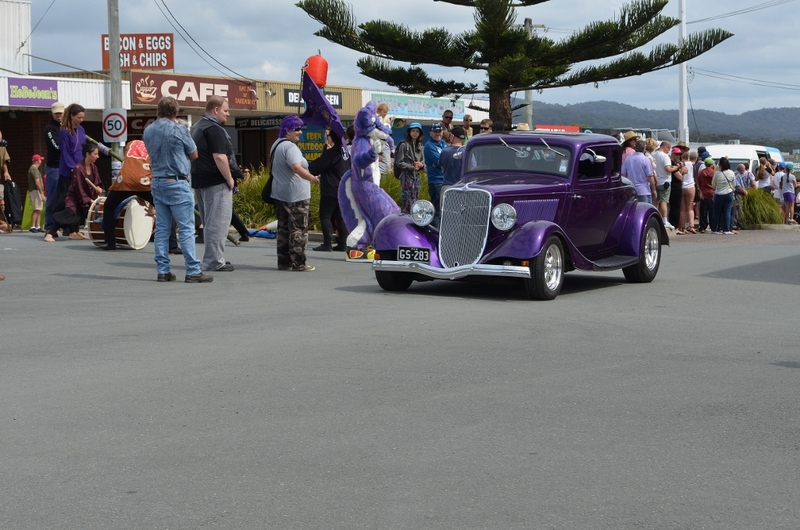 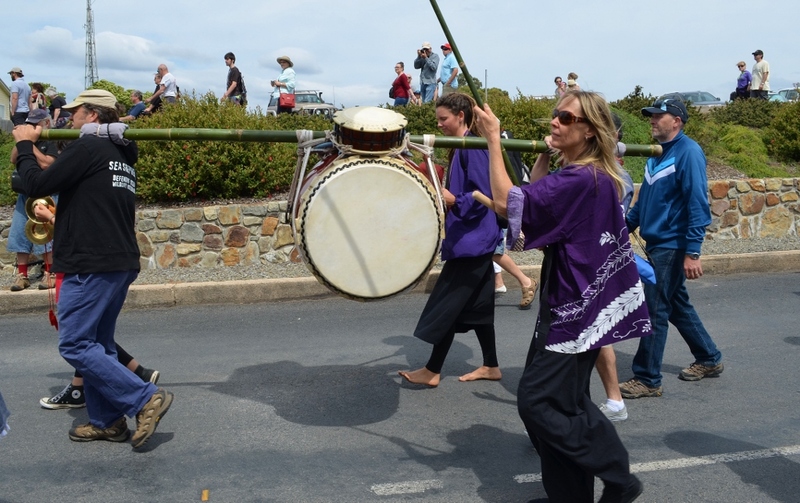 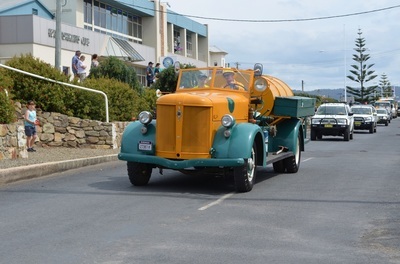 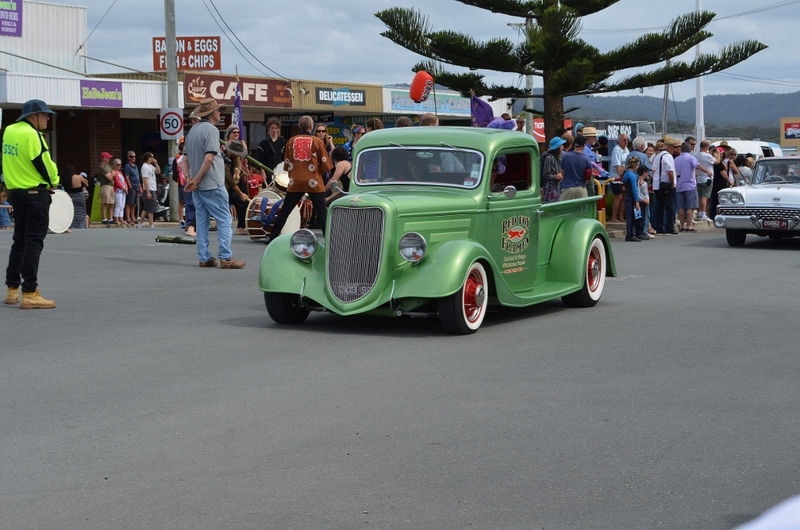 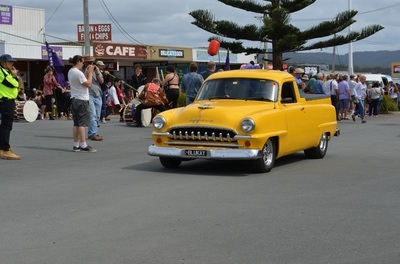 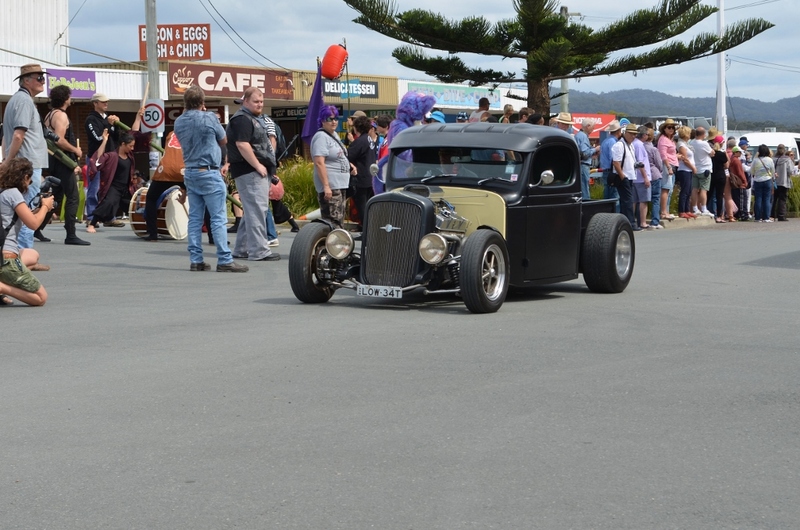 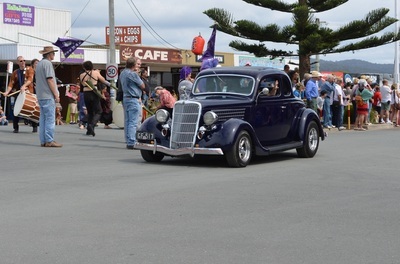 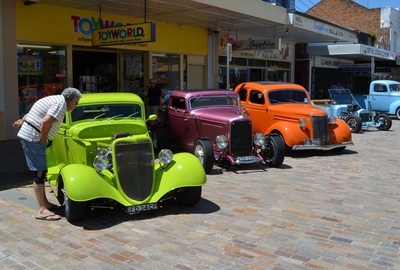 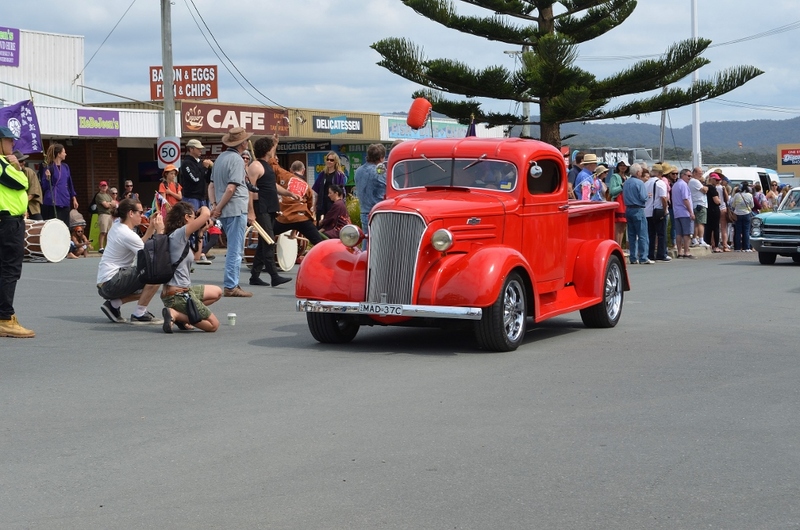 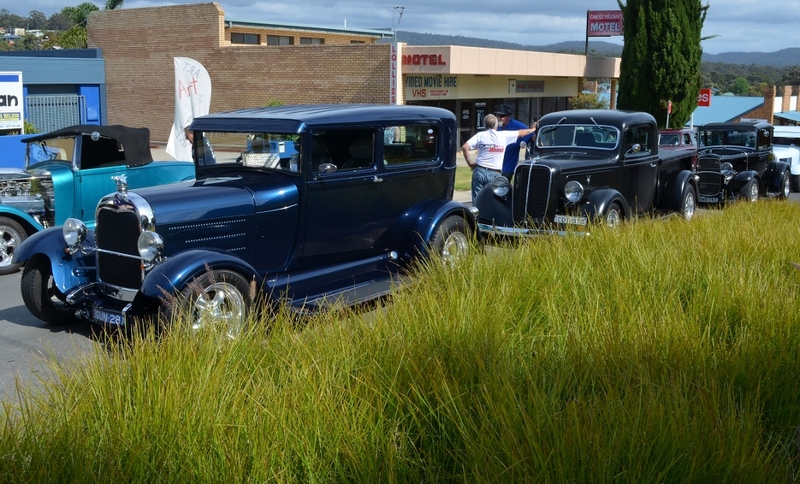 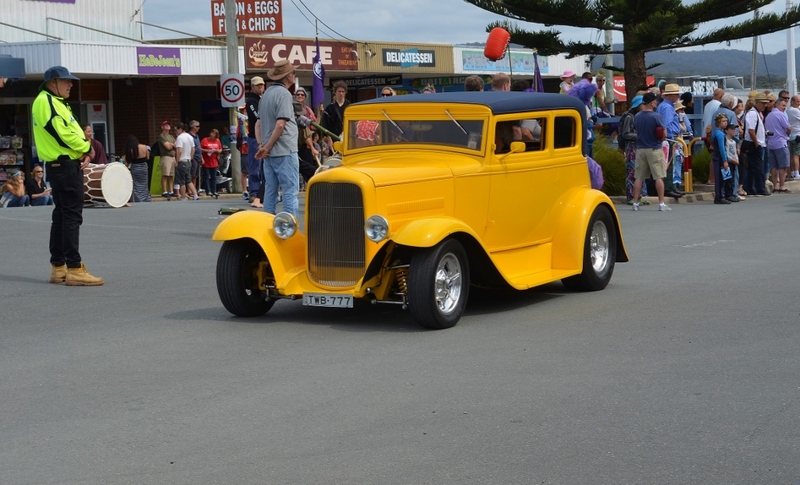 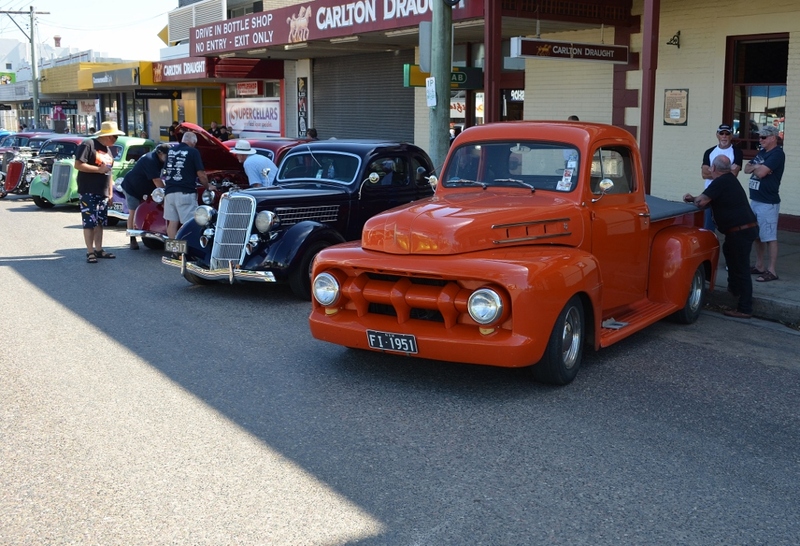 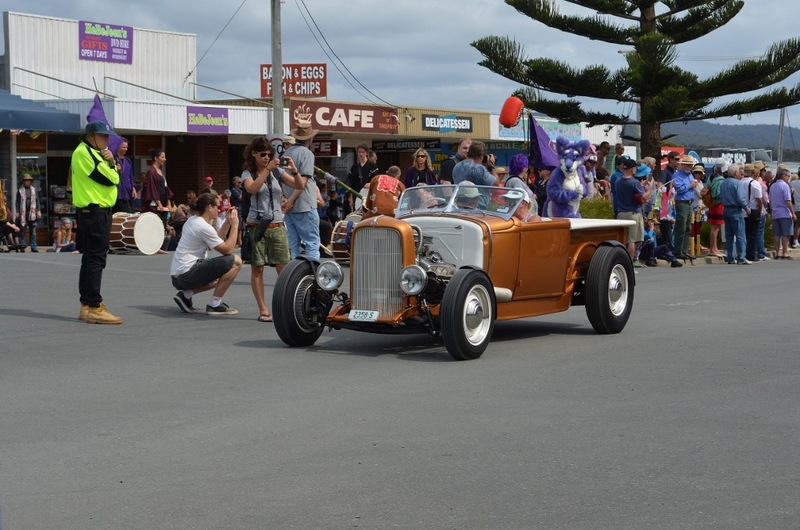 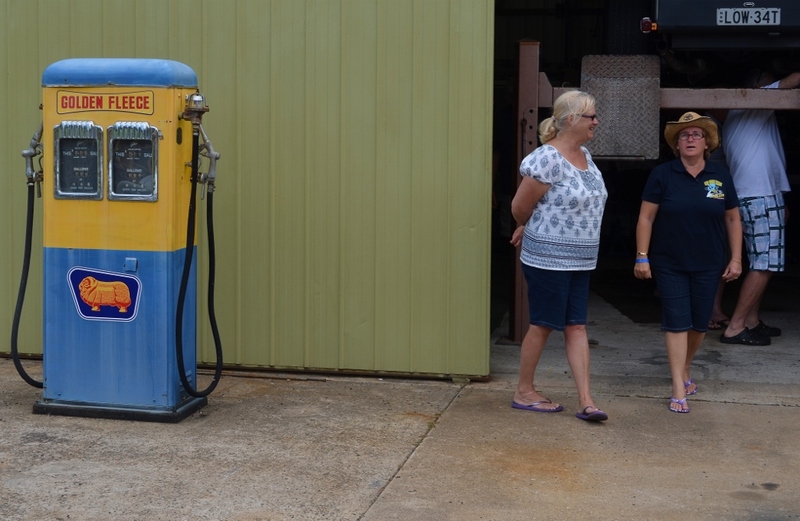 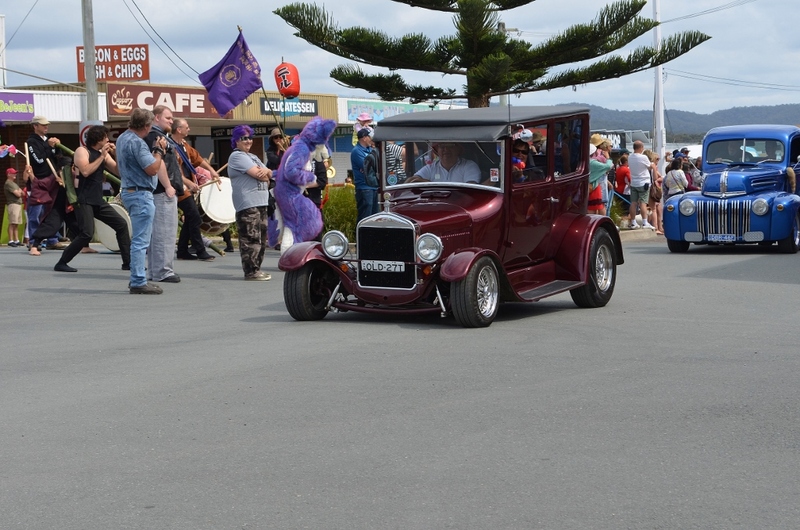 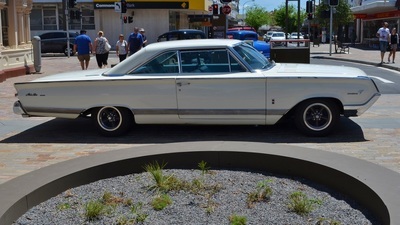 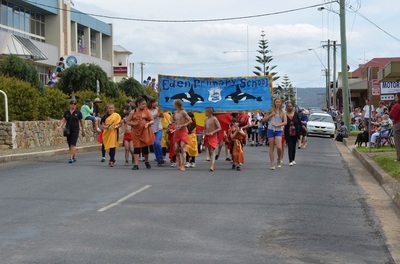 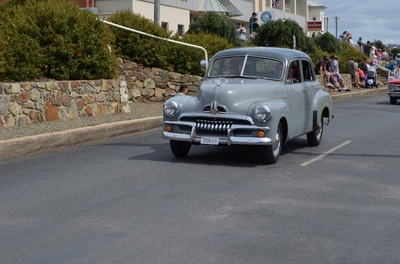 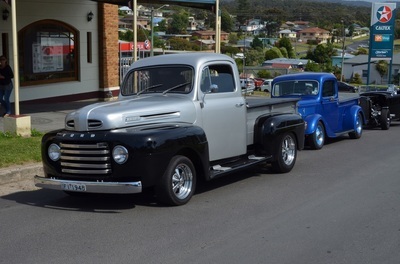 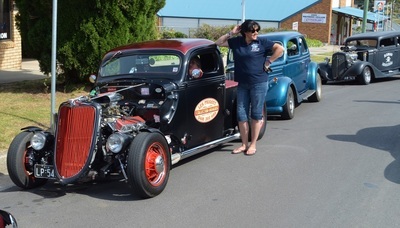 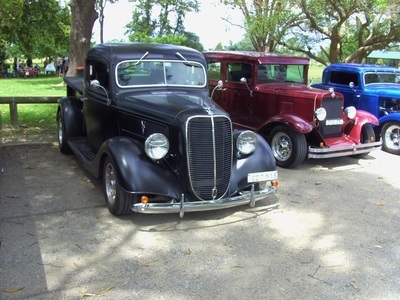 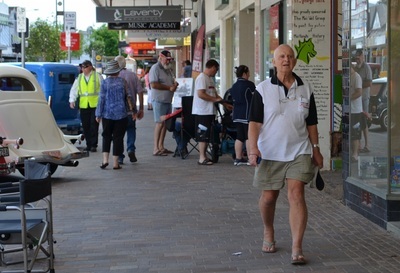 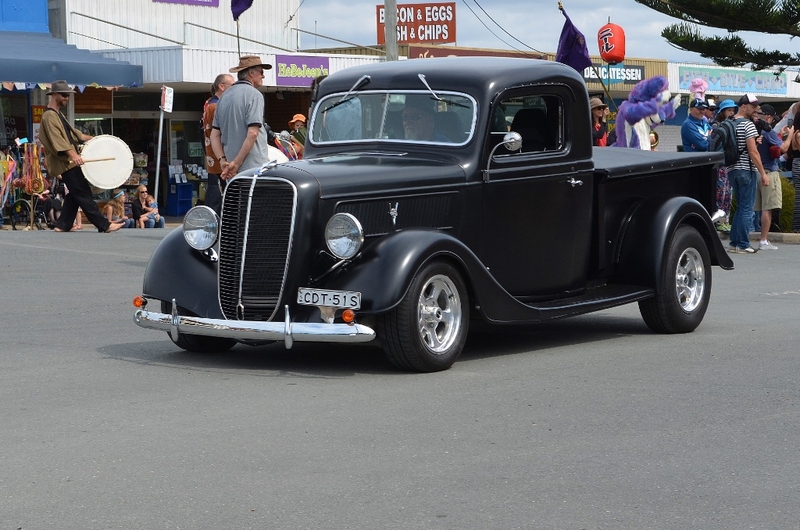 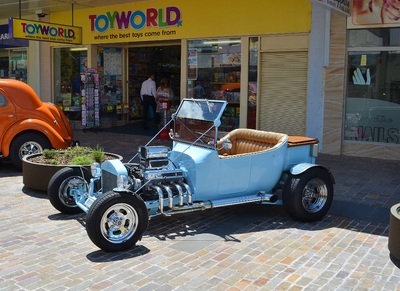 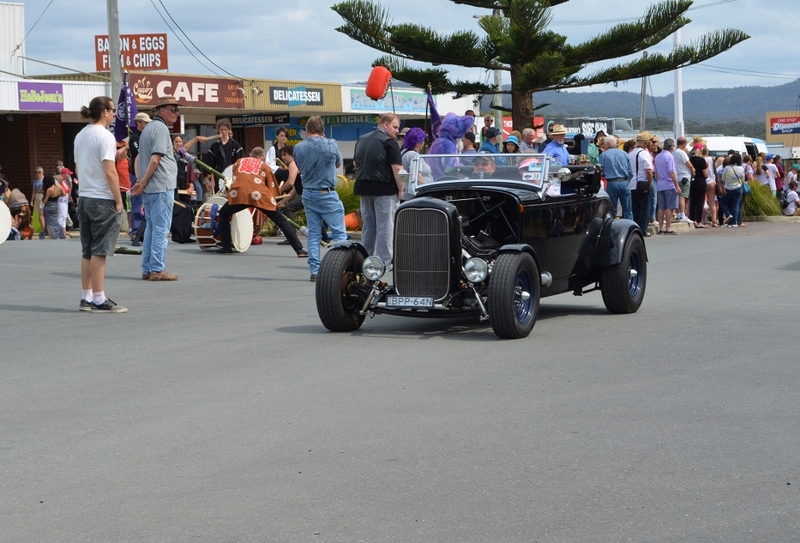 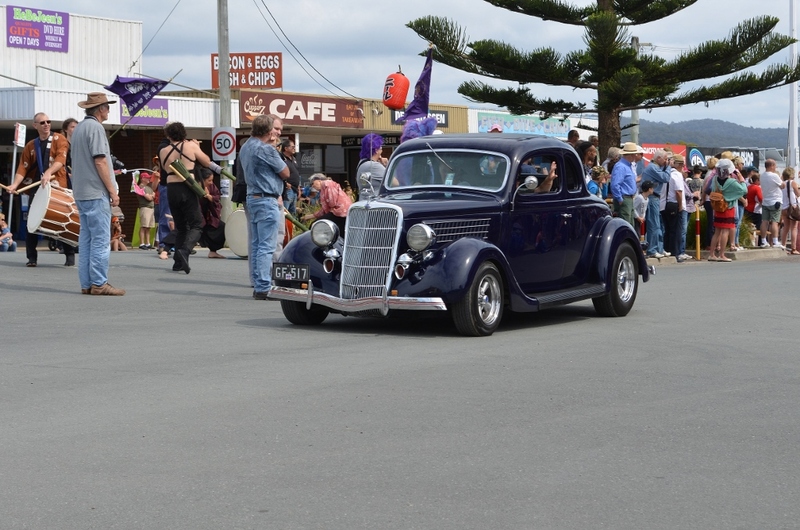 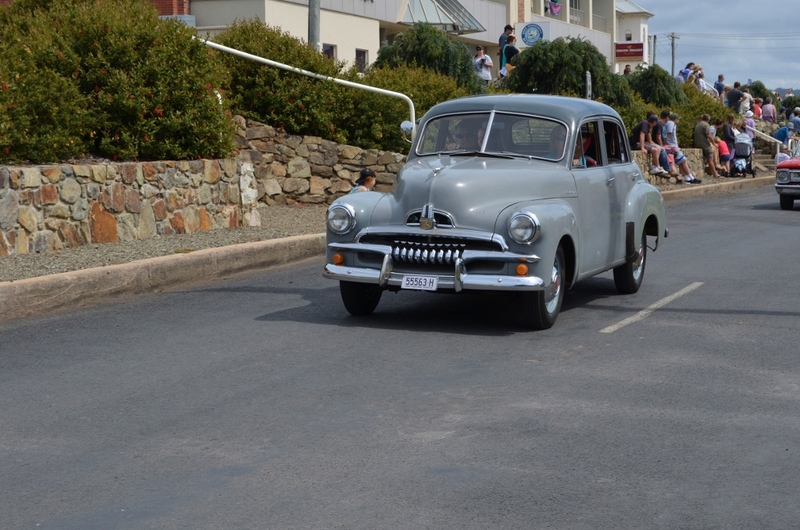 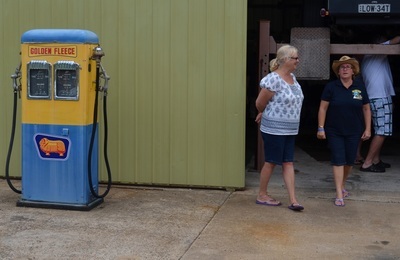 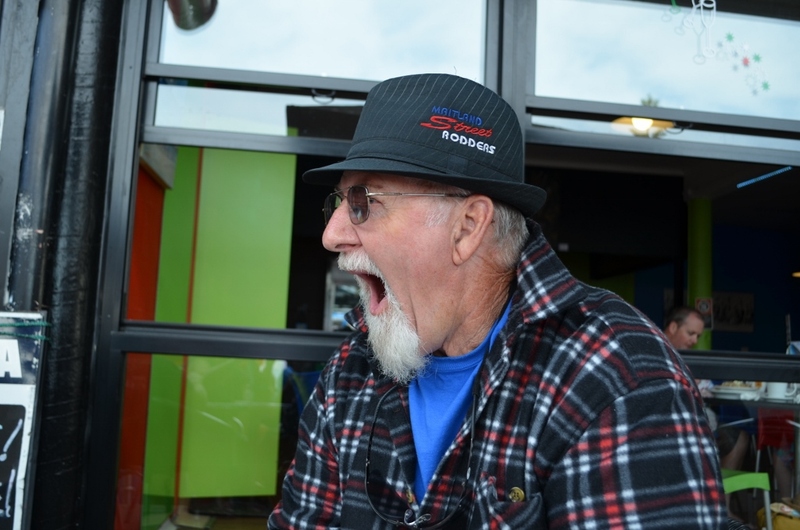 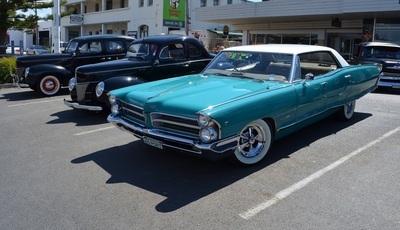 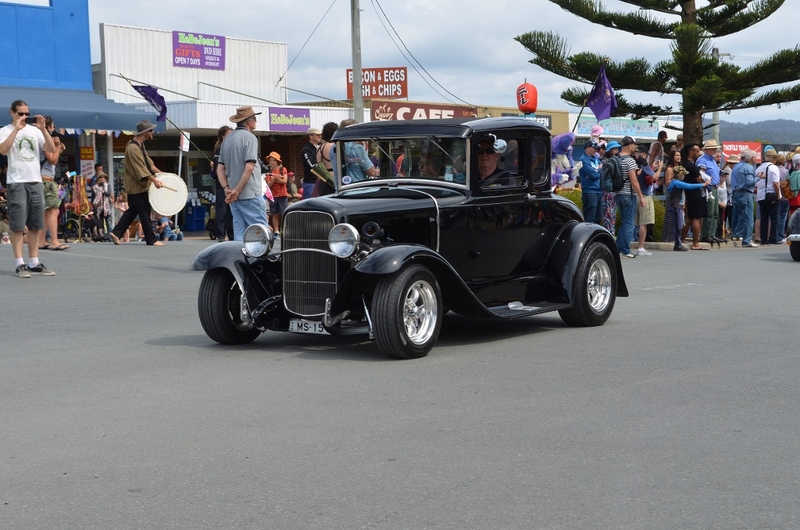 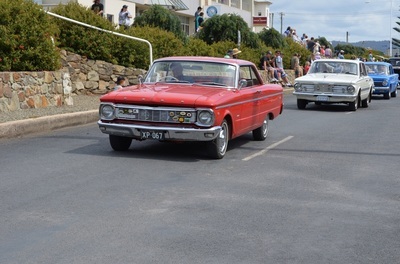 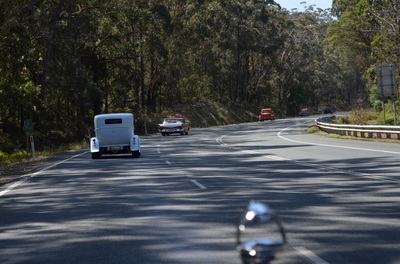 The Eden Rod Run which coincides with the Whale Festival was held again this year on the last weekend in October. 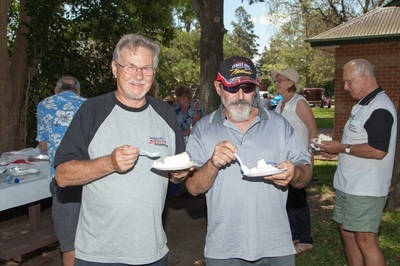 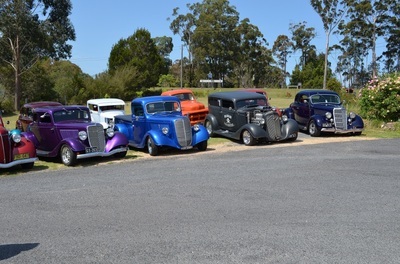 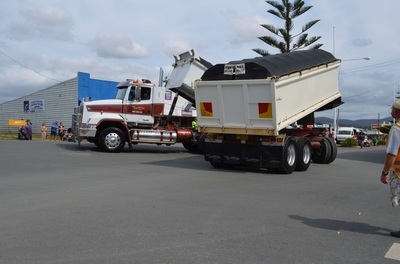 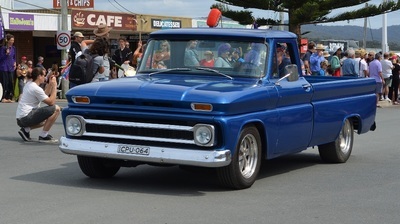 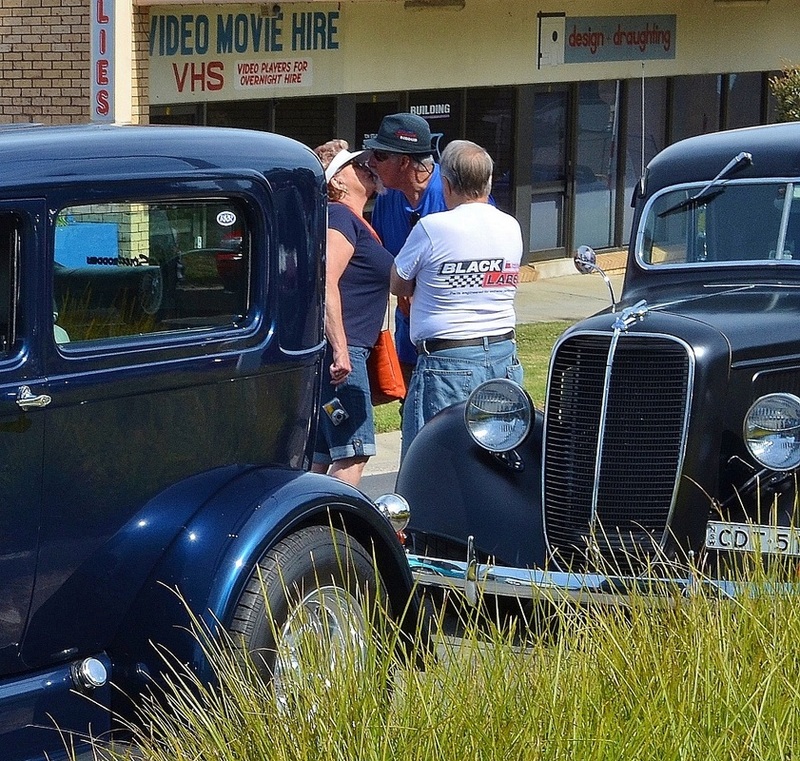 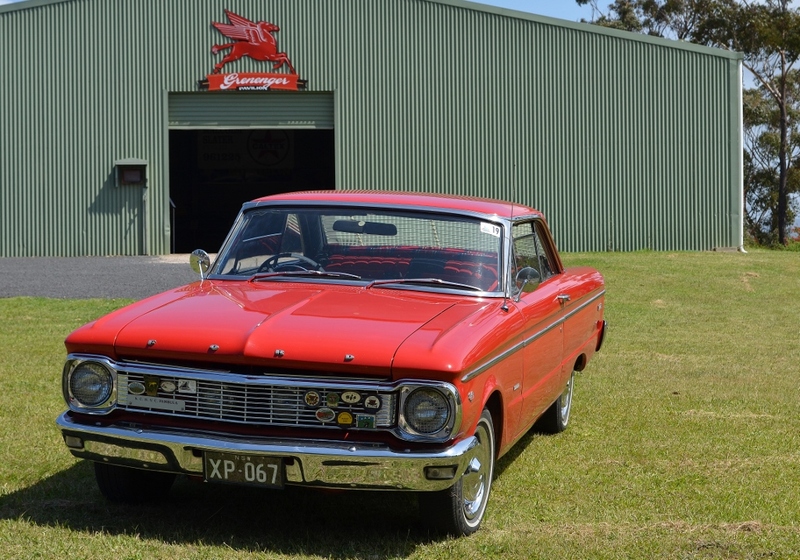 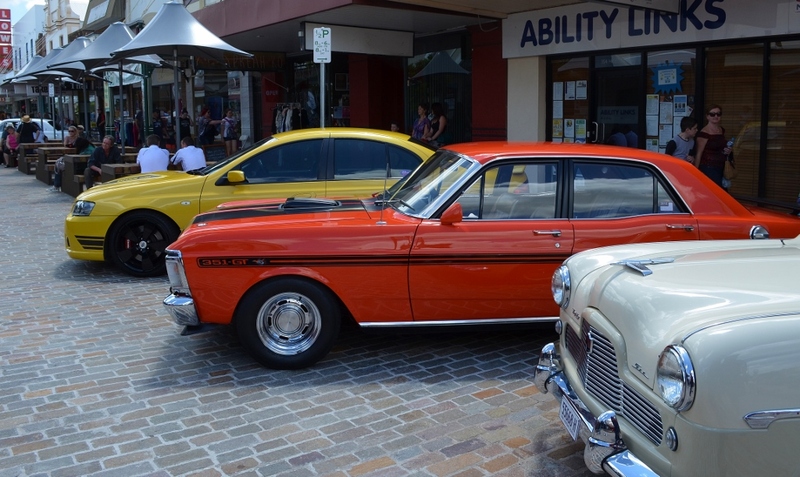 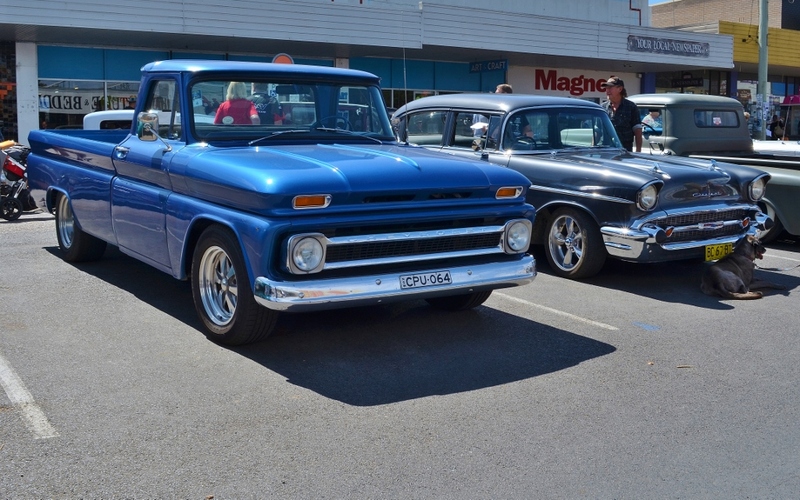 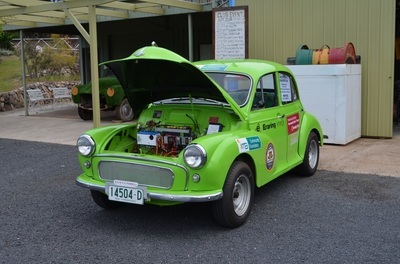 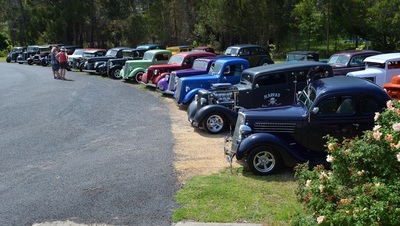 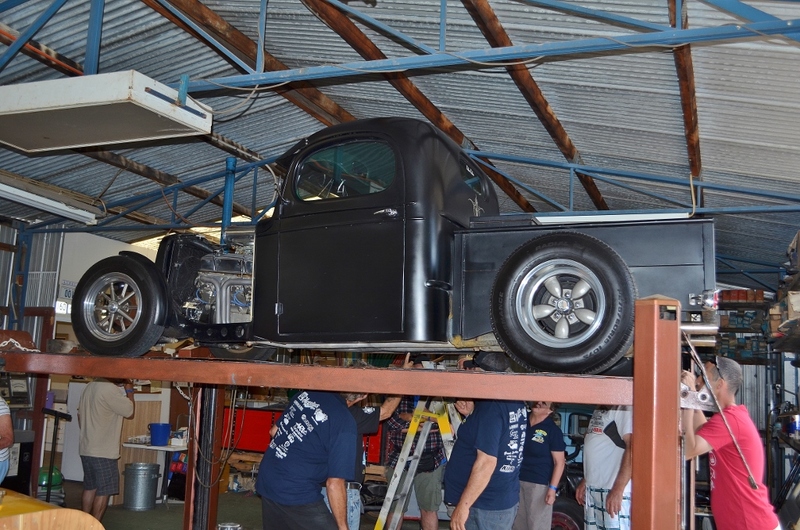 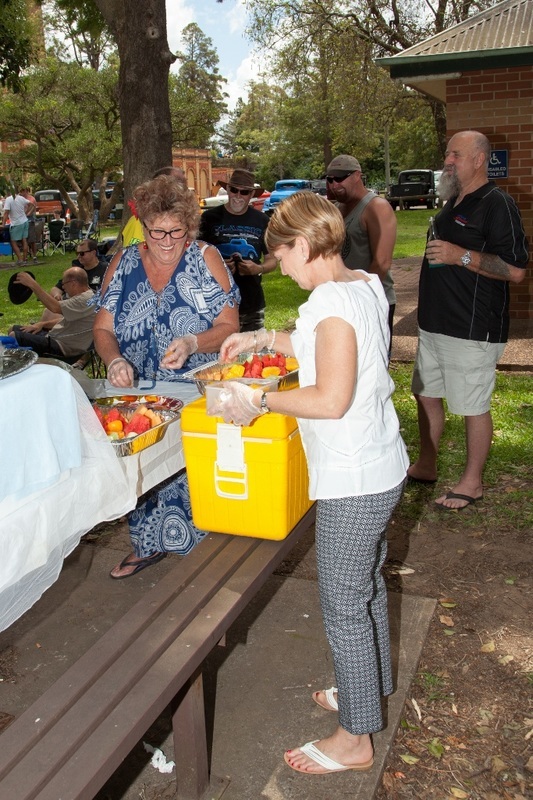 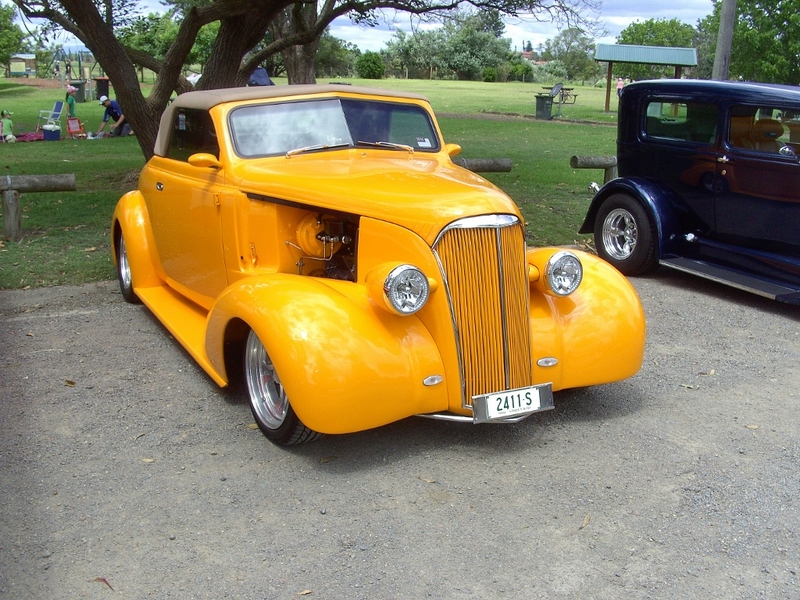 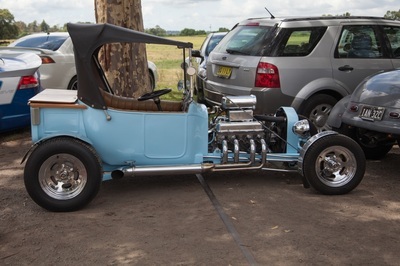 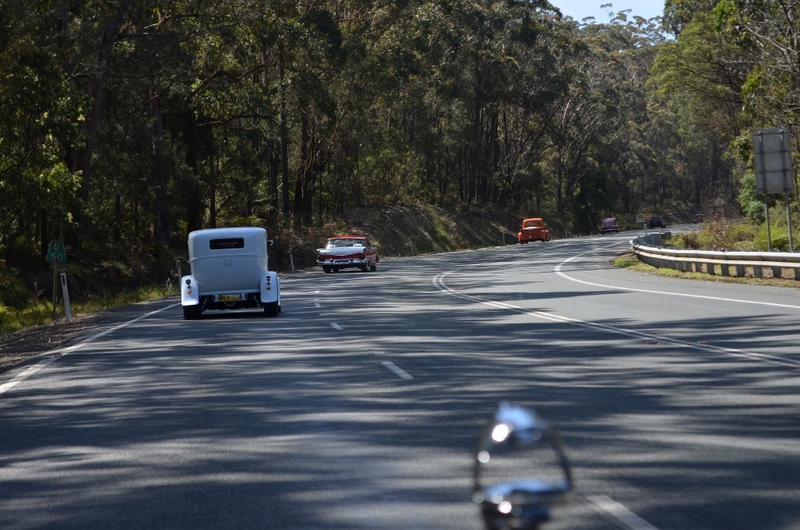 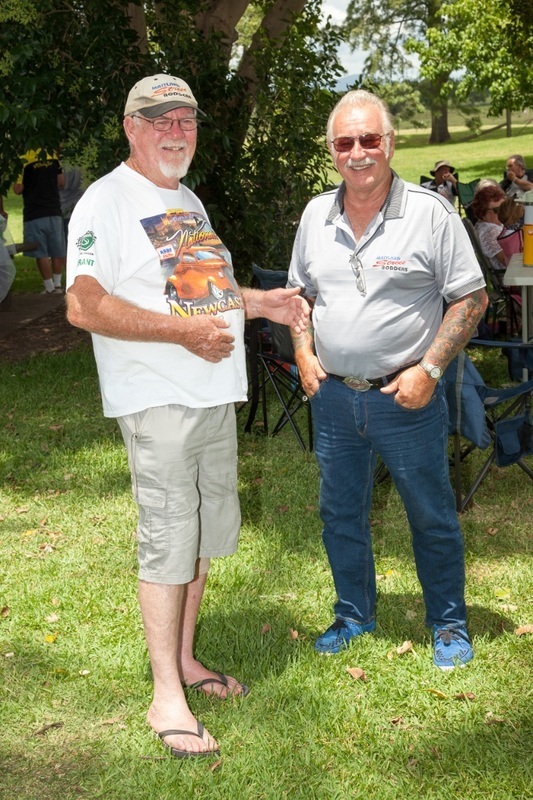 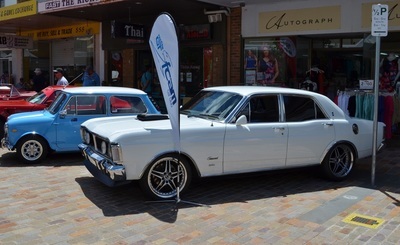 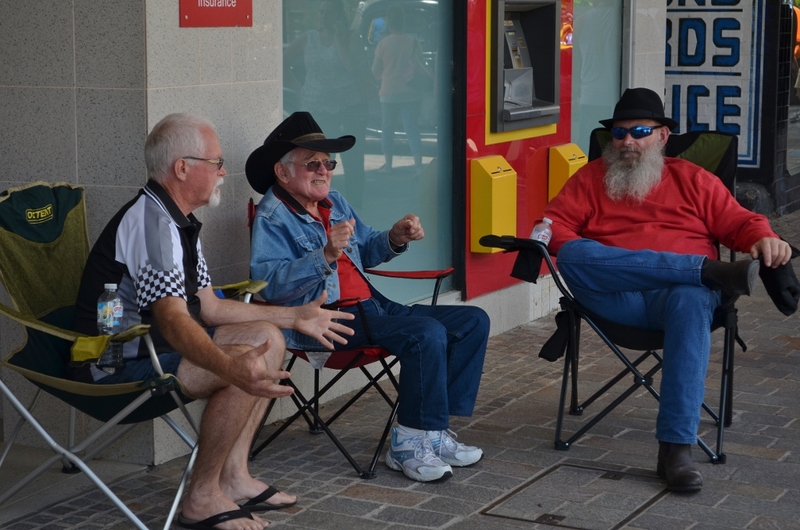 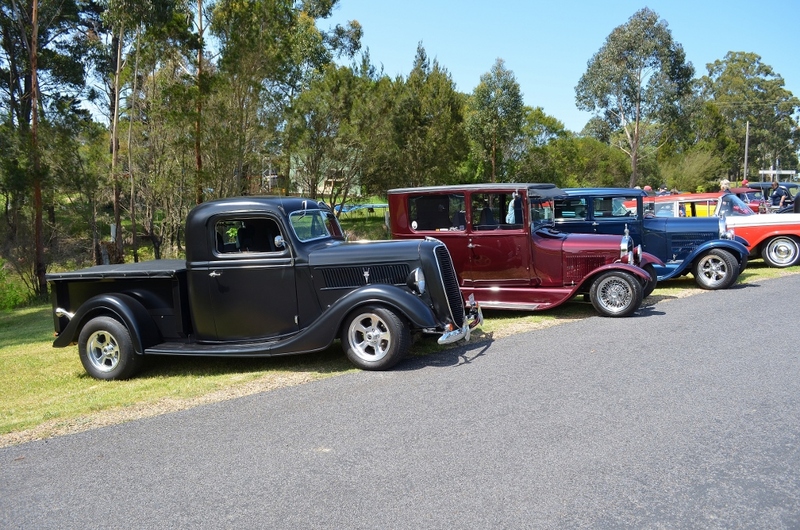 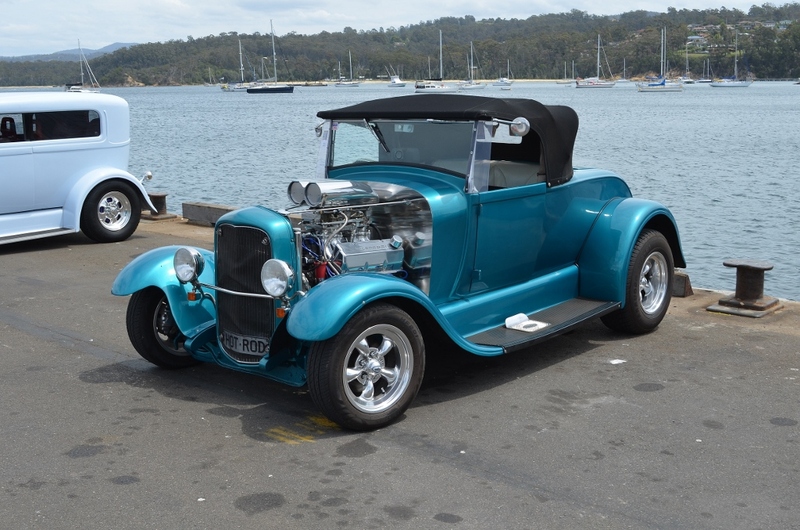 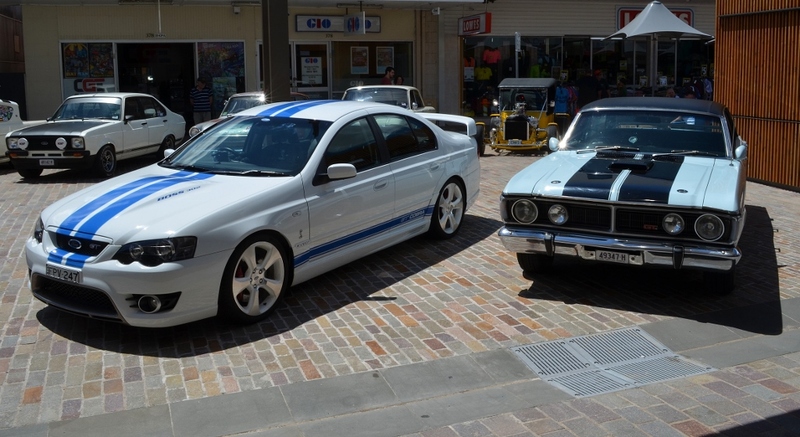 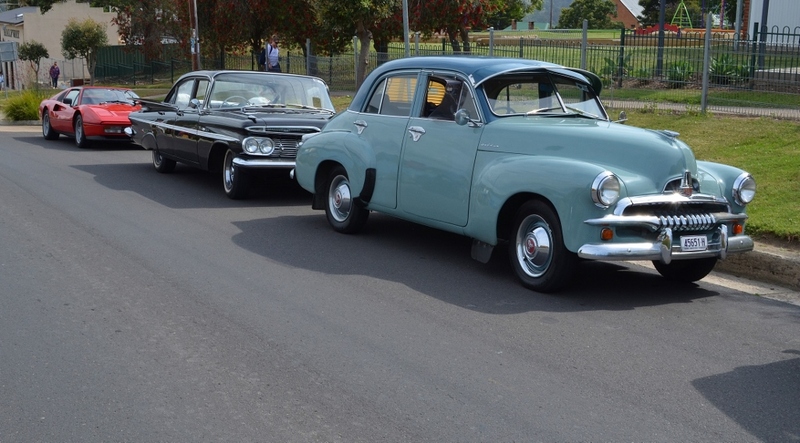 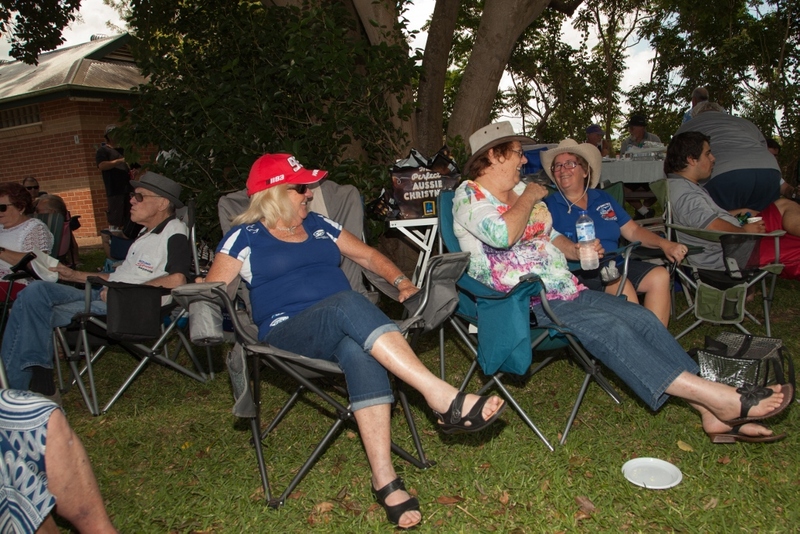 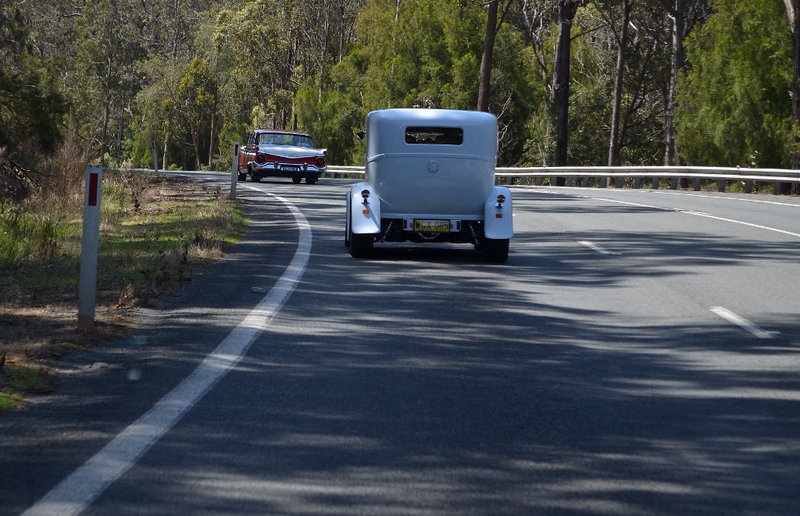 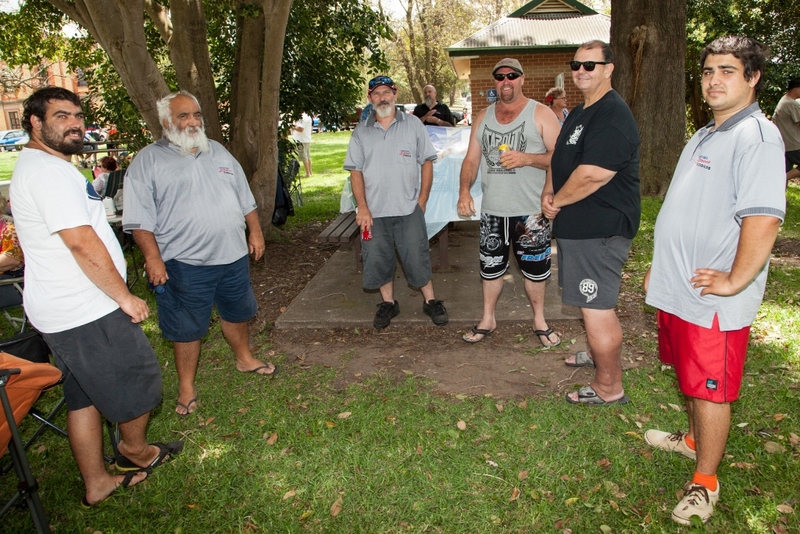 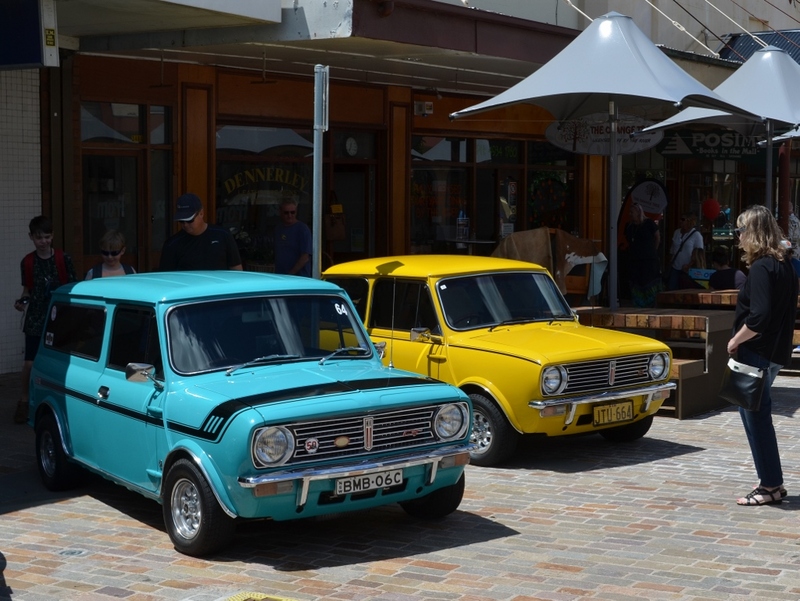 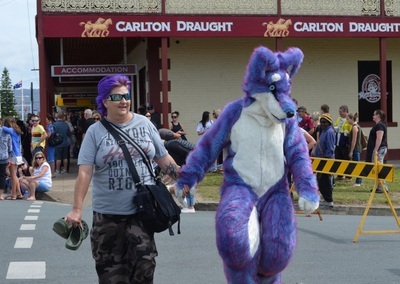 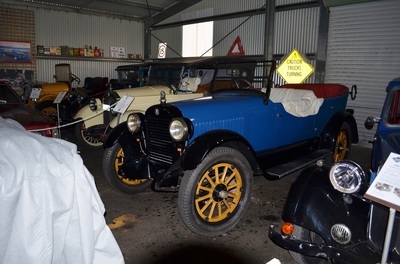 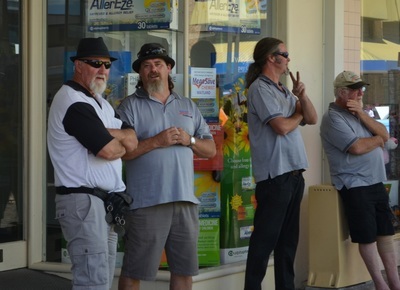 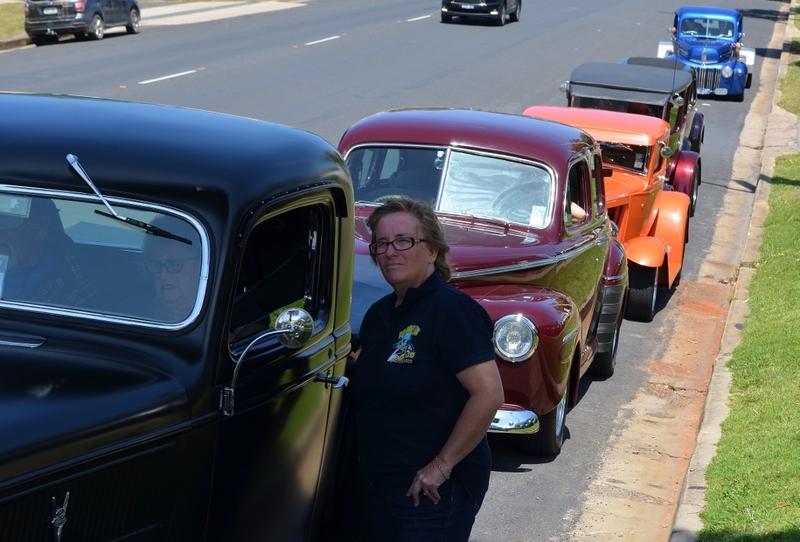 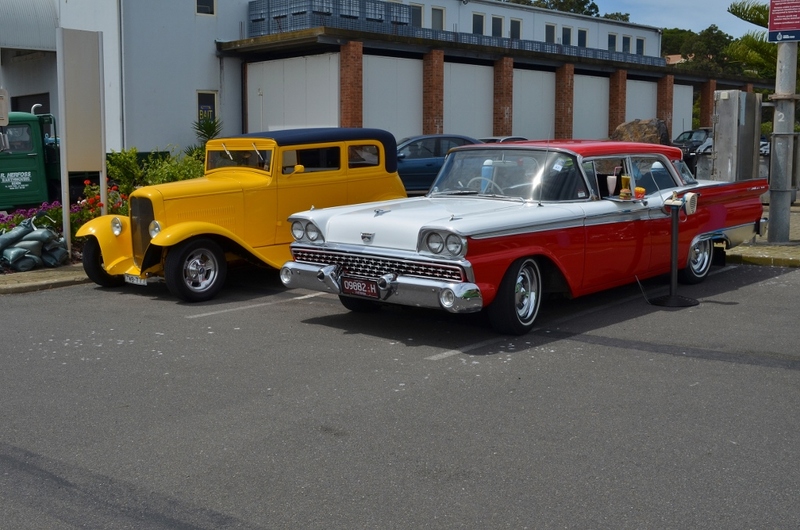 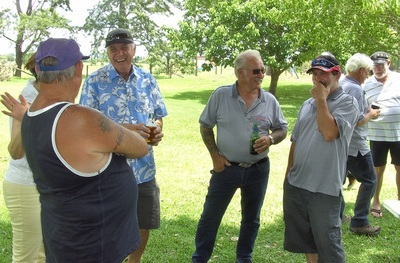 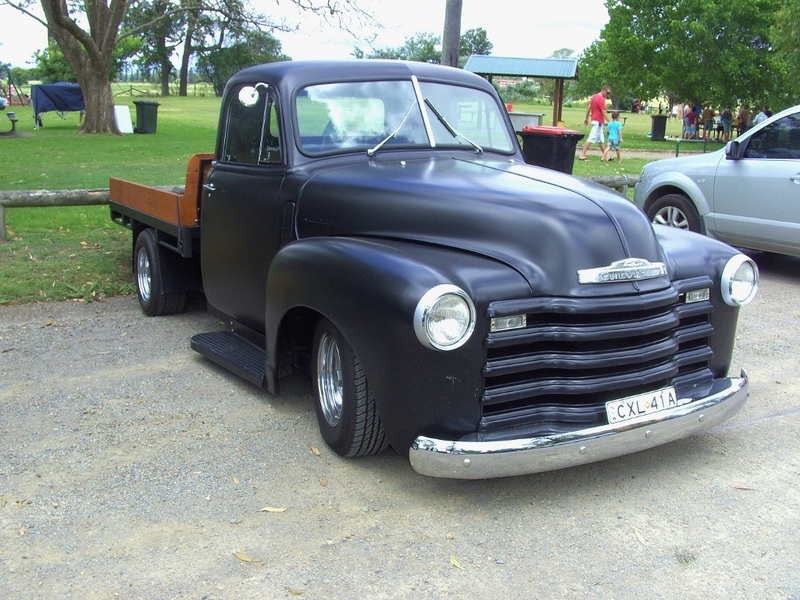 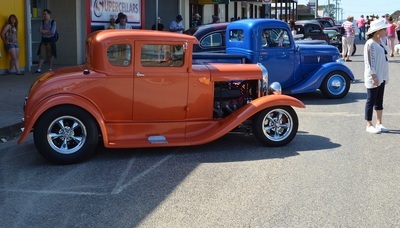 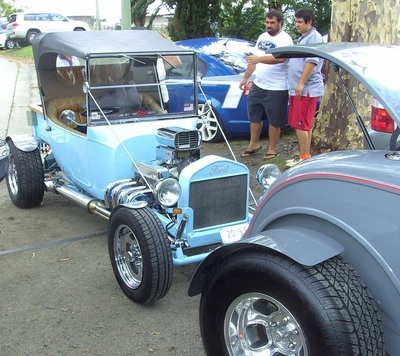 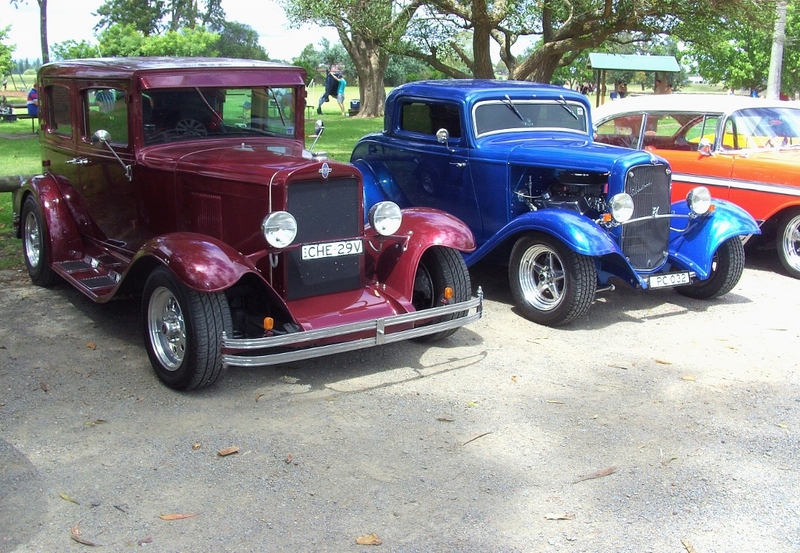 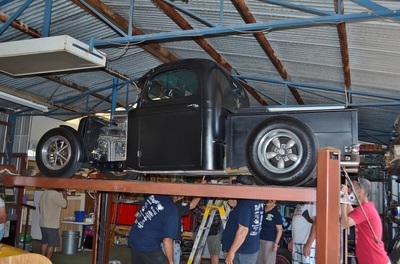 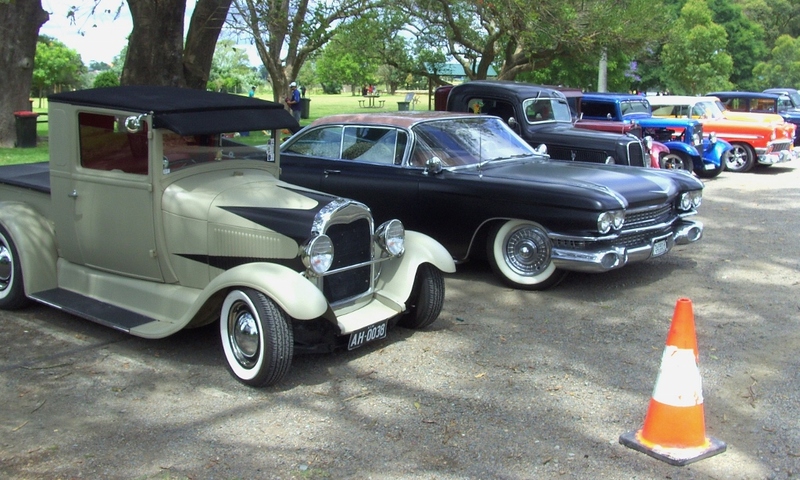 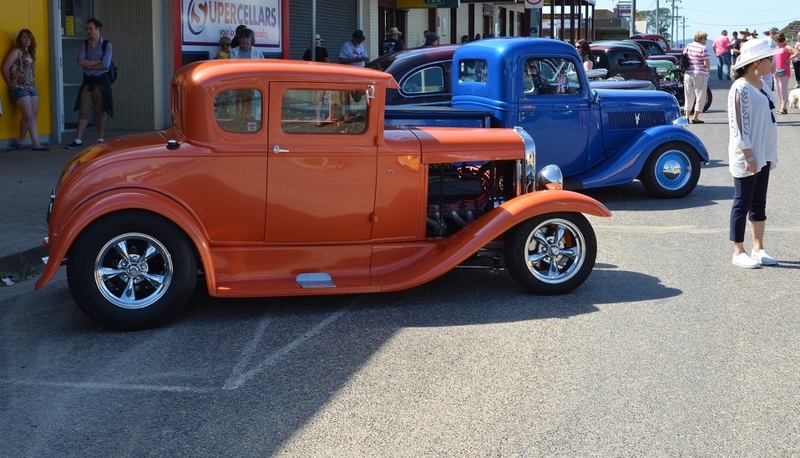 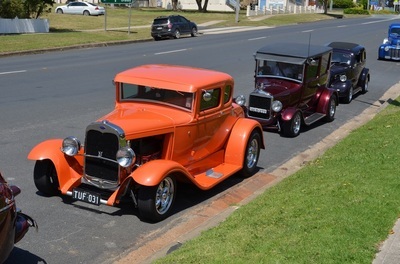 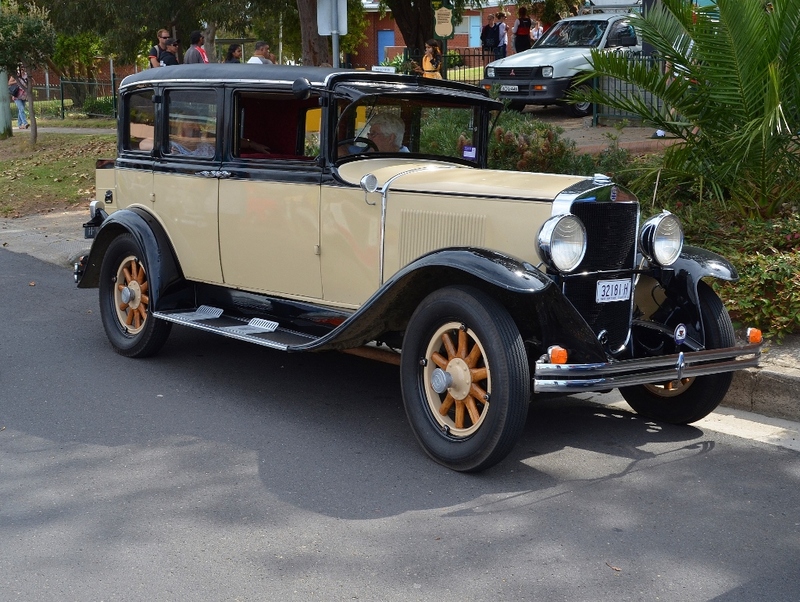 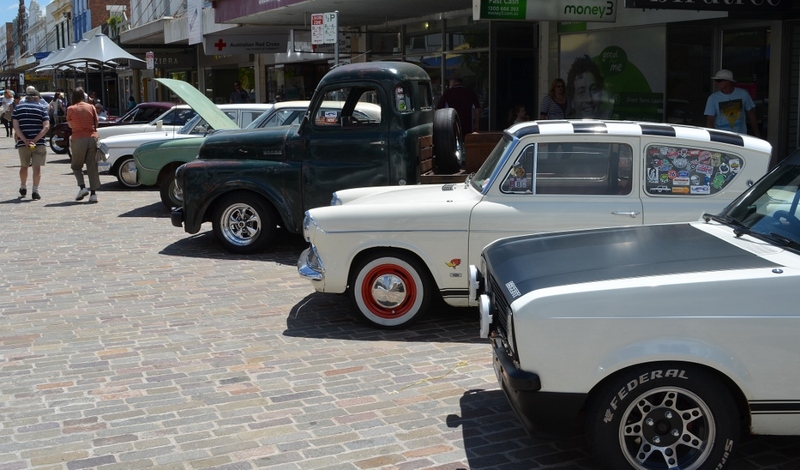 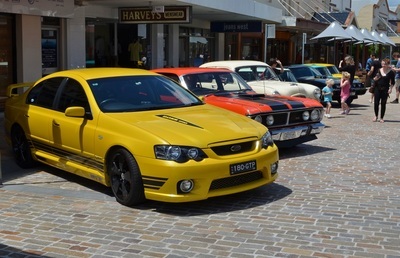 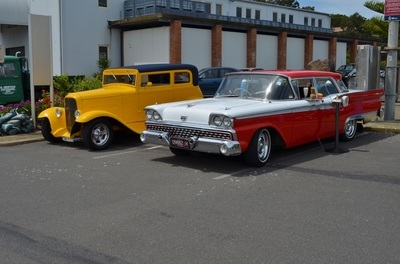 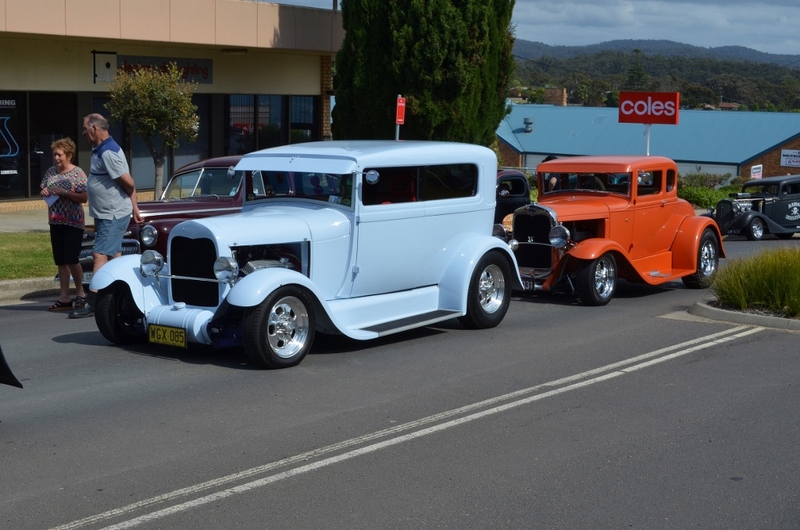 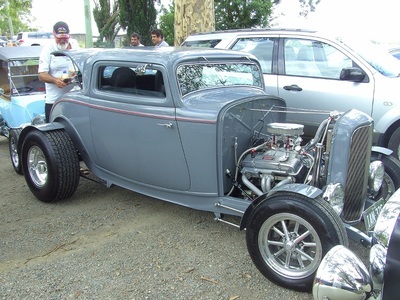 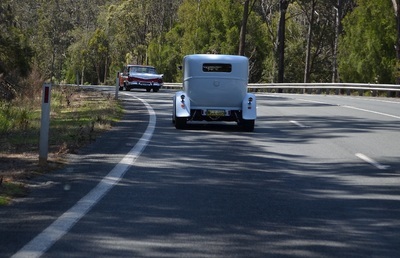 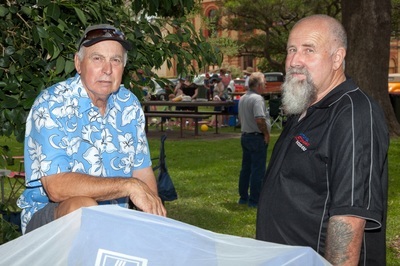 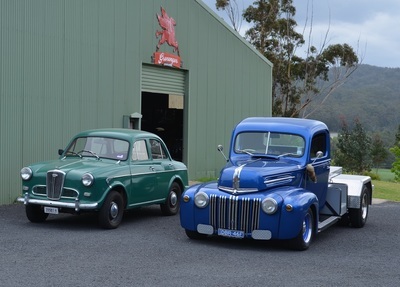 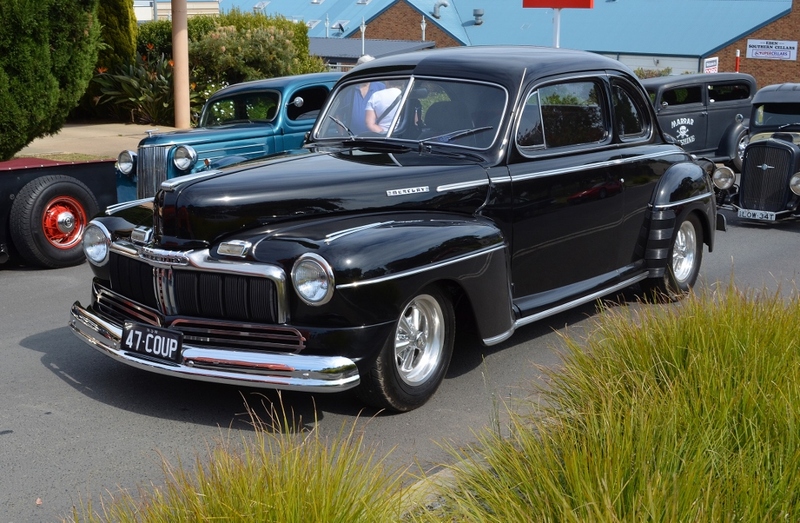 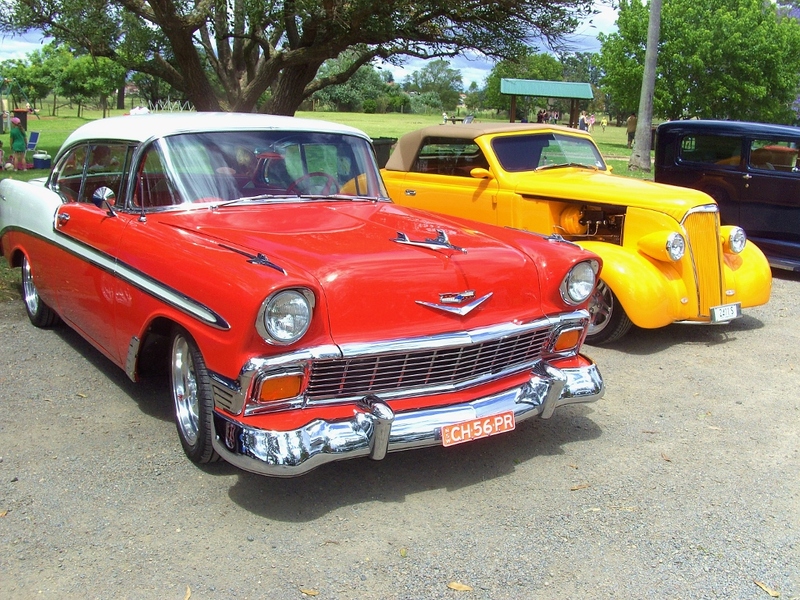 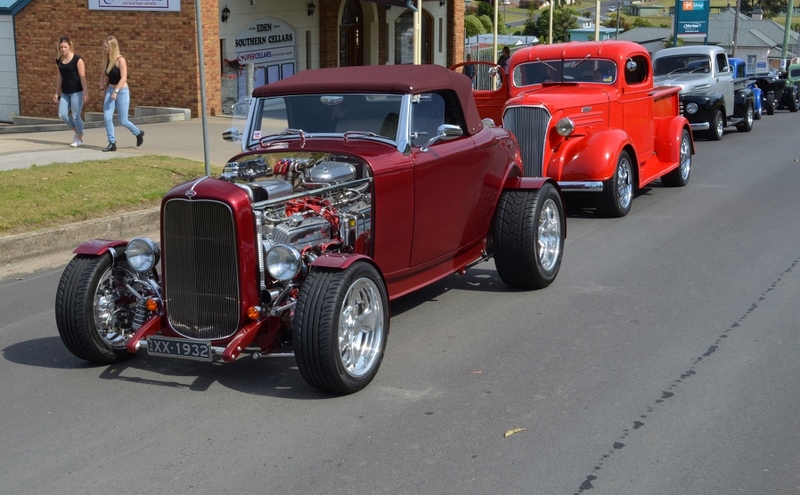 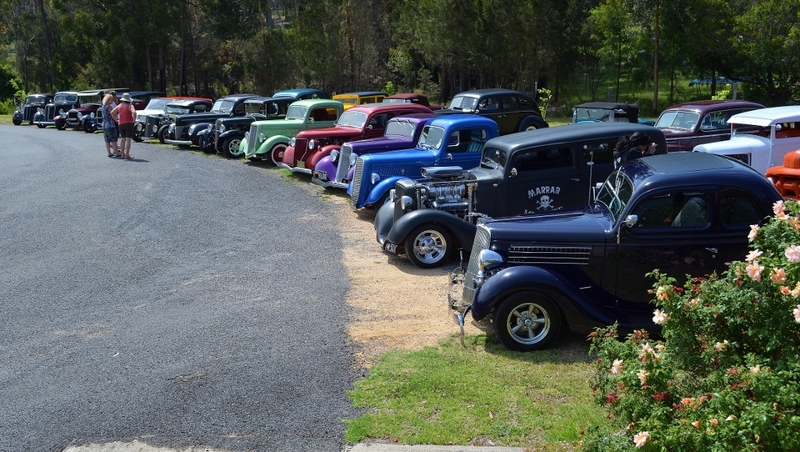 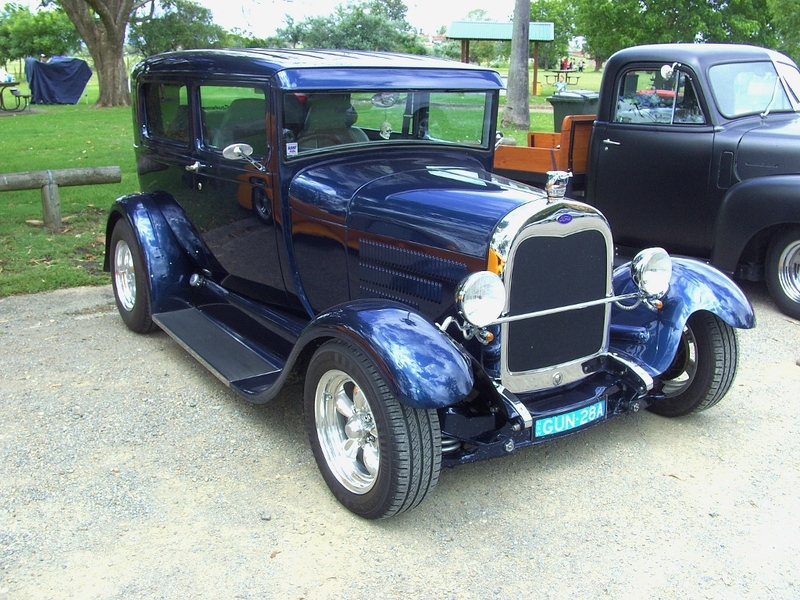 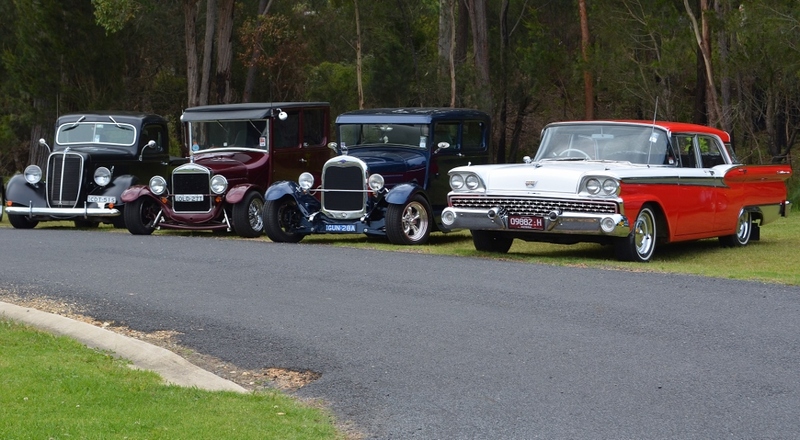 Shoalhaven Rodders put on another fantastic weekend which was enjoyed by all those who attended. 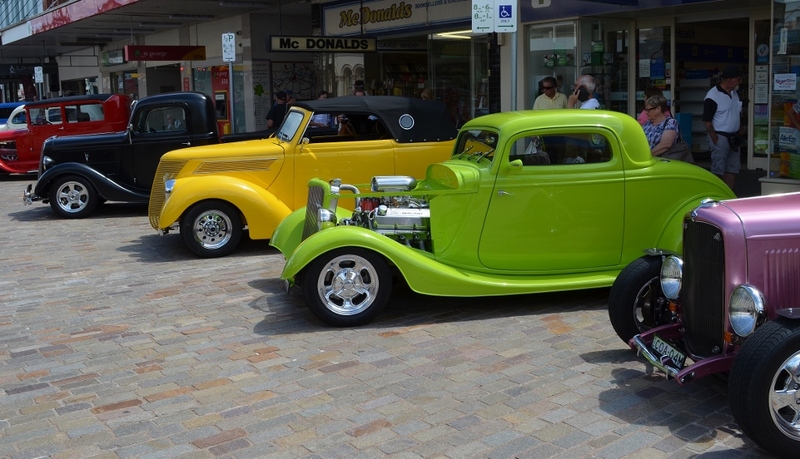 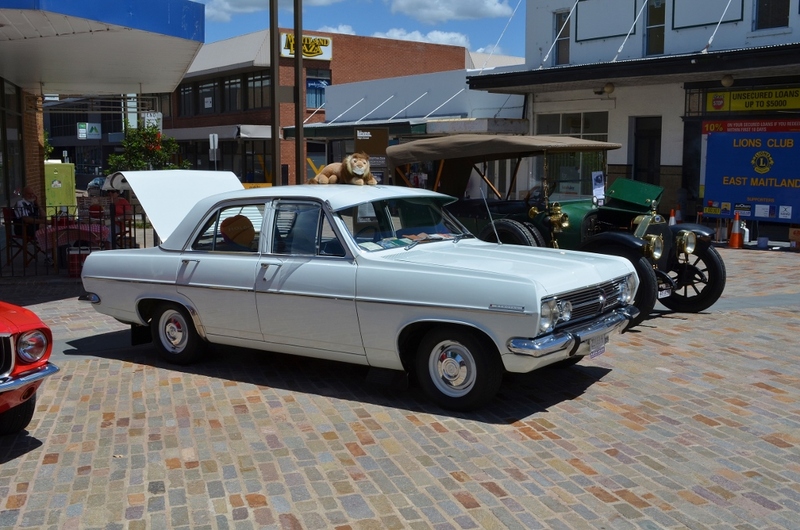 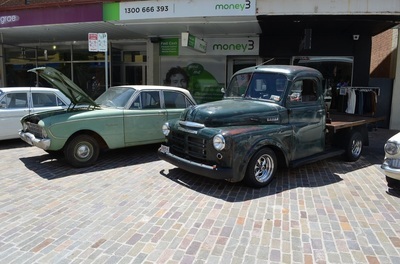 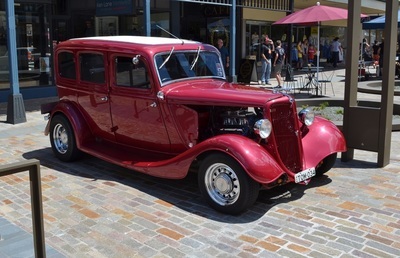 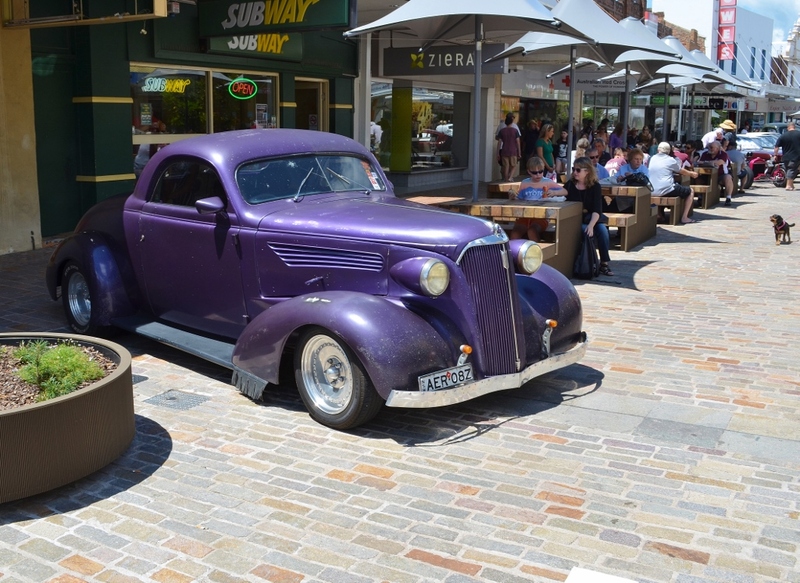 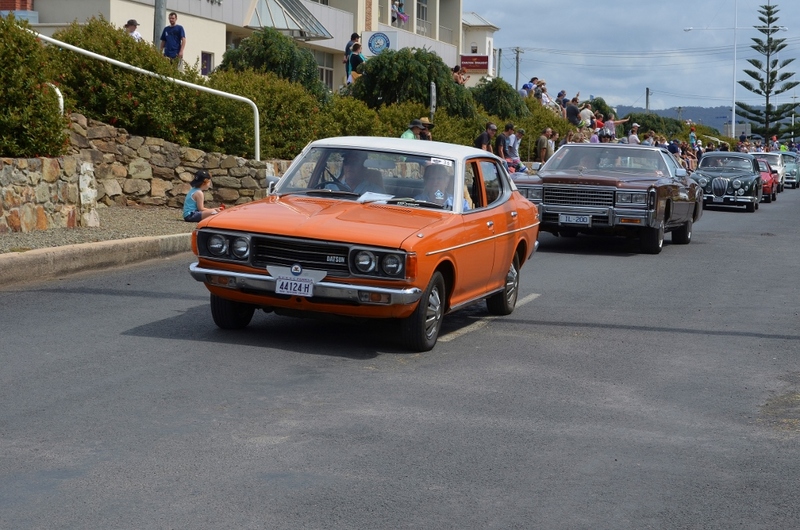 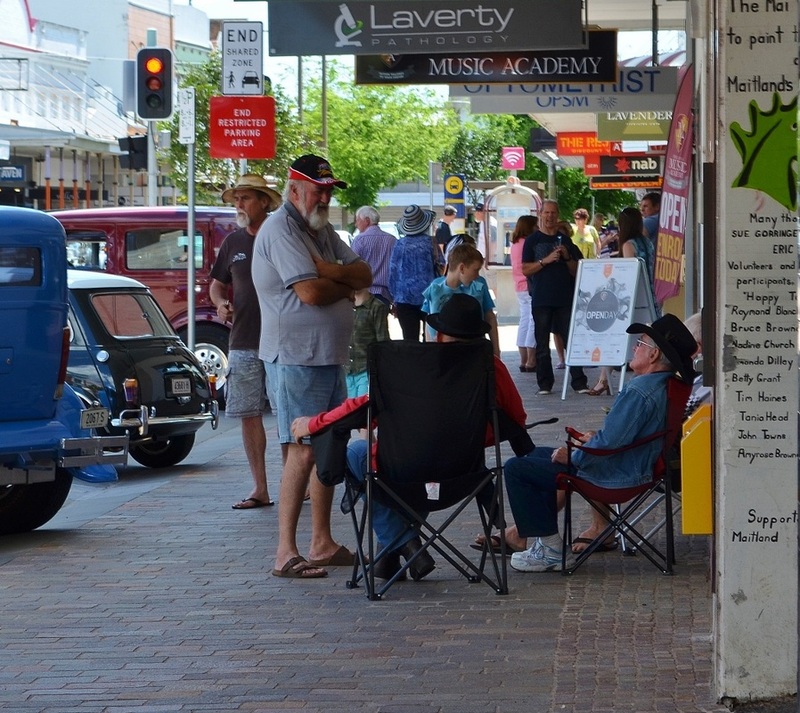 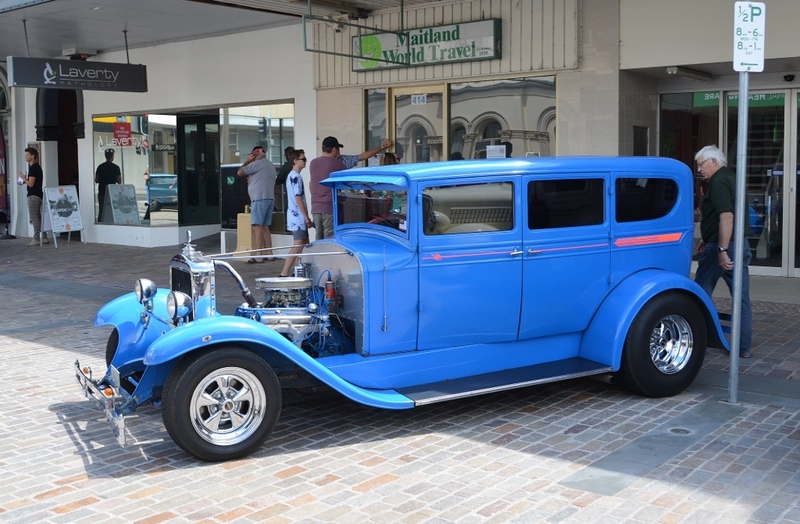 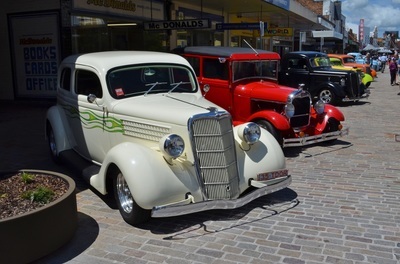 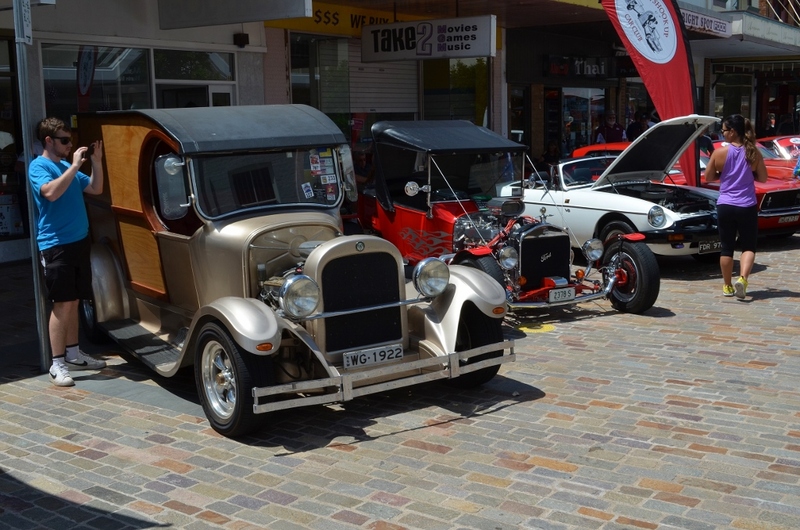 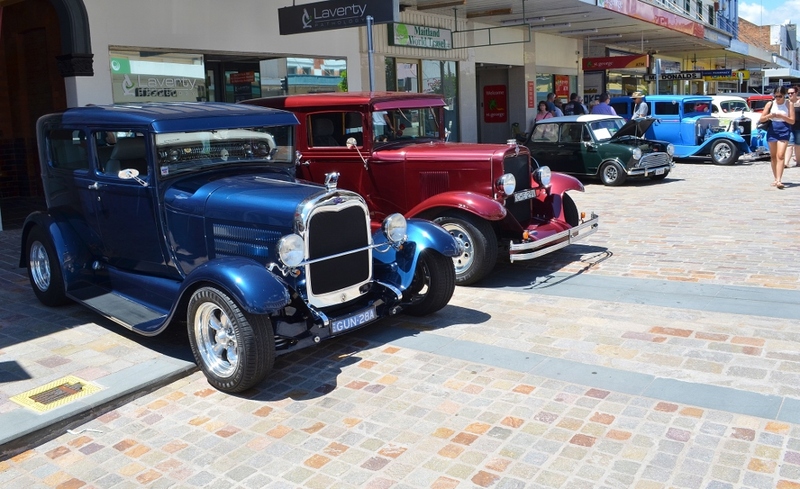 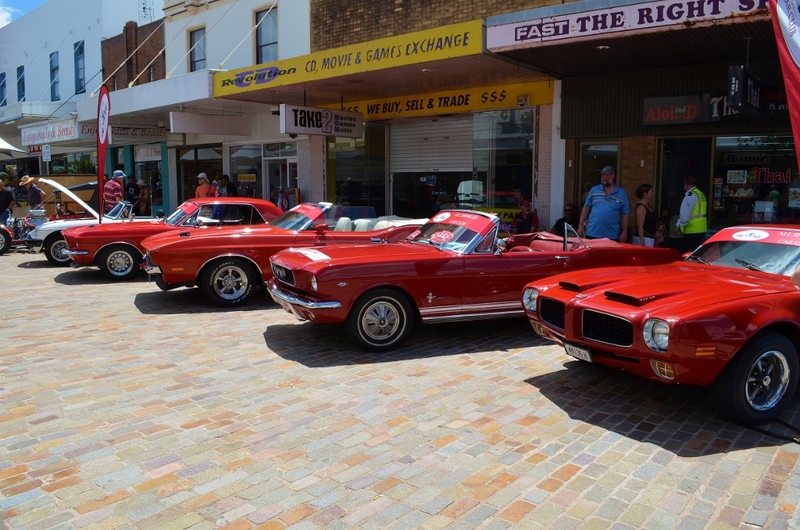 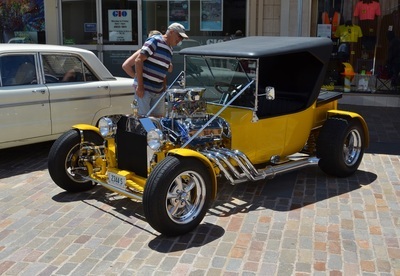 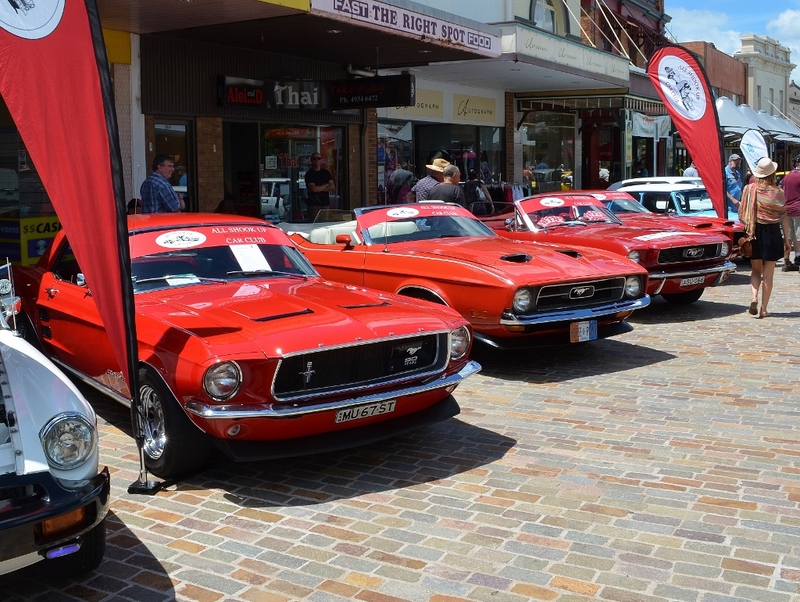 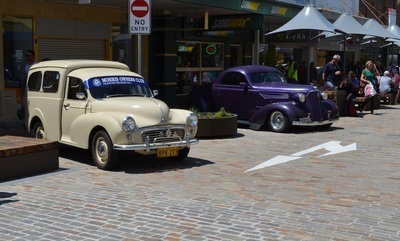 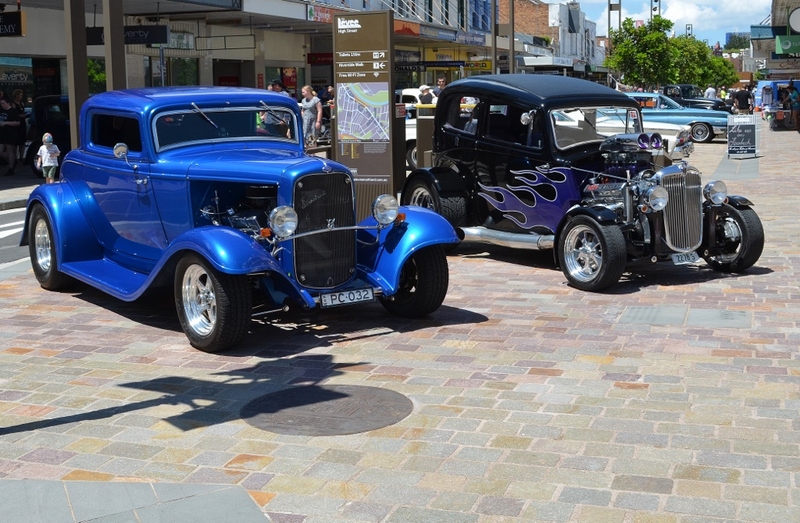 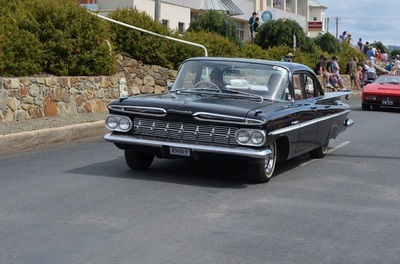 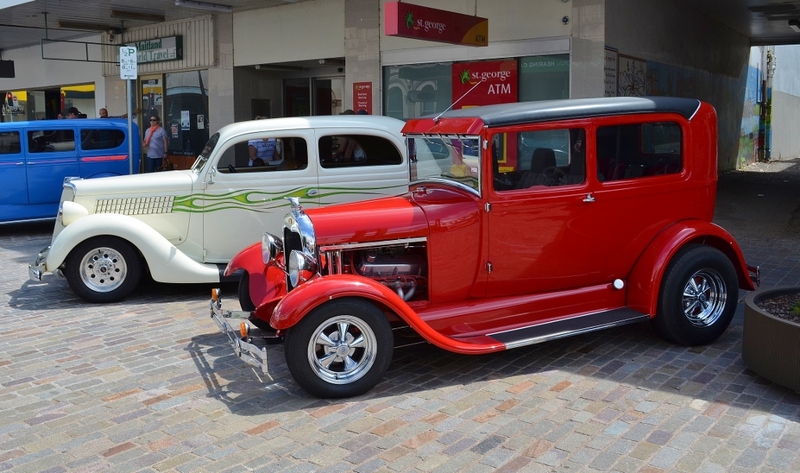 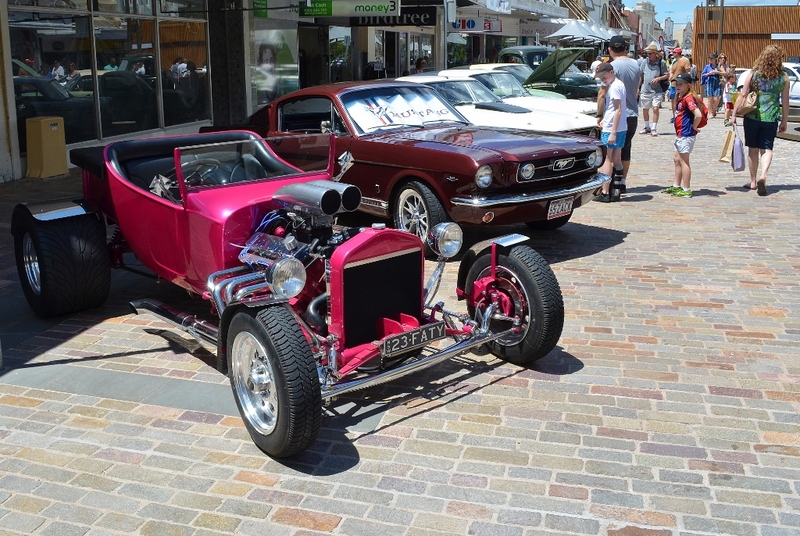 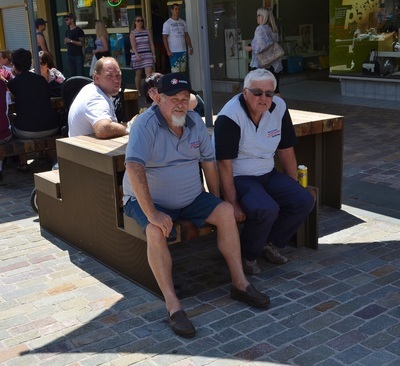 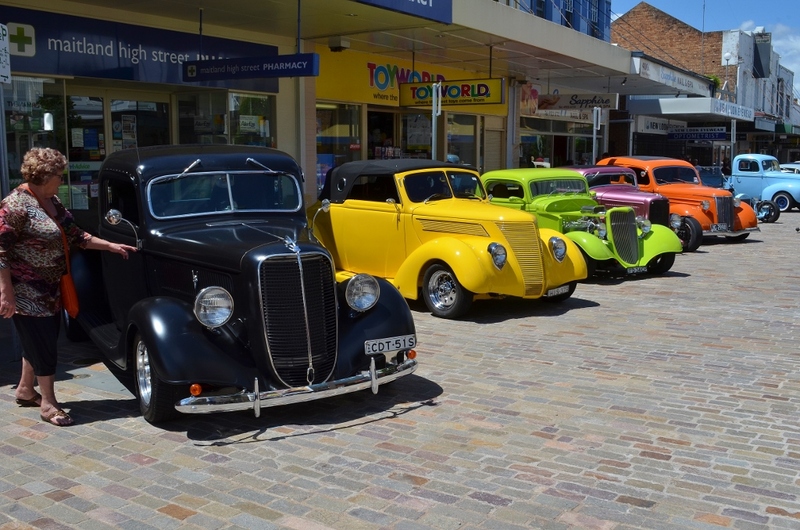 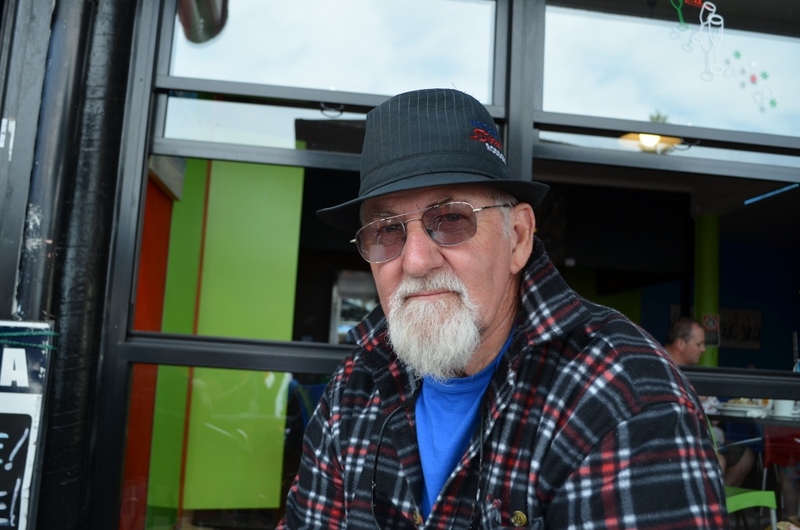 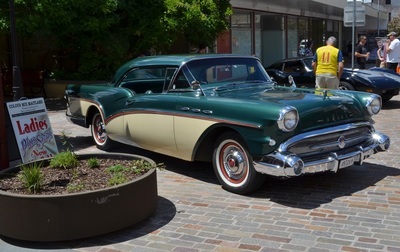 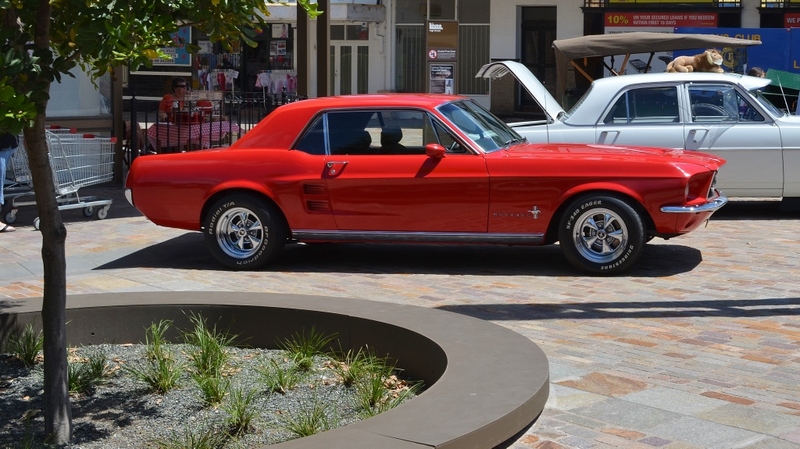 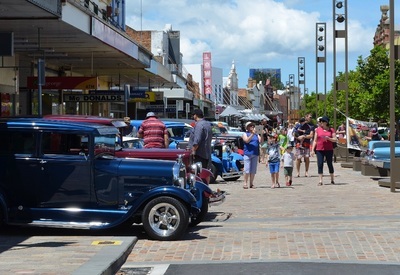 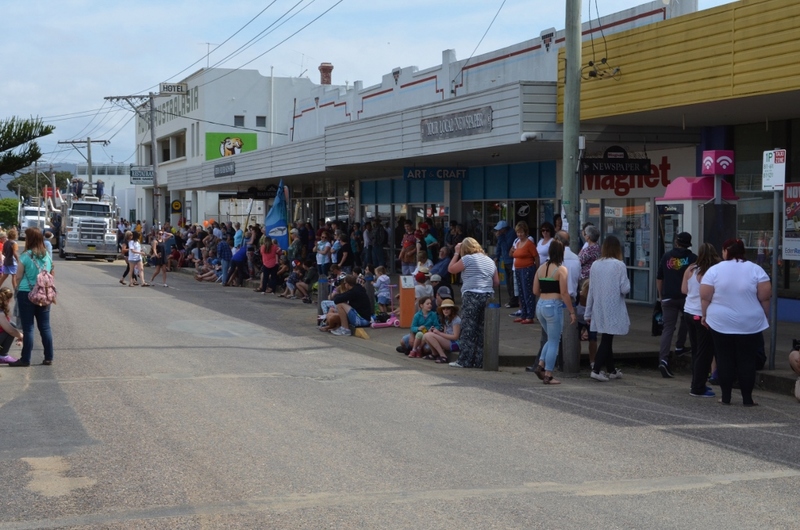 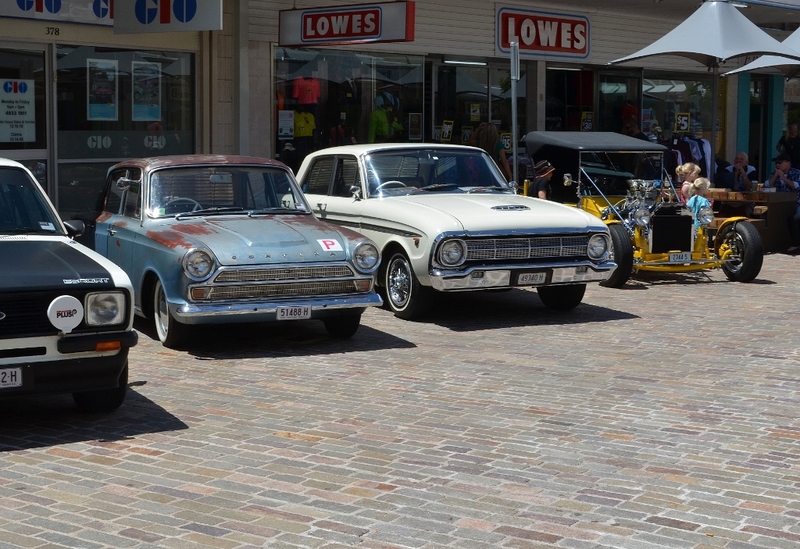 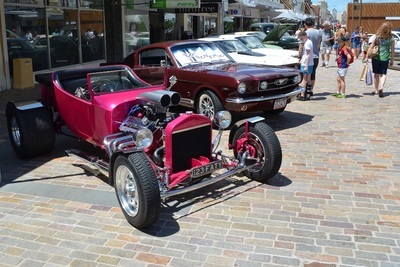 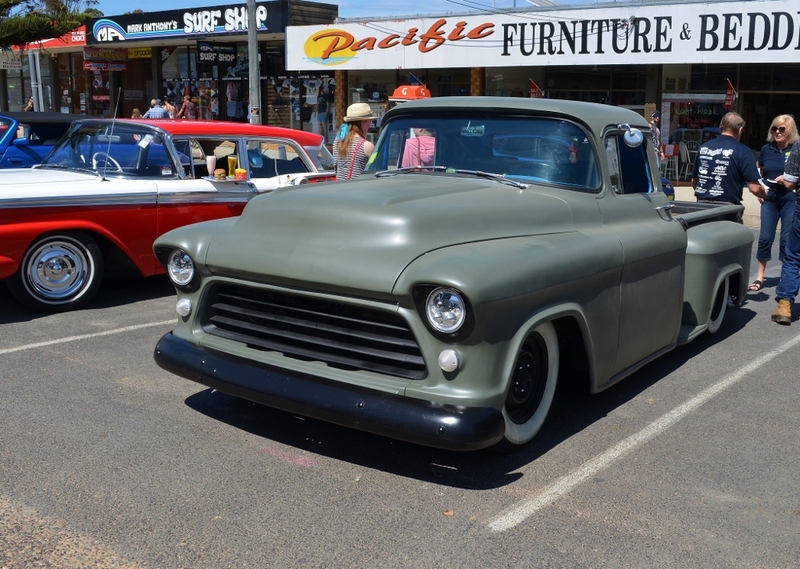 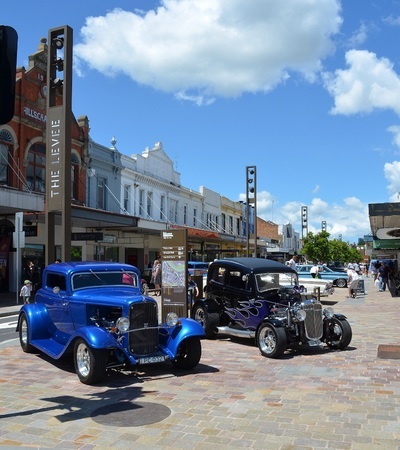 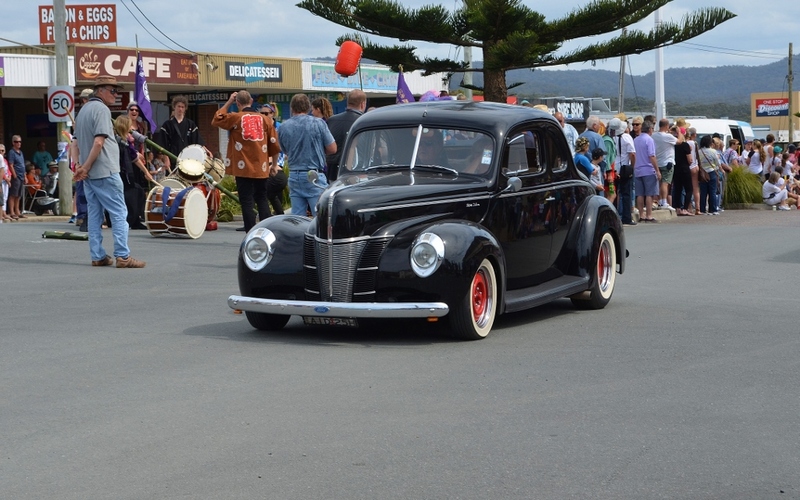 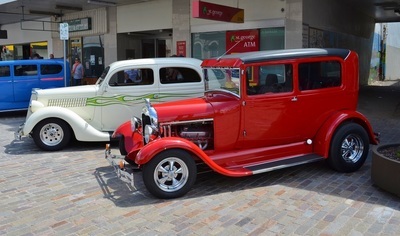 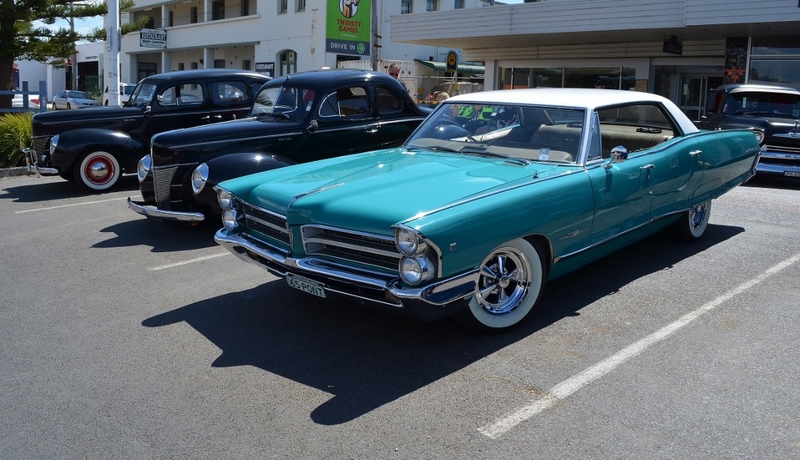 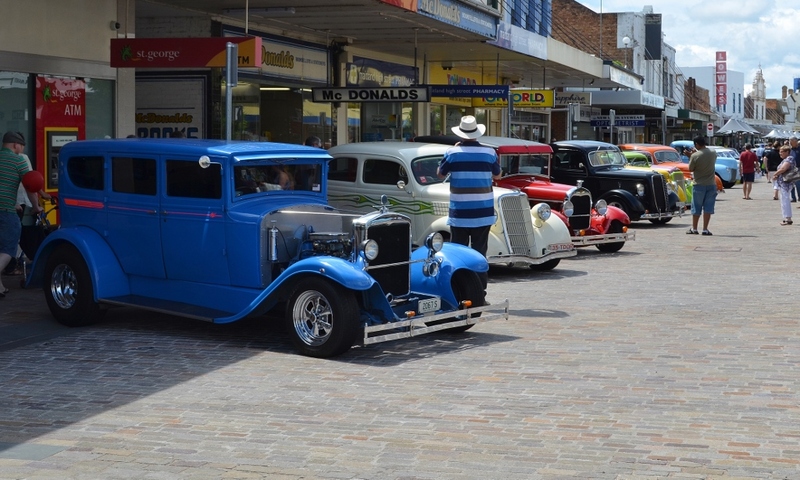 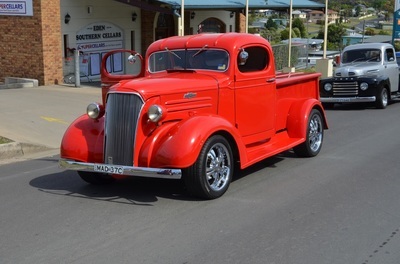 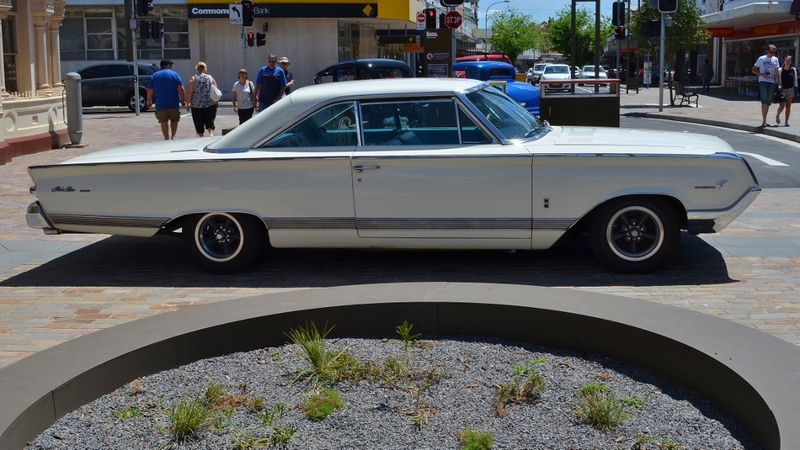 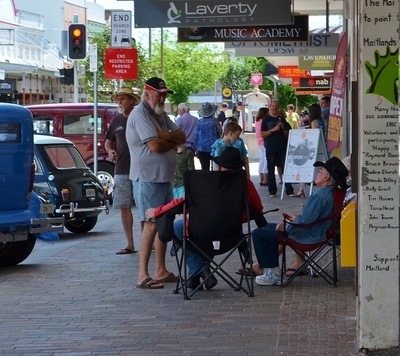 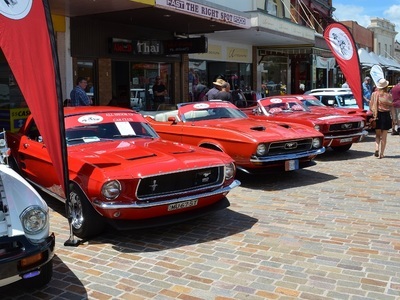 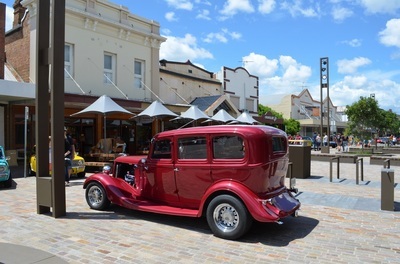 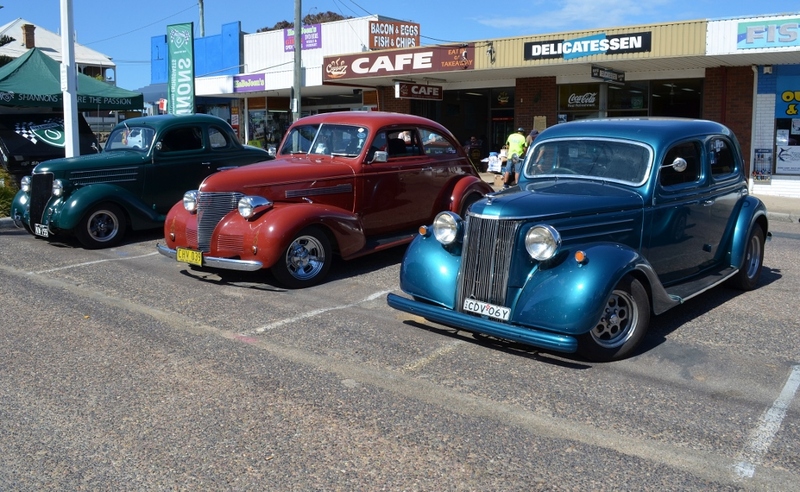 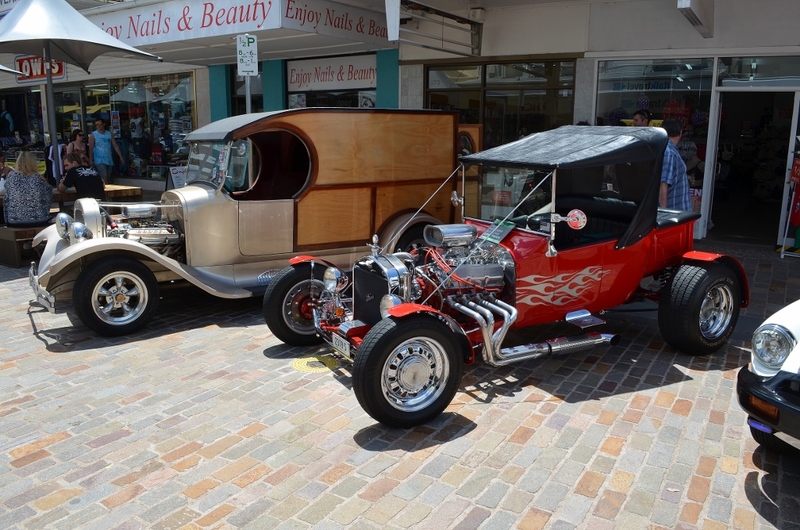 The weather was fine this year and there was only a slight change to the format where the Sunday Show and Shine was held in the main street instead of on the wharf. 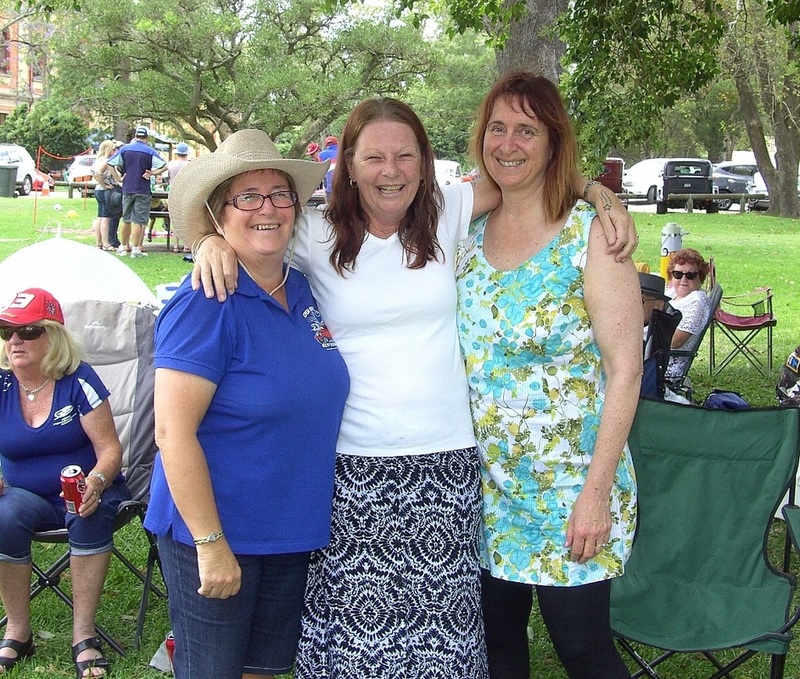 A great weekend with Noel and Ann joining Glenda and I from our club and who knows we may get some more members to travel the distance next year.